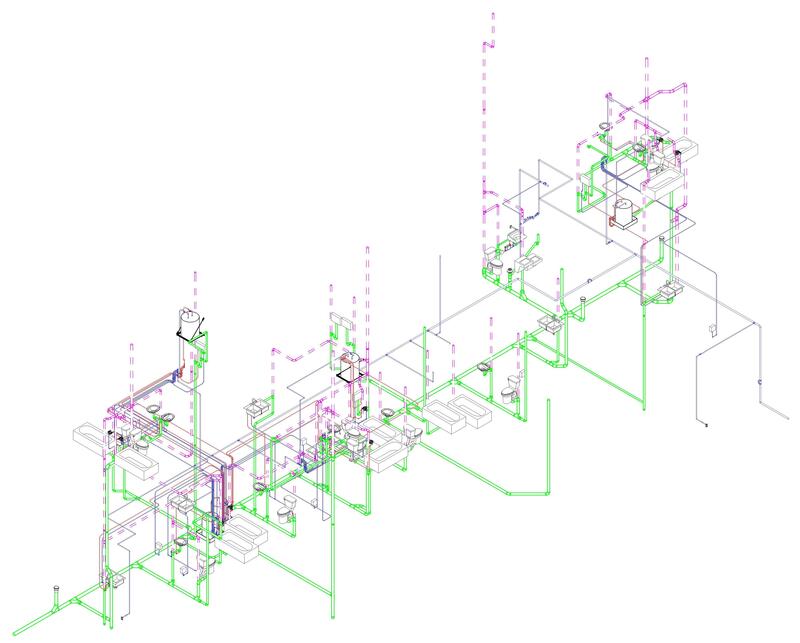 Barham / Cain / Mynatt, Inc. provides full-service contract documents through computer-aided drafting software. 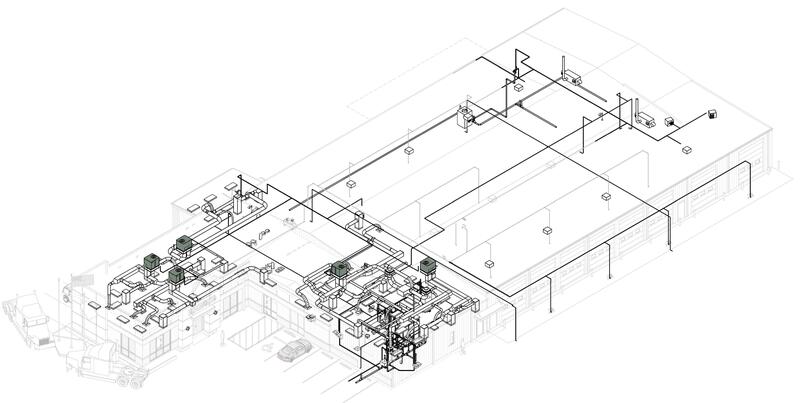 We offer full capabilities for both AutoCAD 2014 and Revit 2014 & 2015. 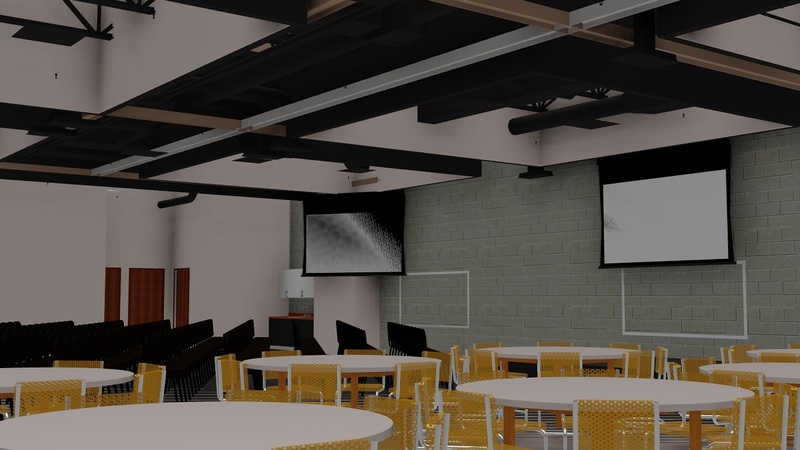 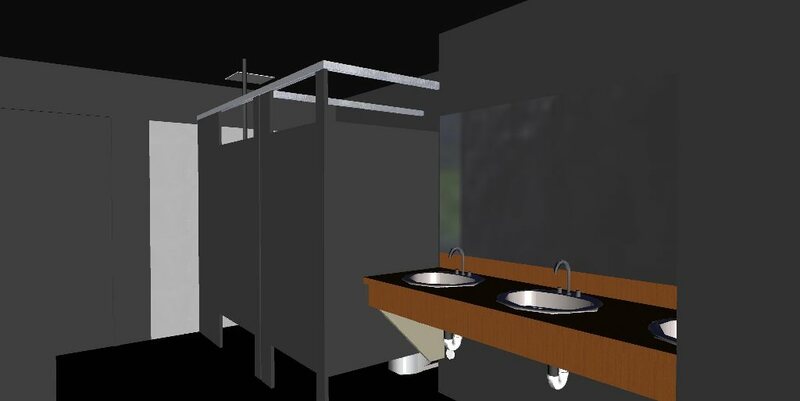 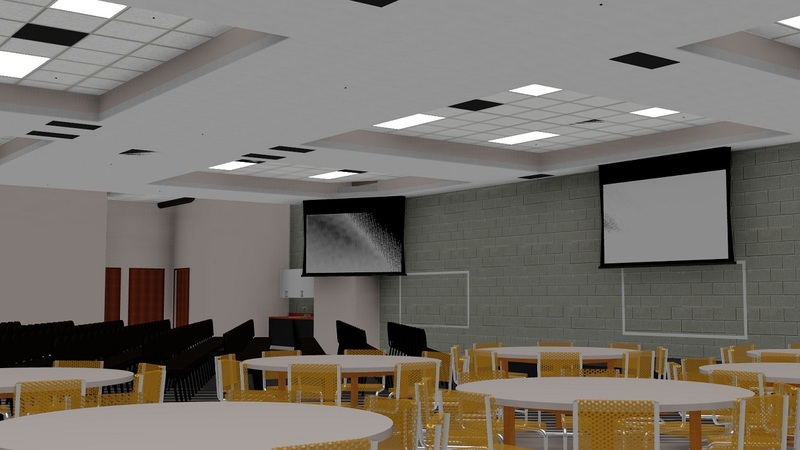 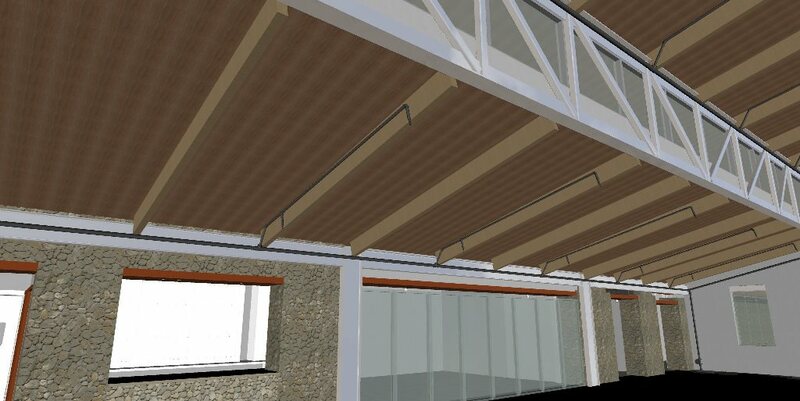 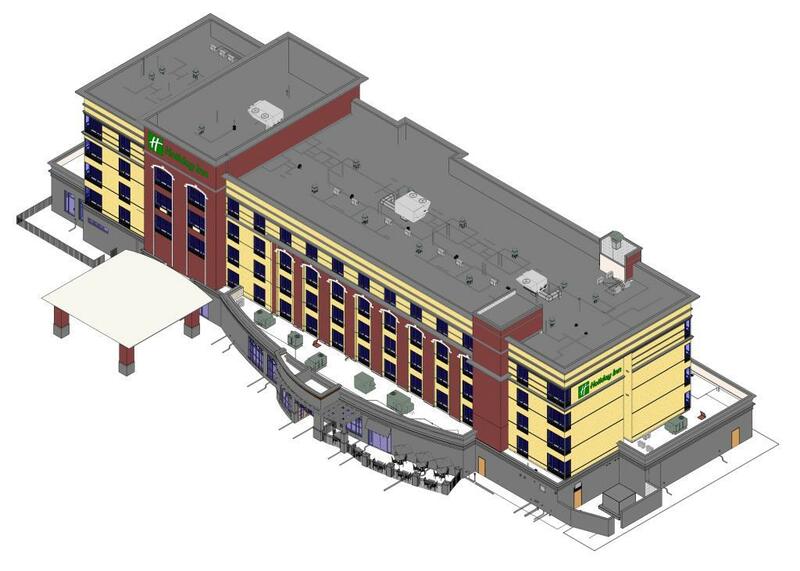 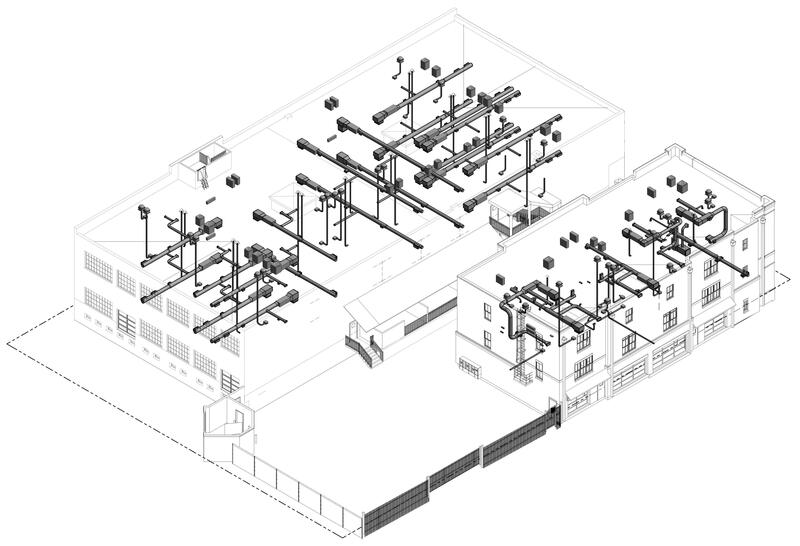 BCM has utilized Revit software for design since 2009. 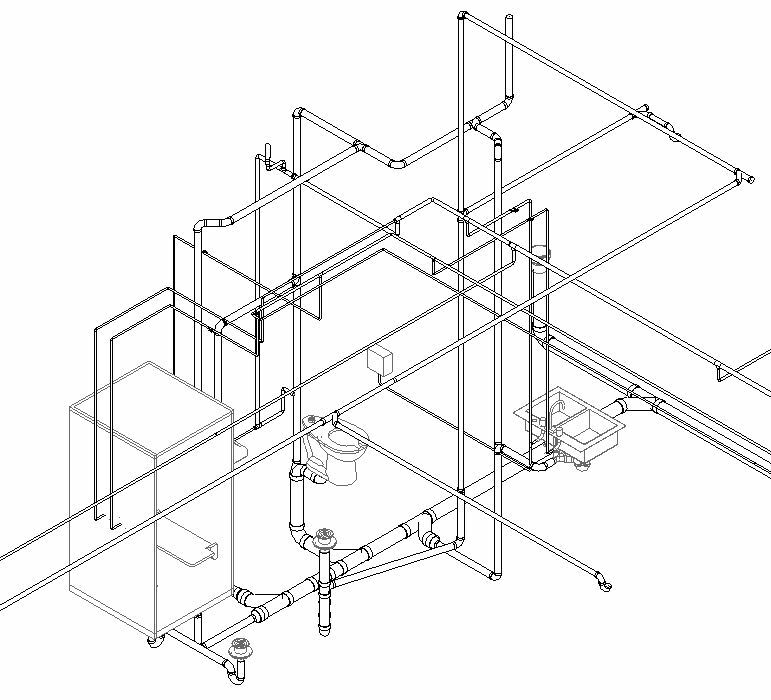 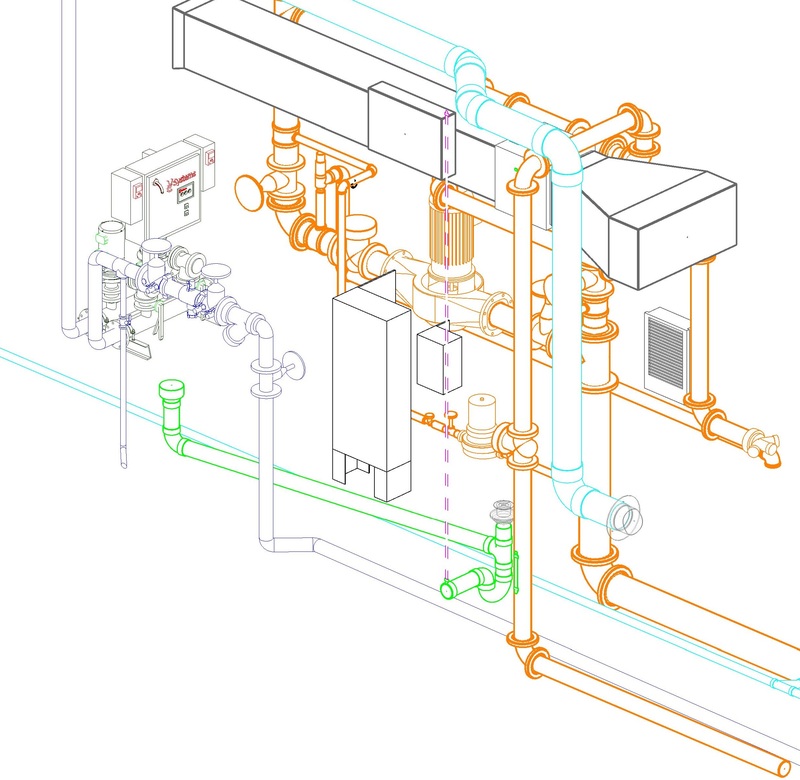 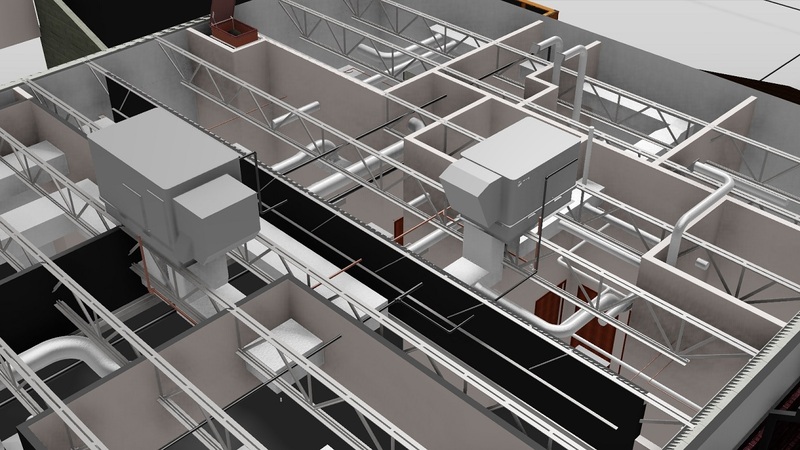 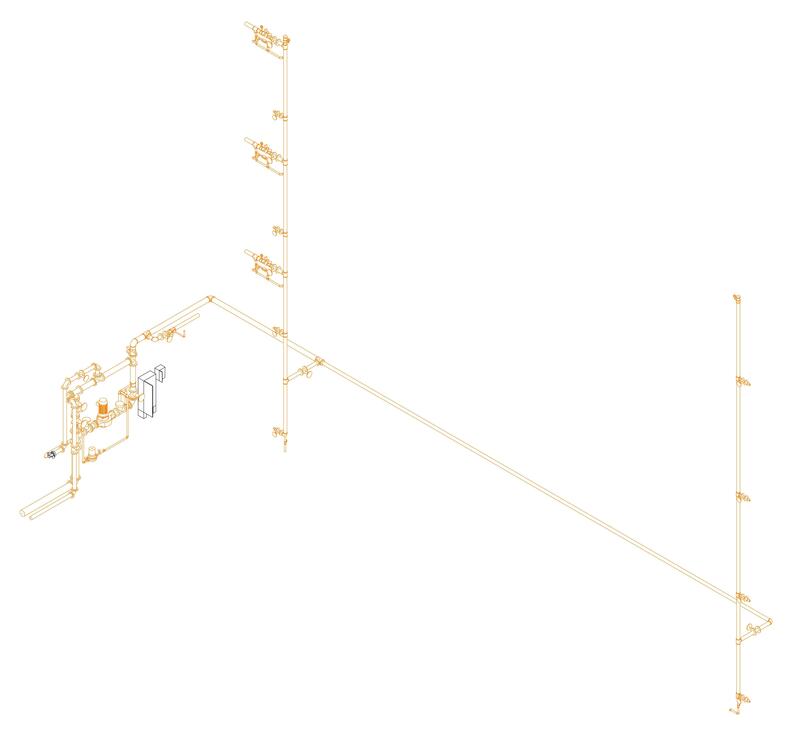 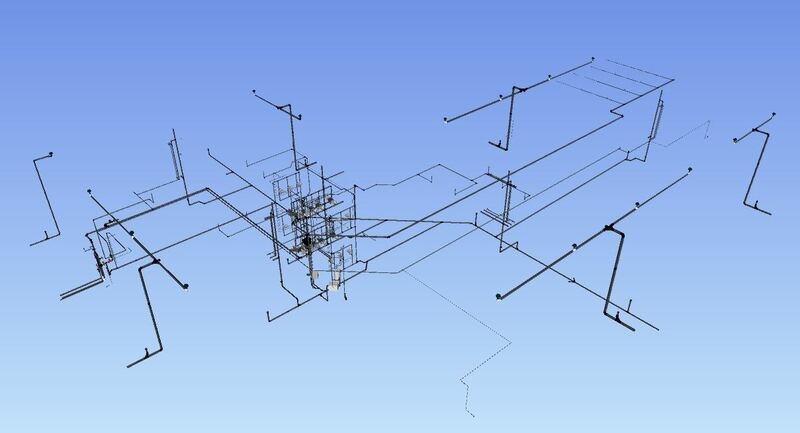 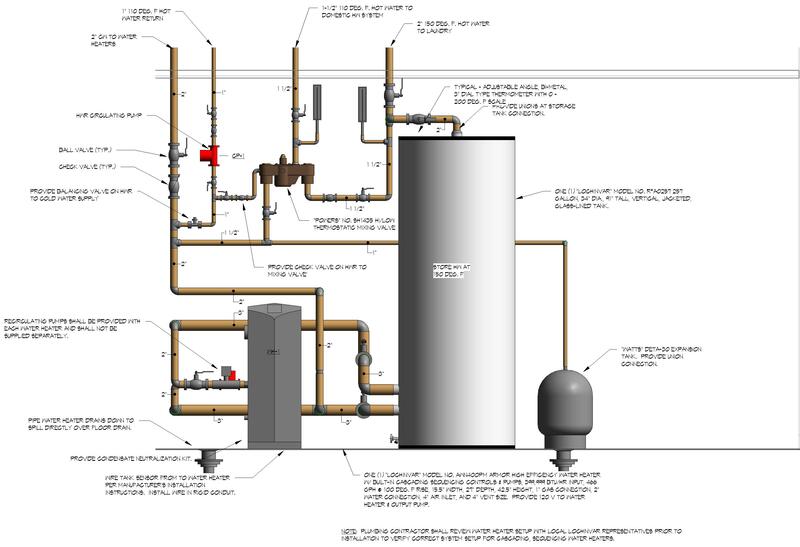 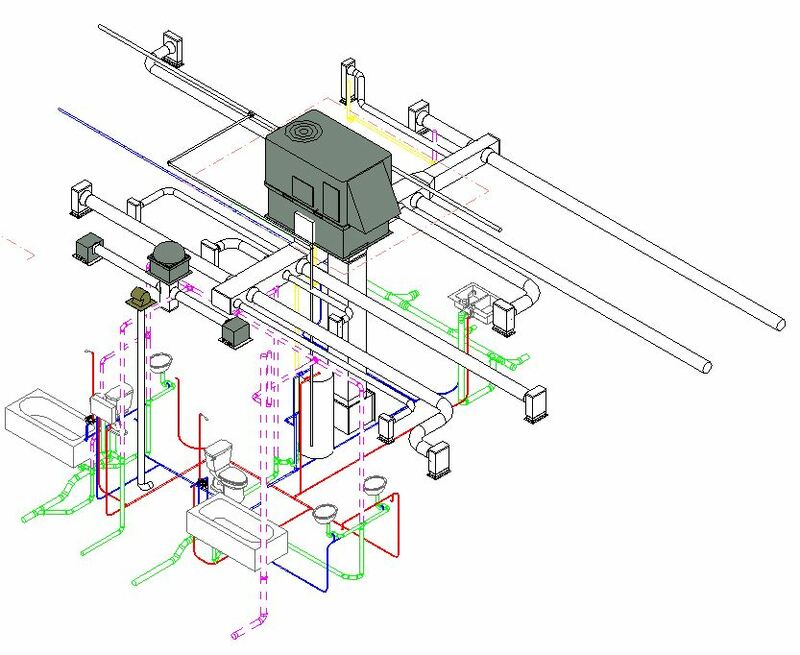 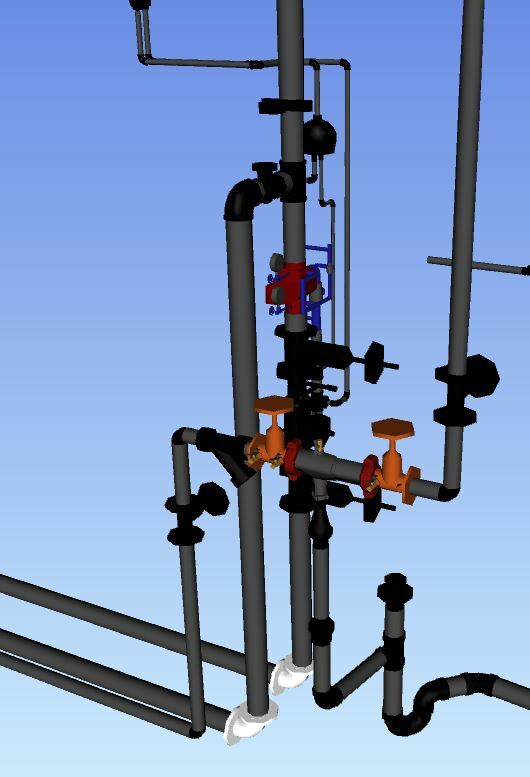 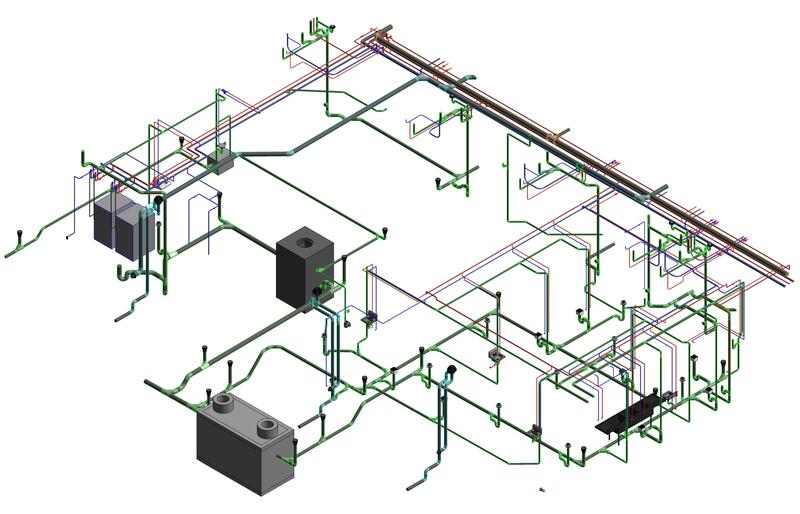 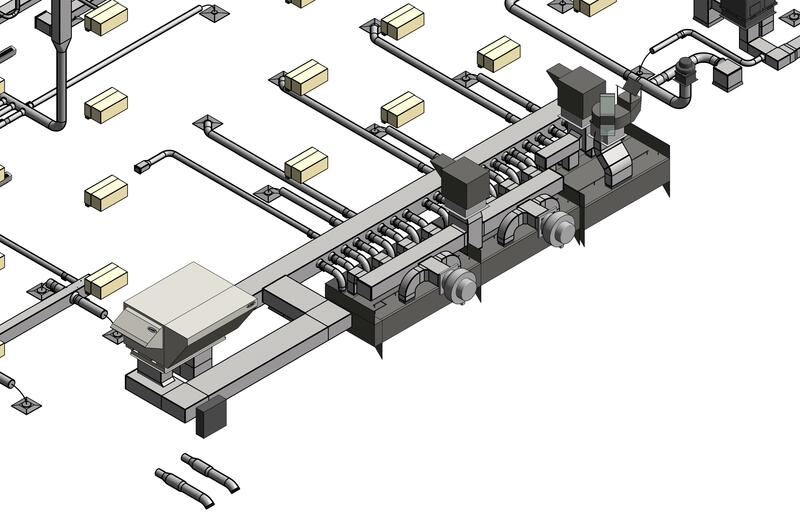 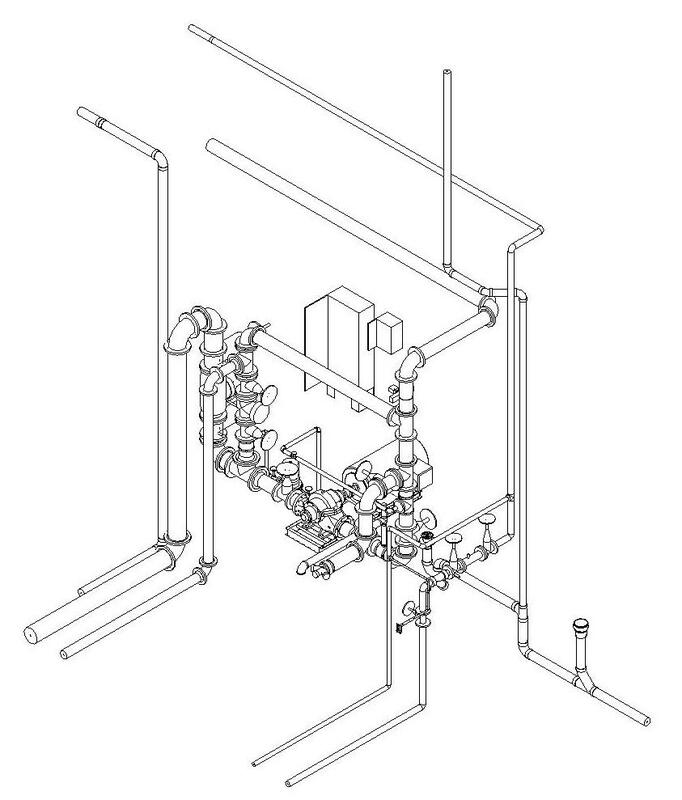 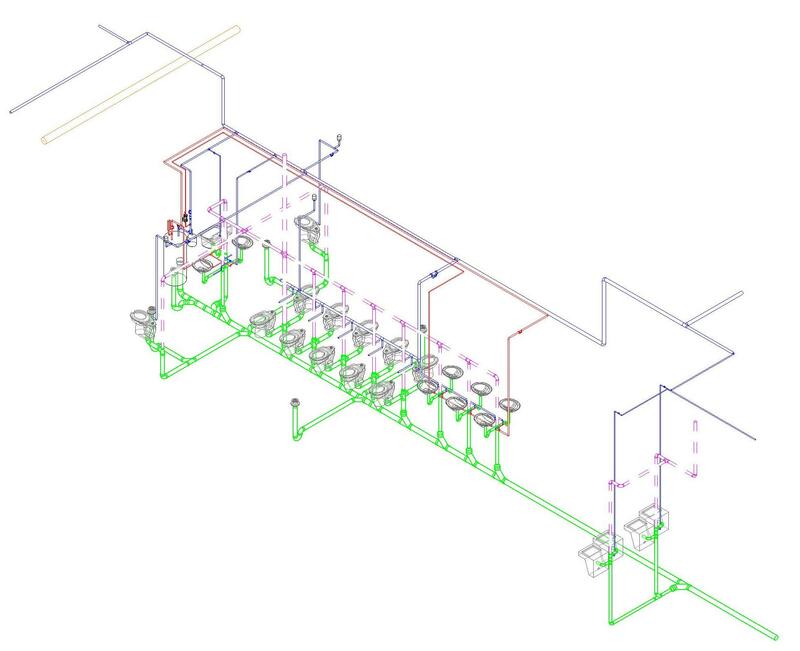 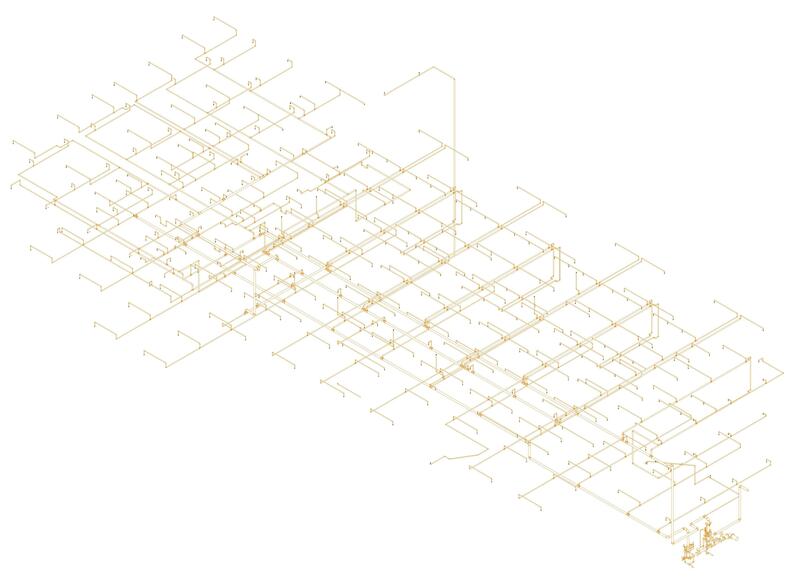 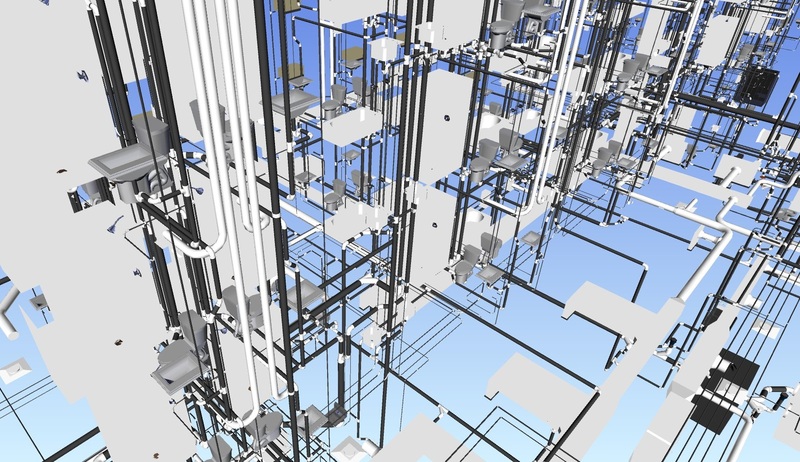 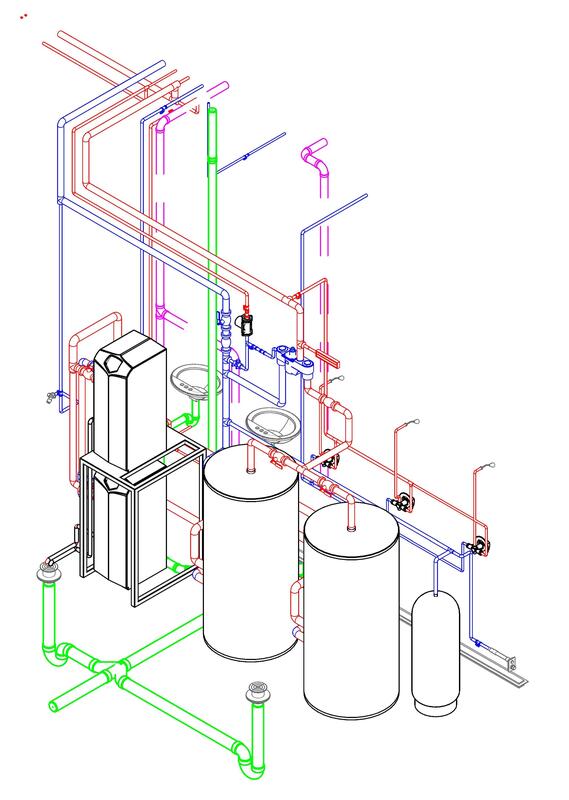 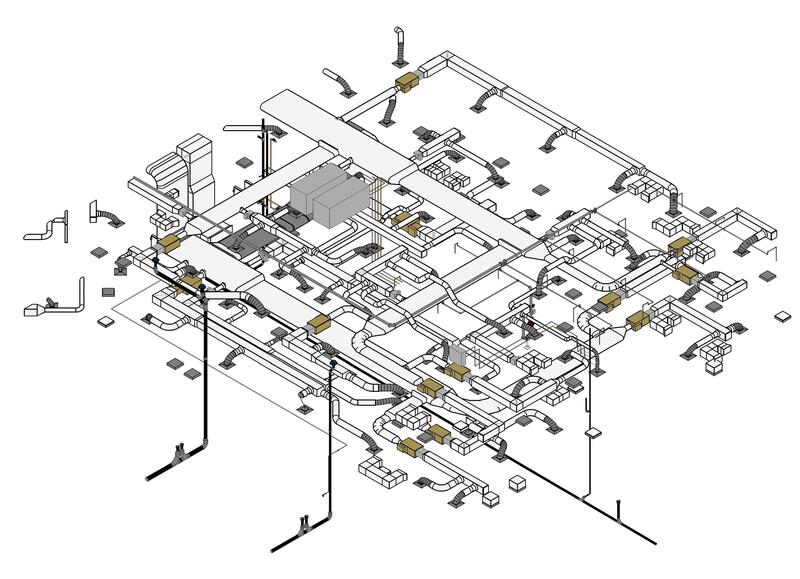 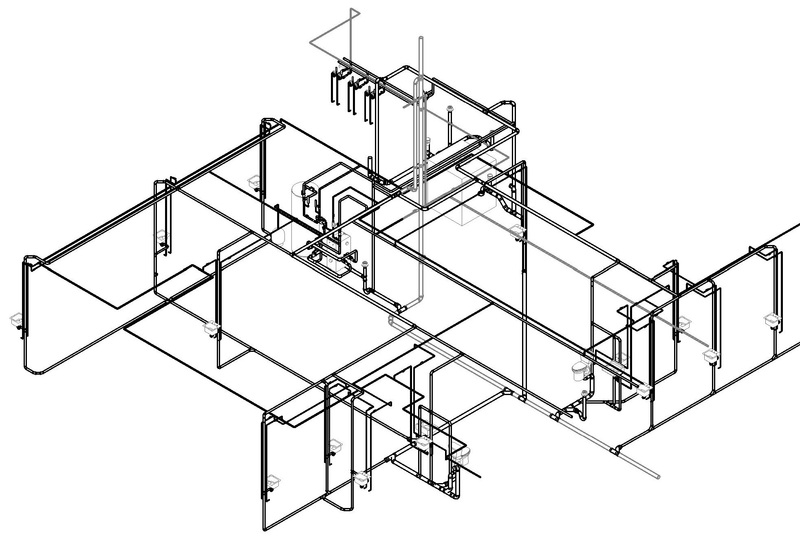 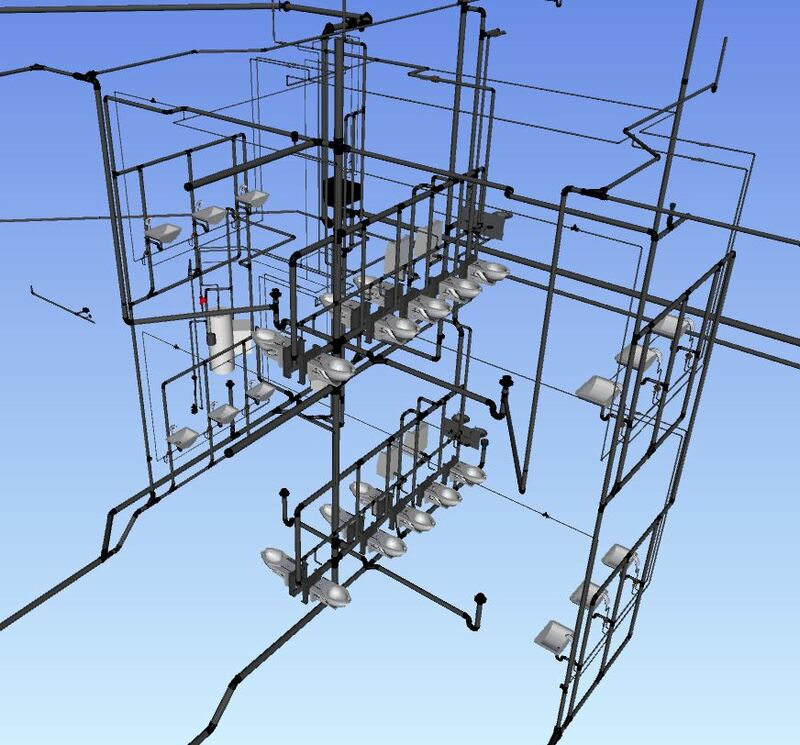 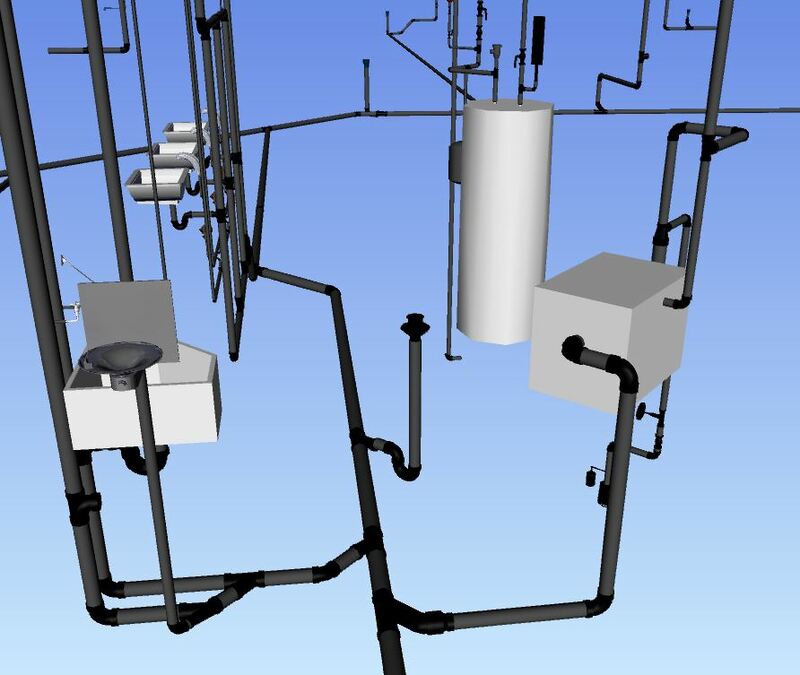 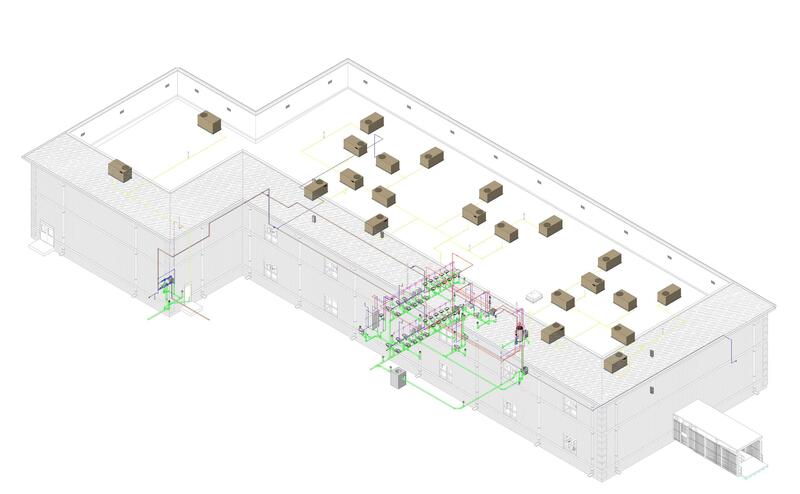 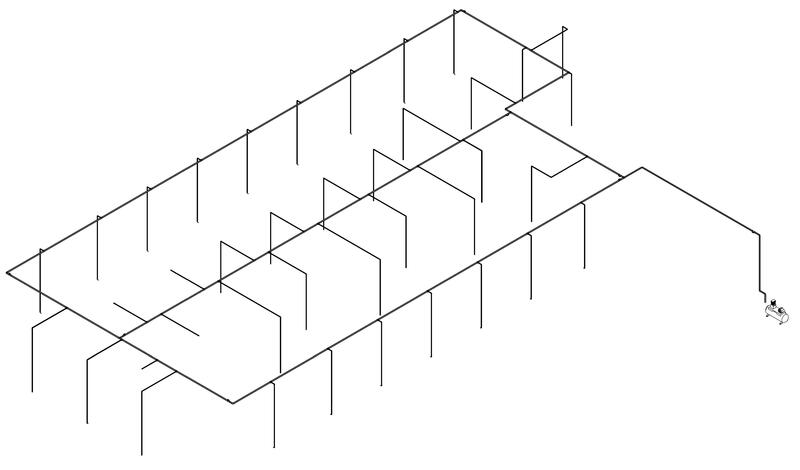 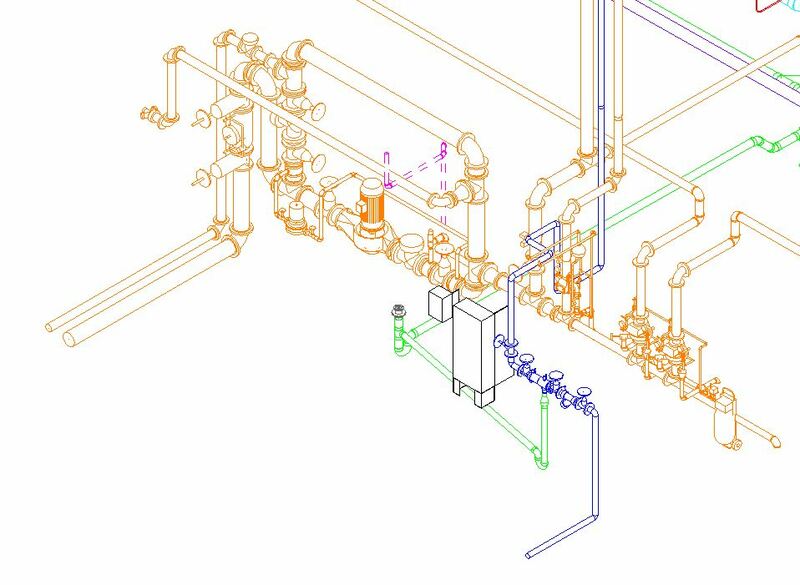 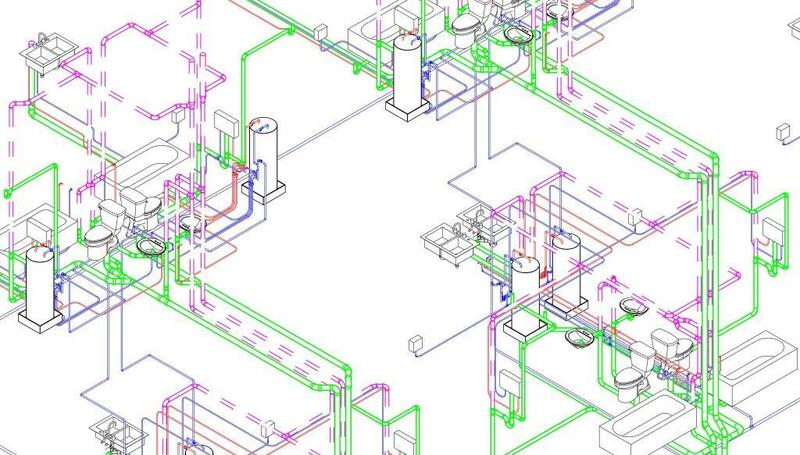 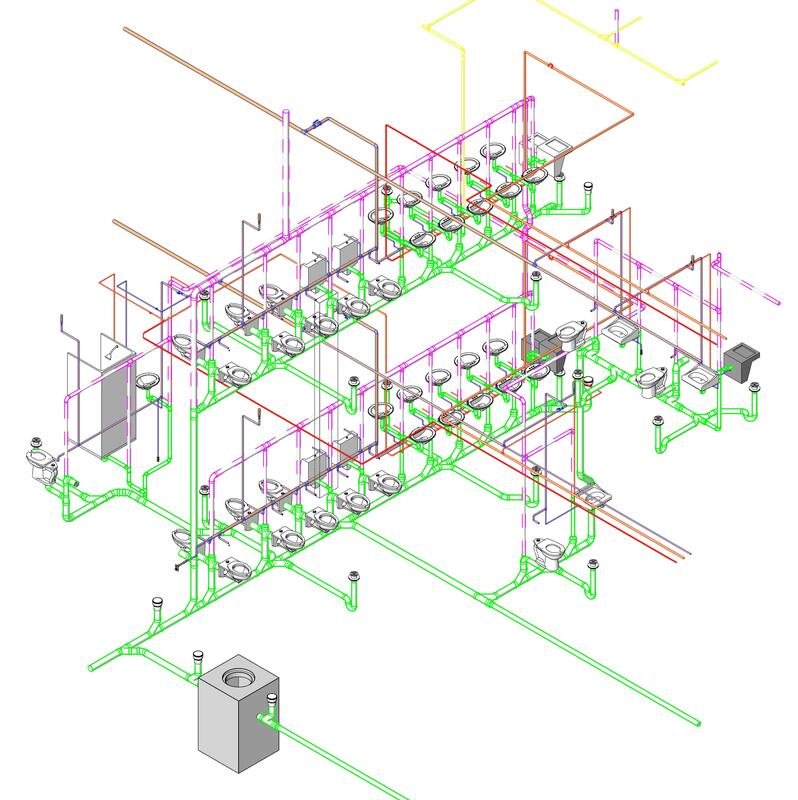 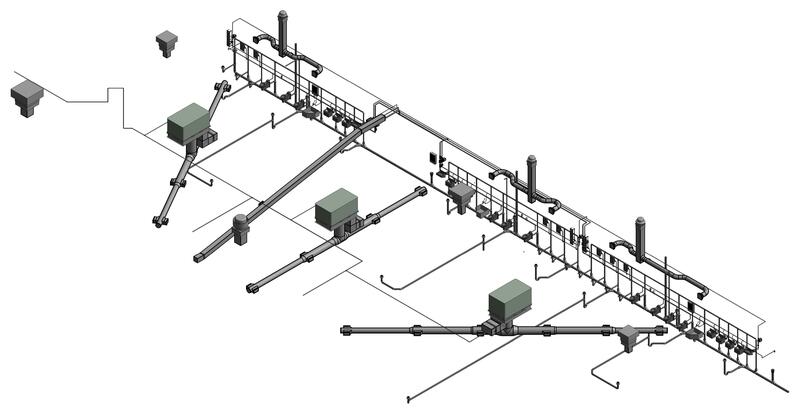 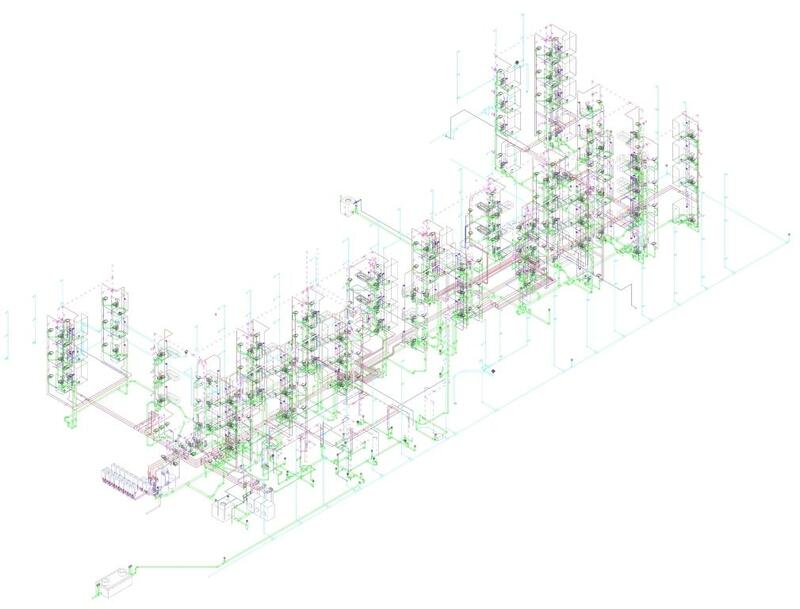 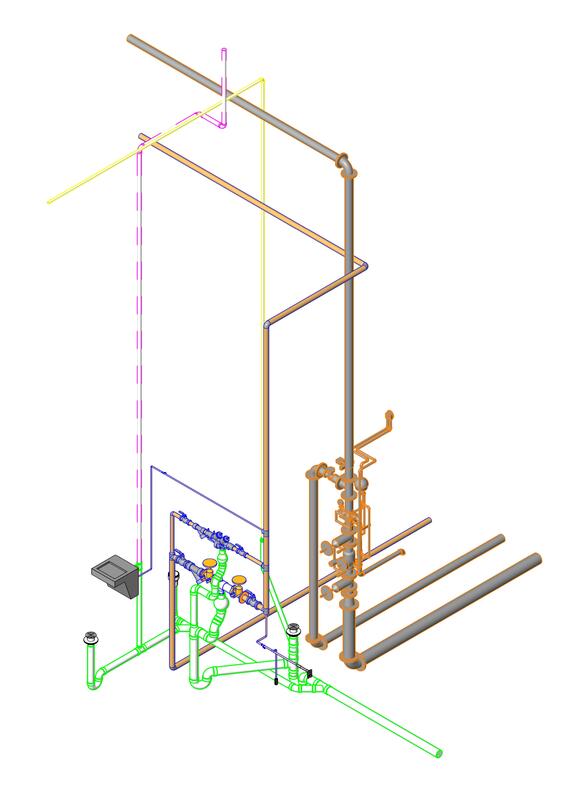 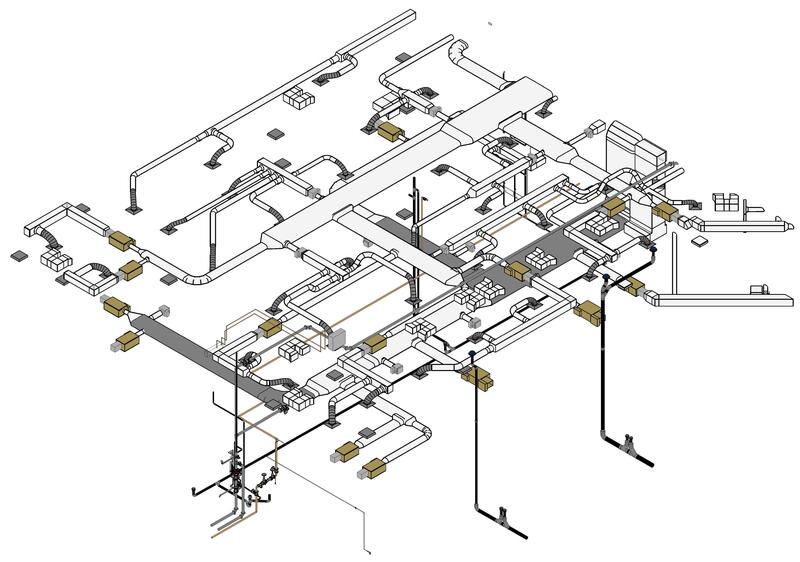 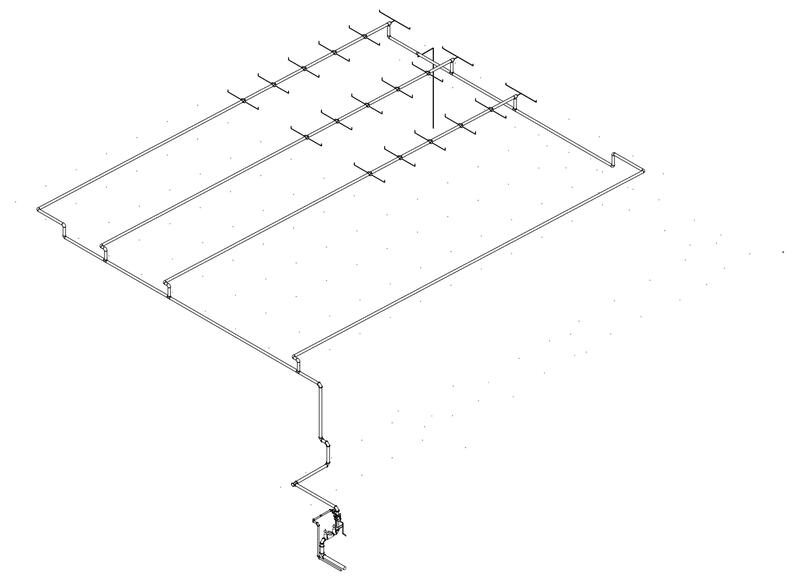 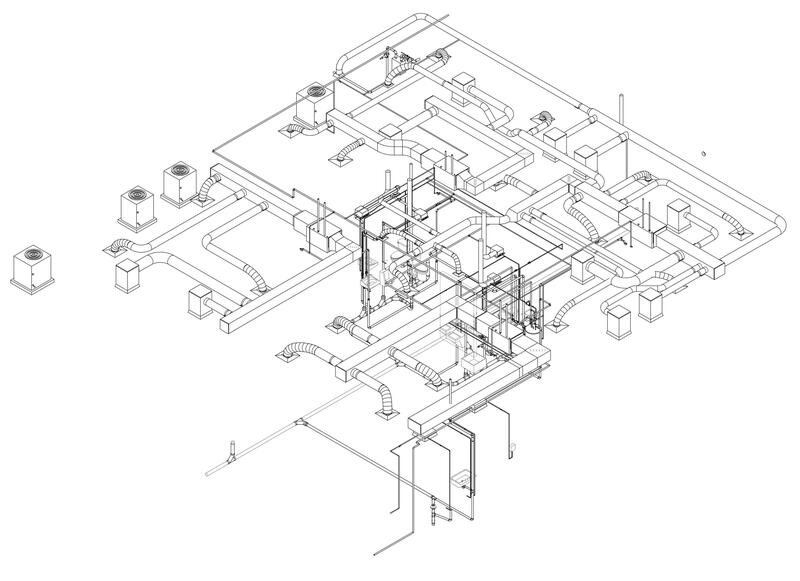 We have developed connective, coordinated HVAC, plumbing, and fire protection designs with our clients to provide sufficient space for ducts, pipes, equipment, etc. 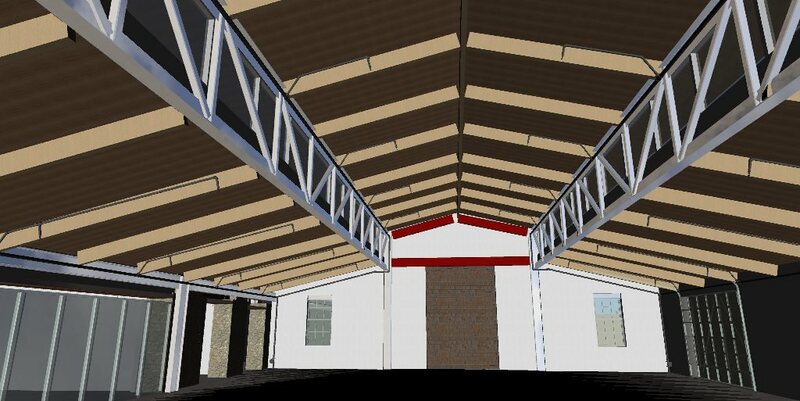 and to alert our clients to potential conflicts and clearance issues. 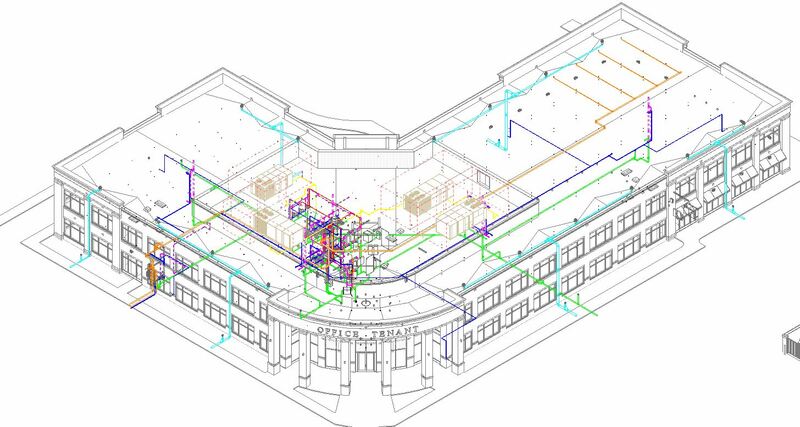 This coordination helps us meet and exceed our clients' needs and avoid costly field changes during construction. 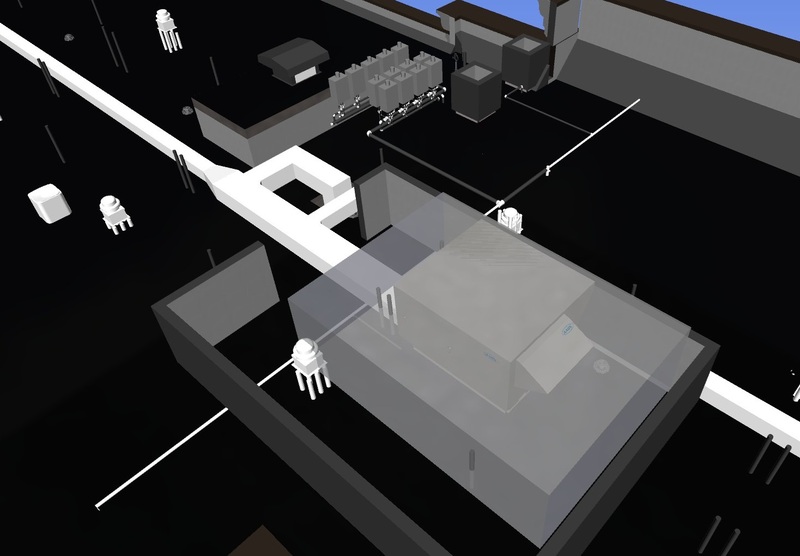 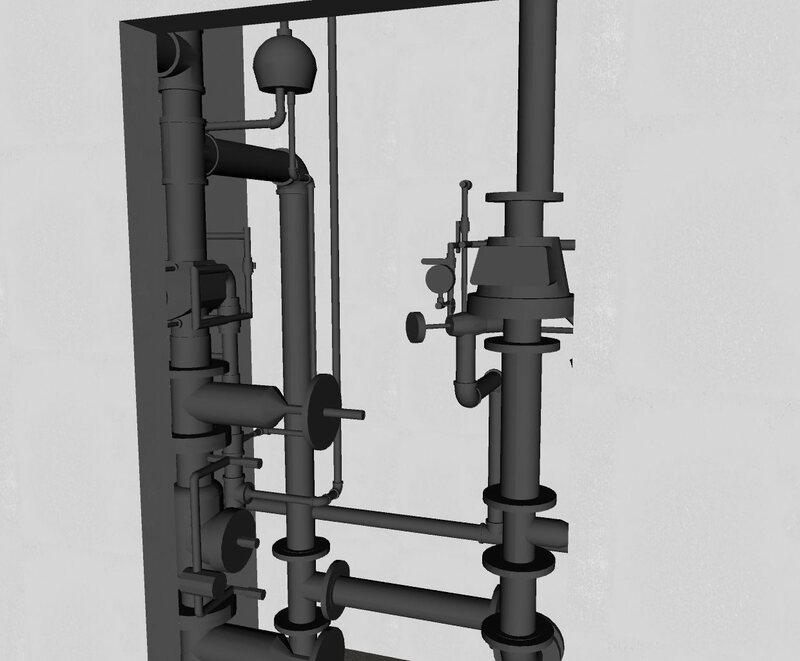 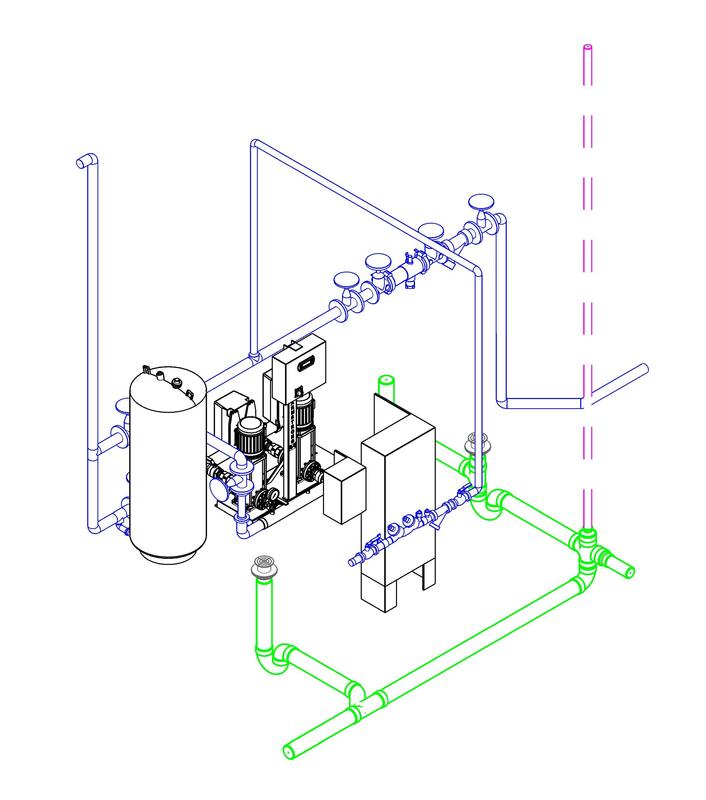 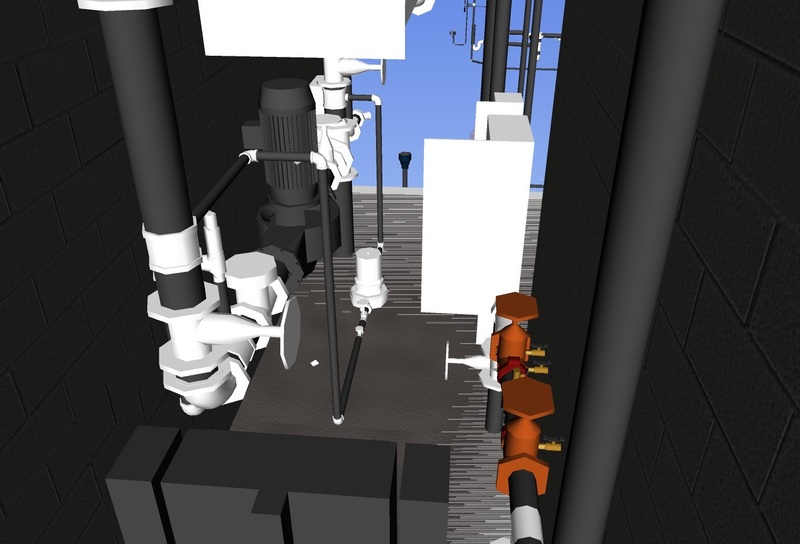 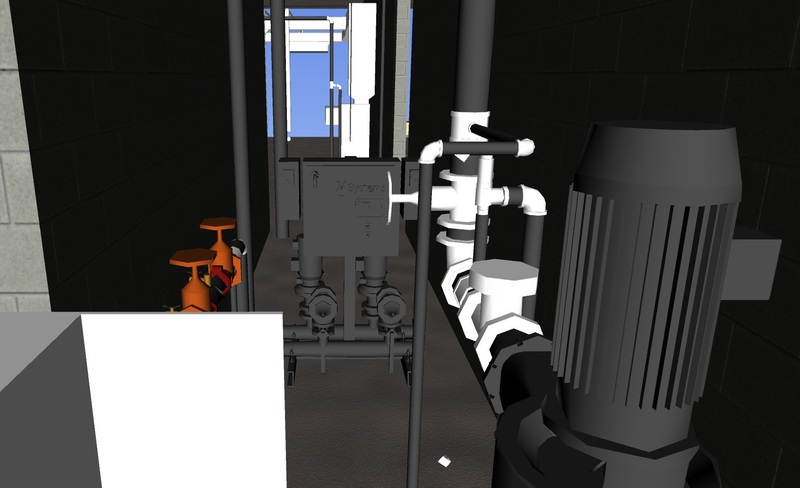 Screenshot of a booster and fire pump layout in an odd shaped mechanical room. 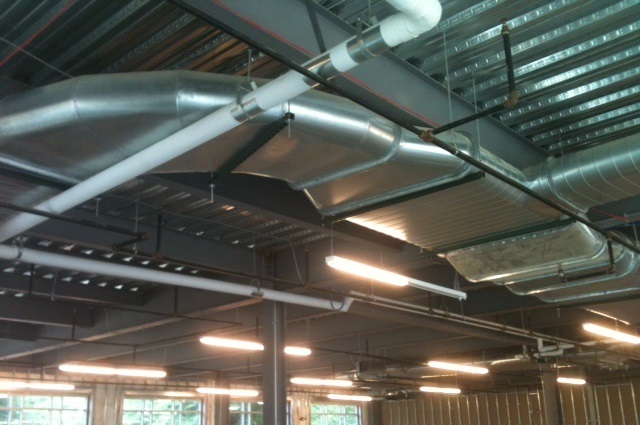 Duct installation at MCR Safety Office Building. 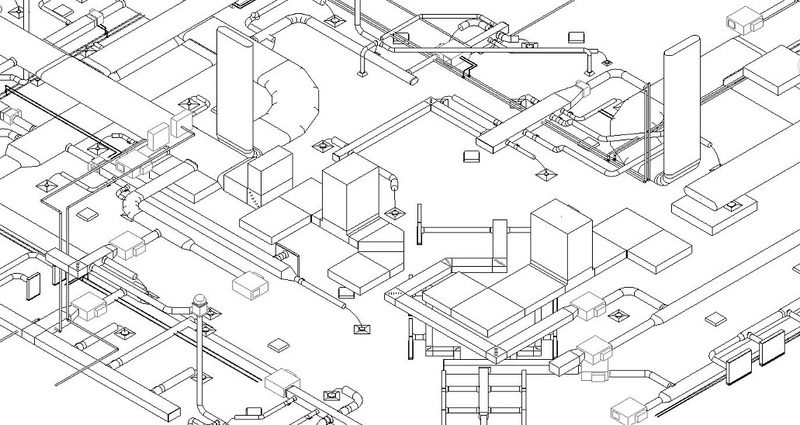 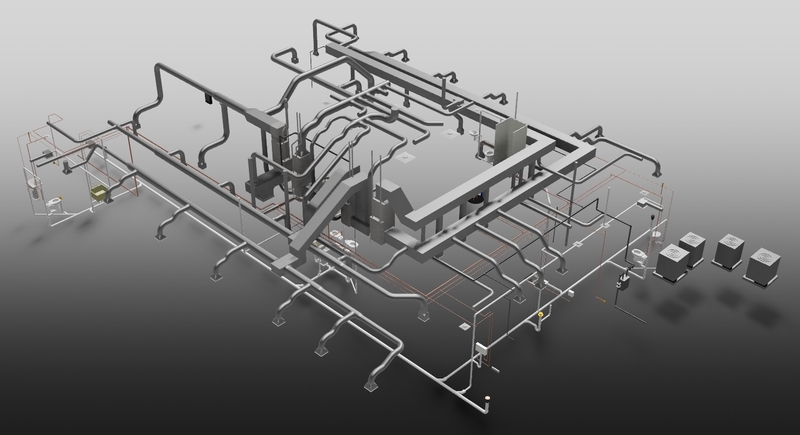 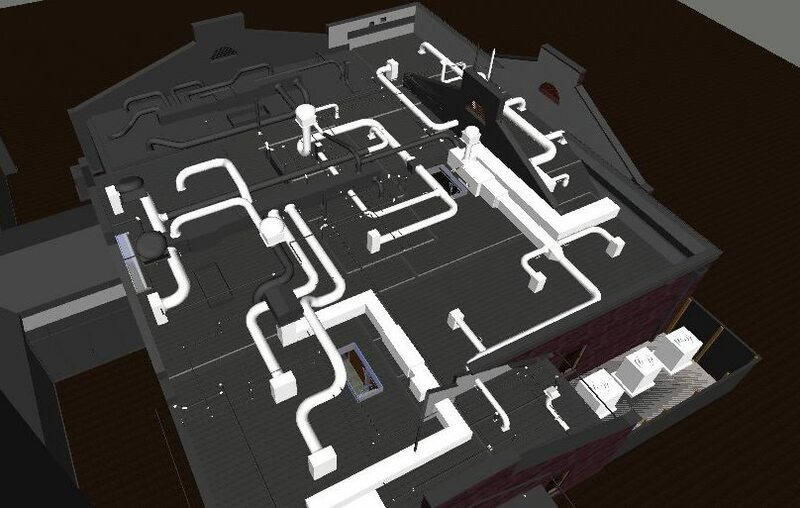 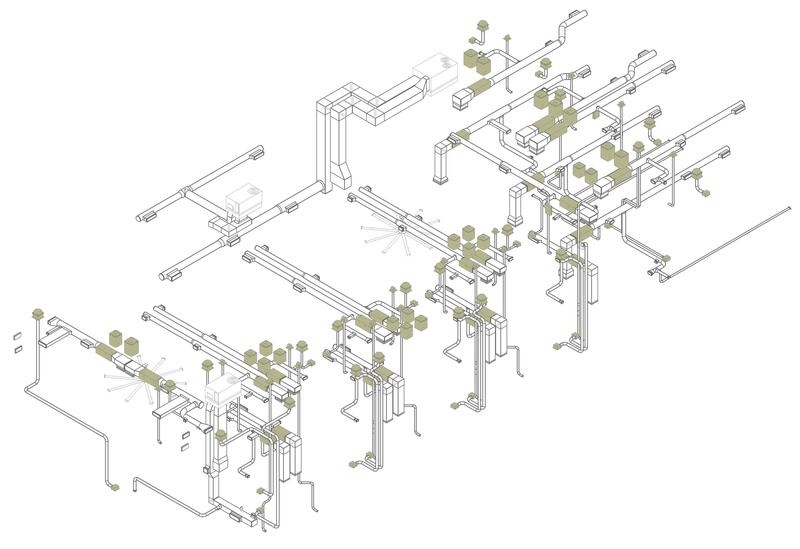 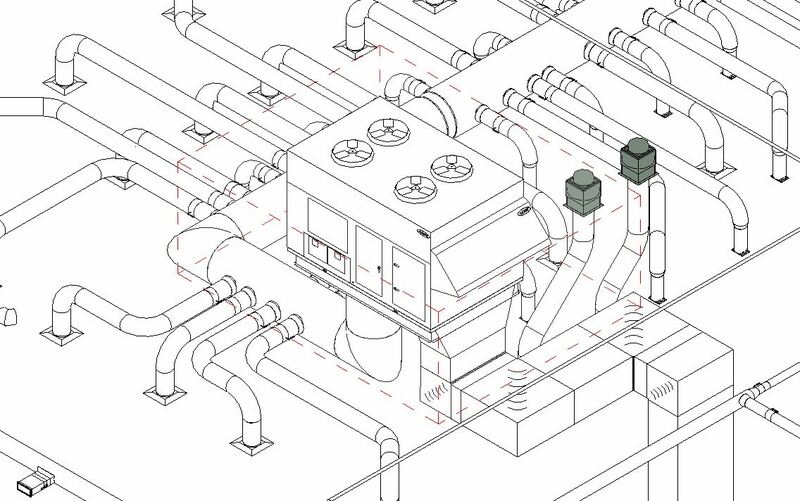 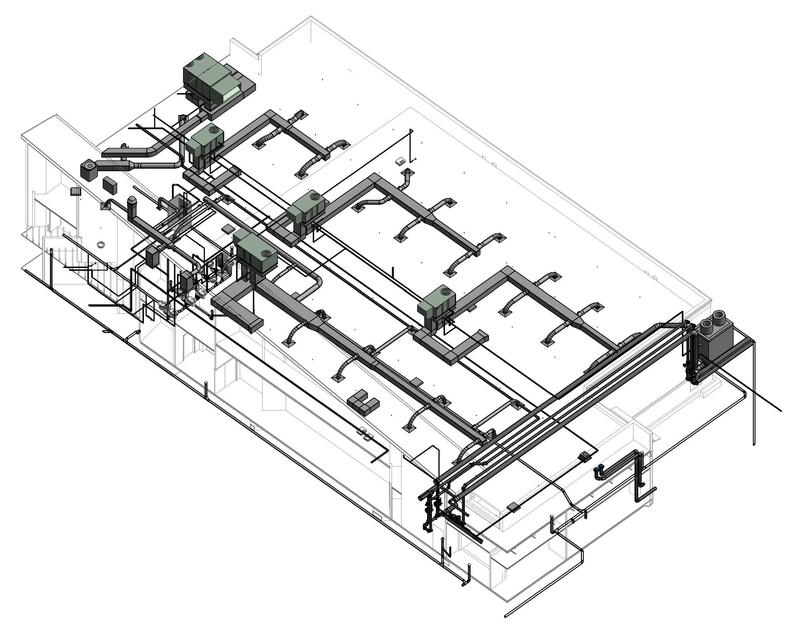 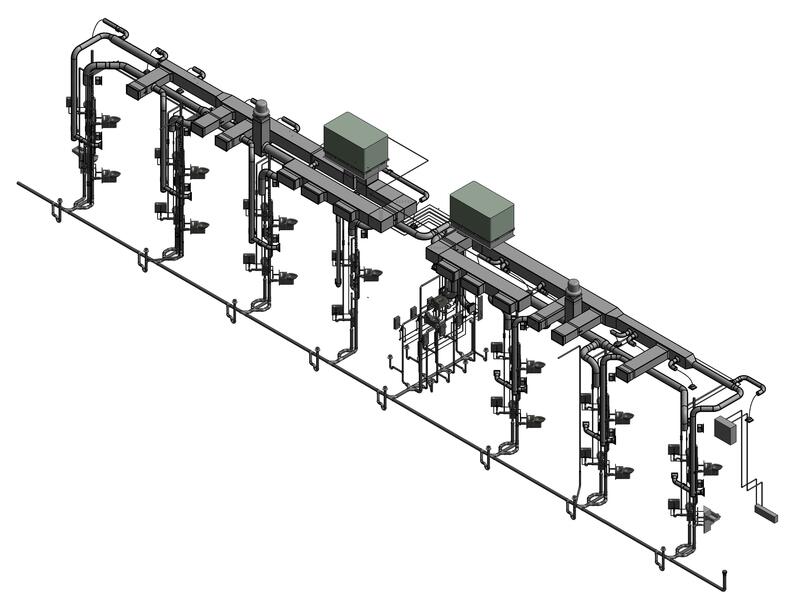 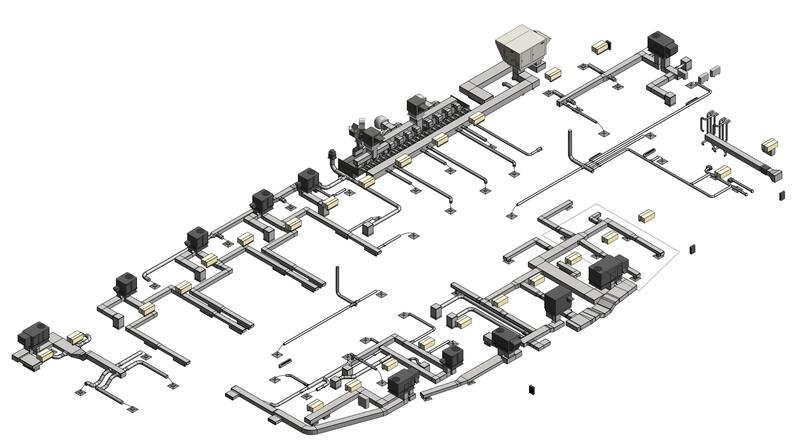 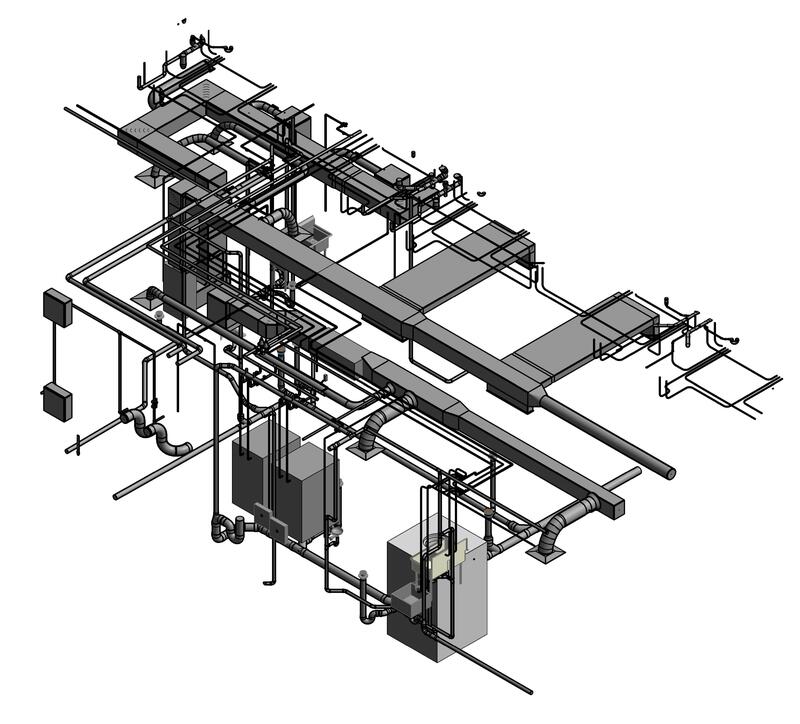 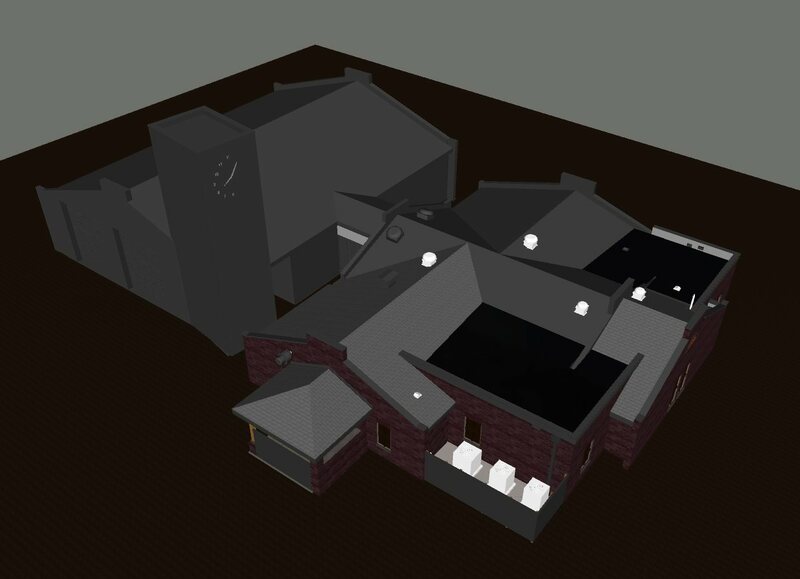 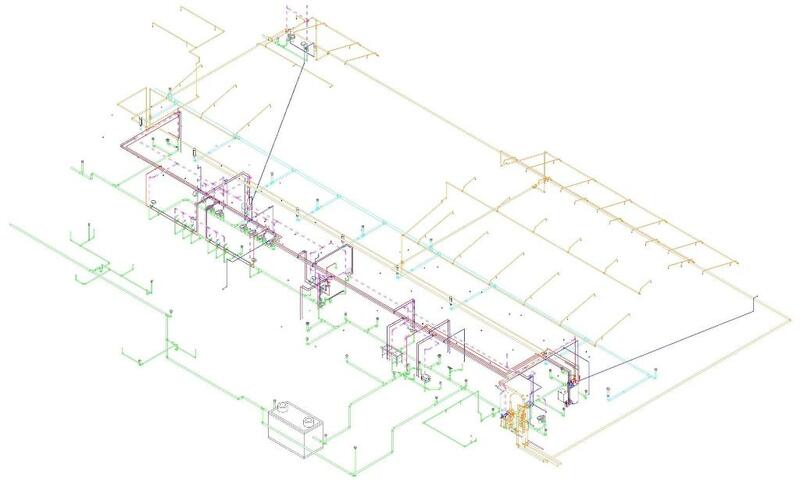 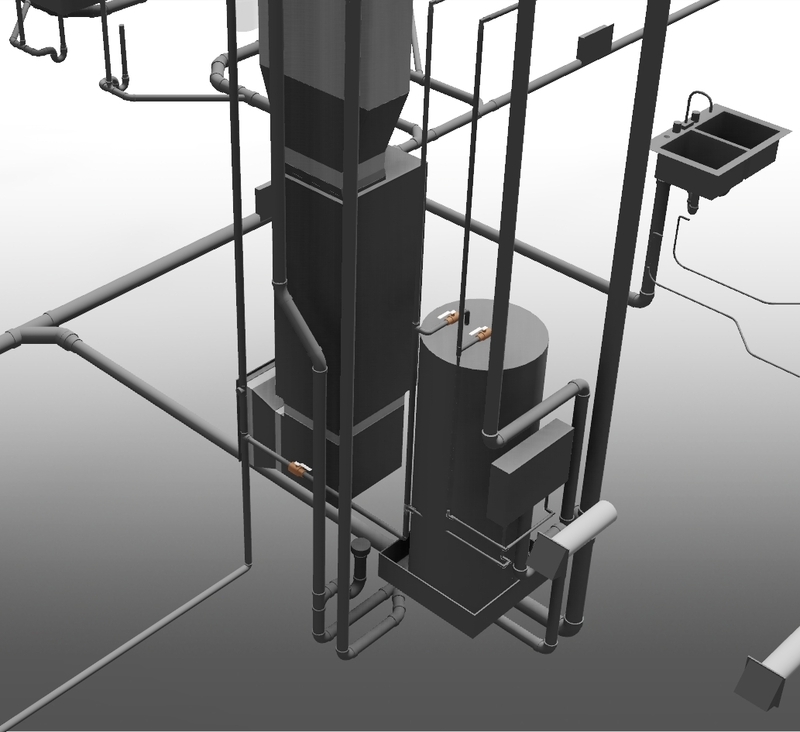 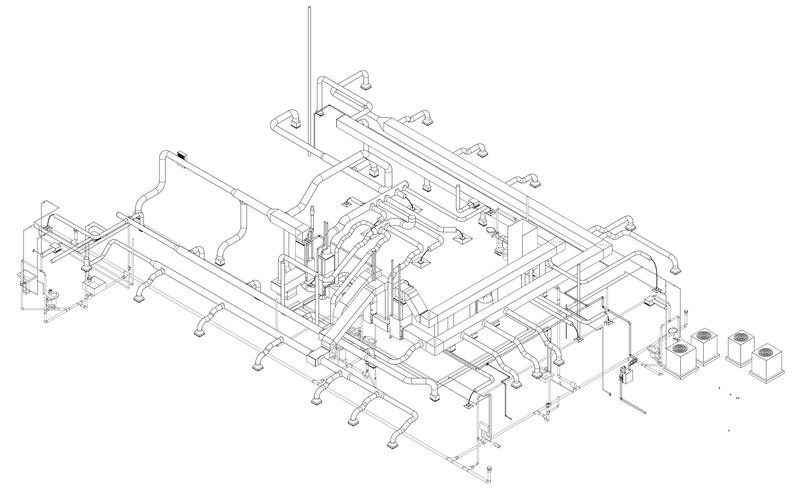 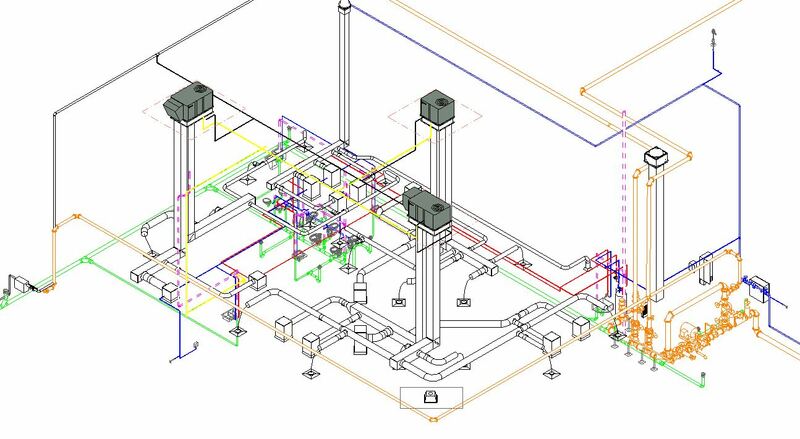 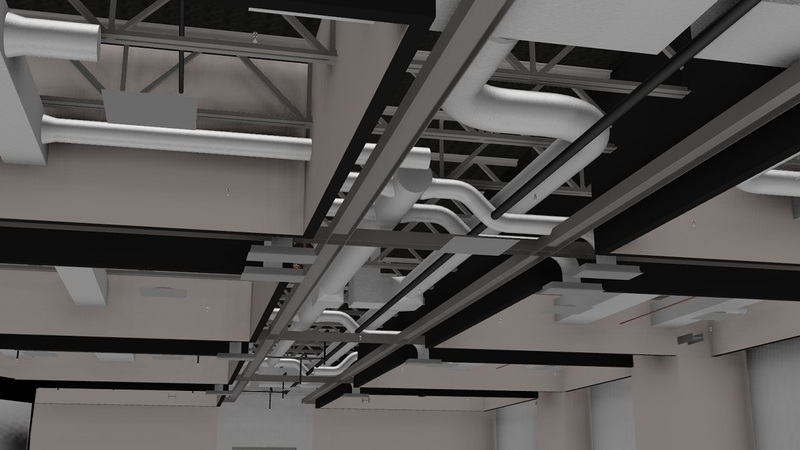 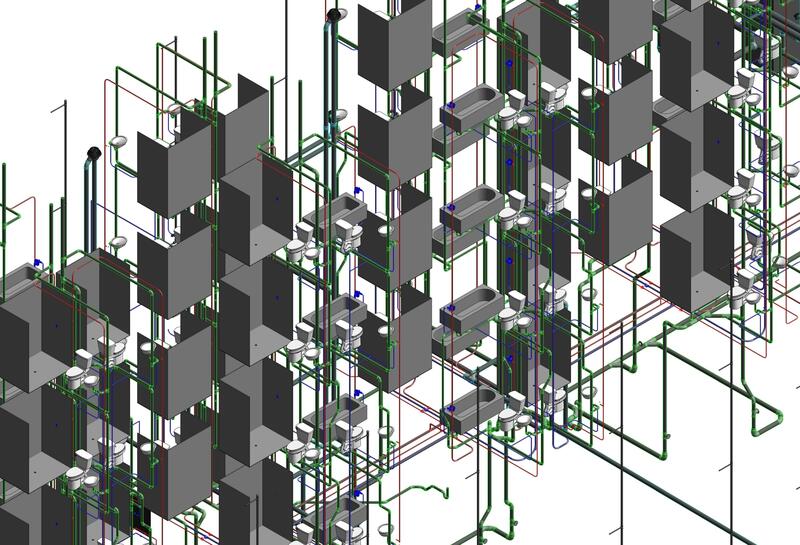 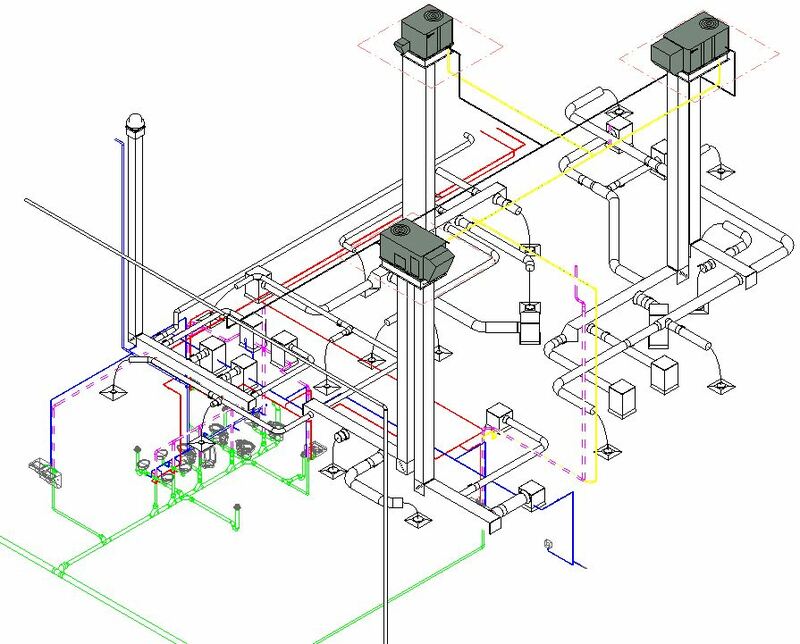 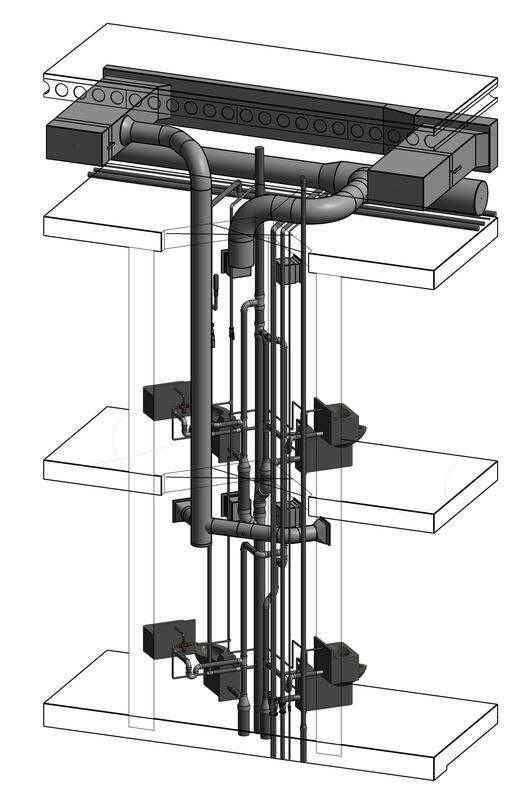 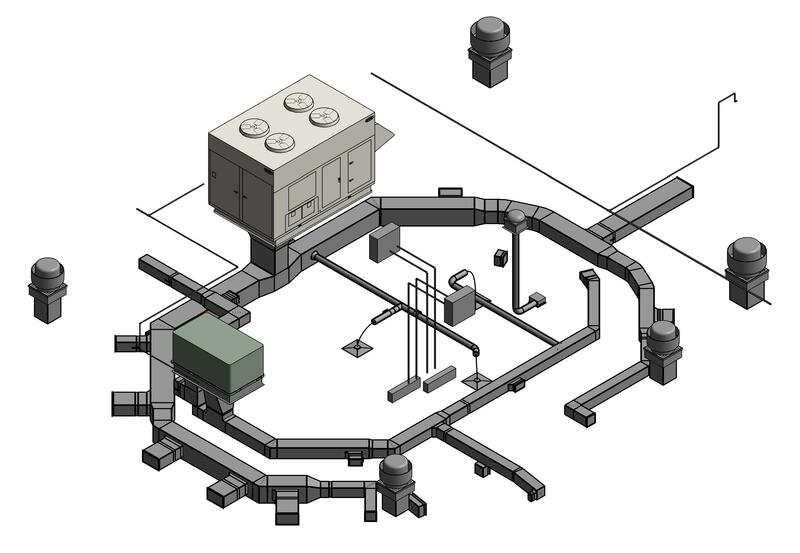 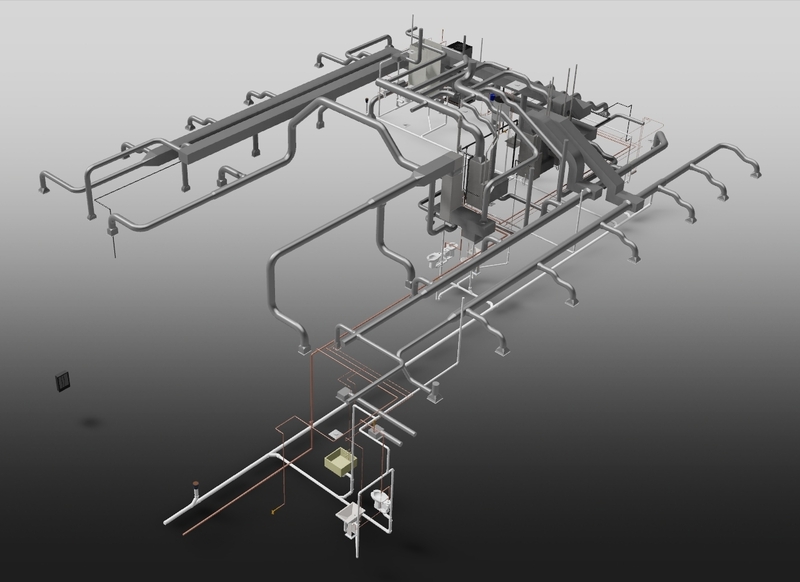 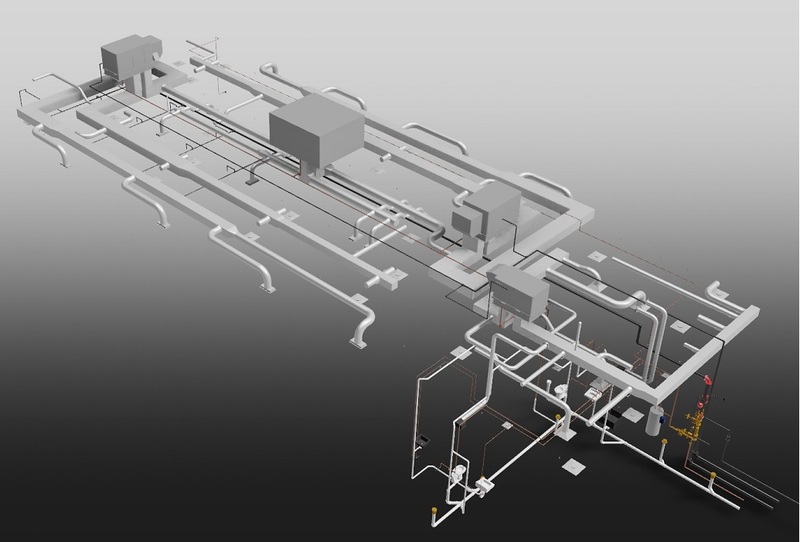 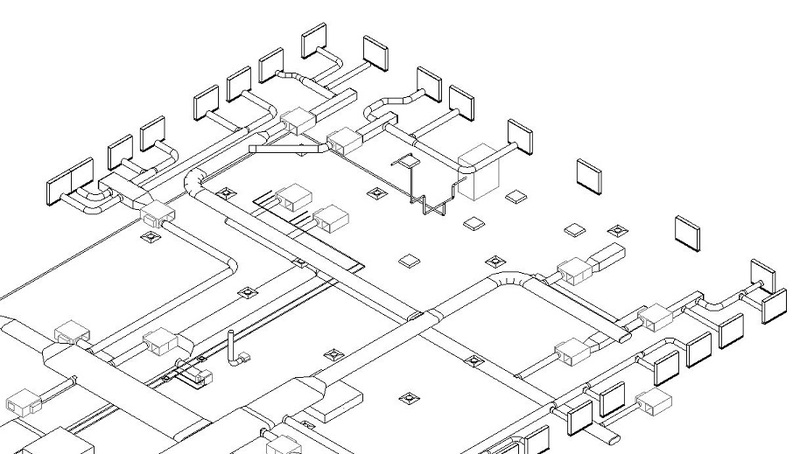 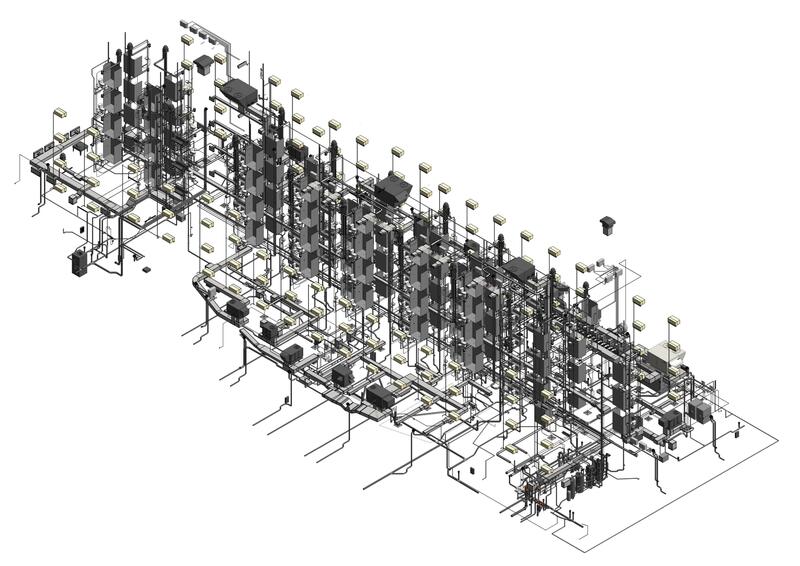 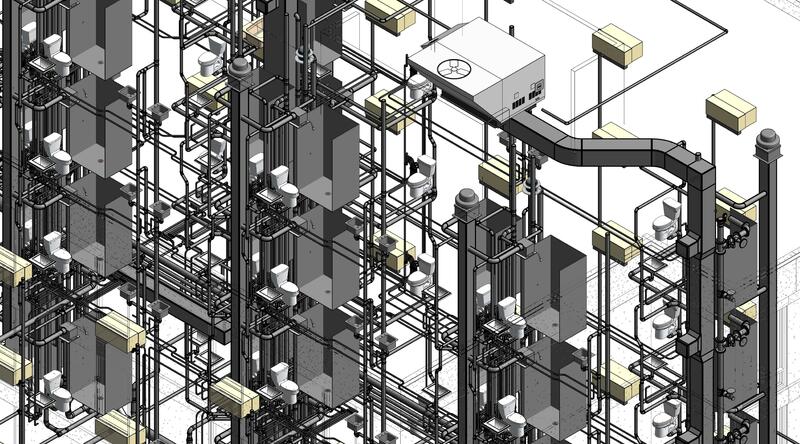 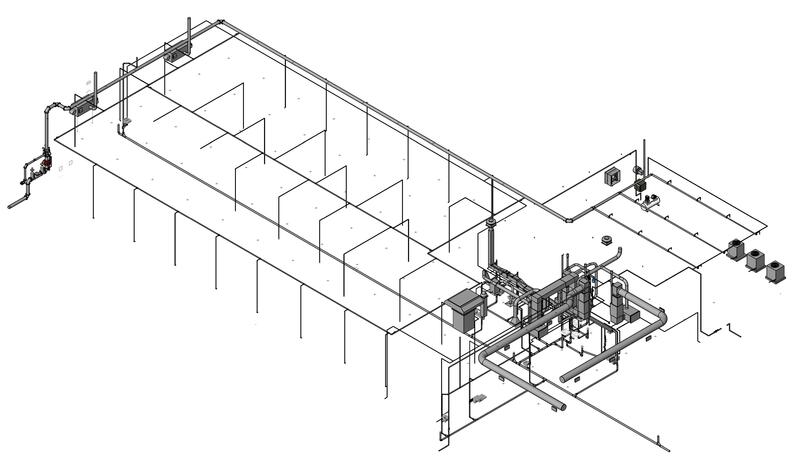 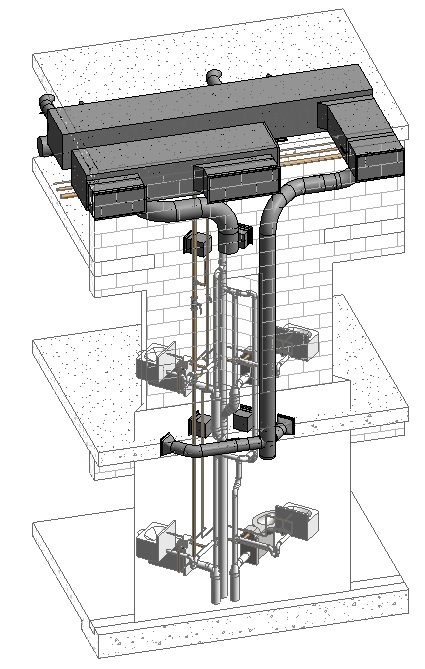 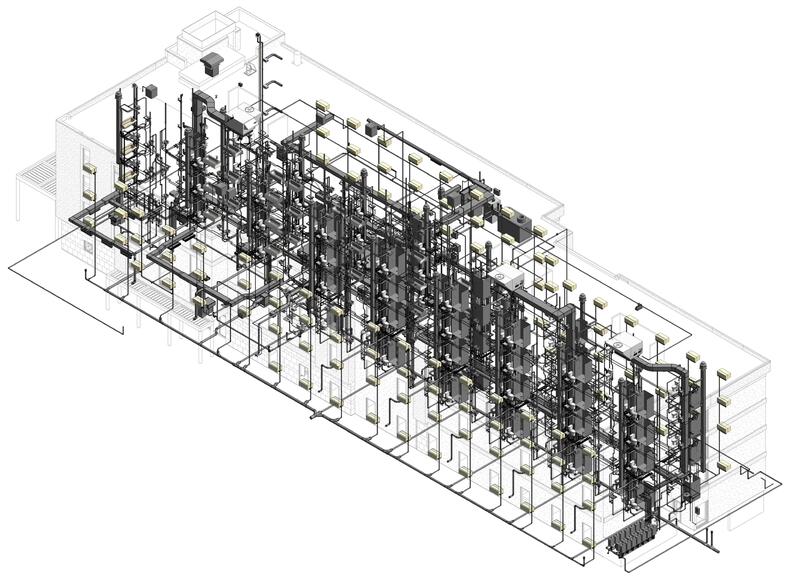 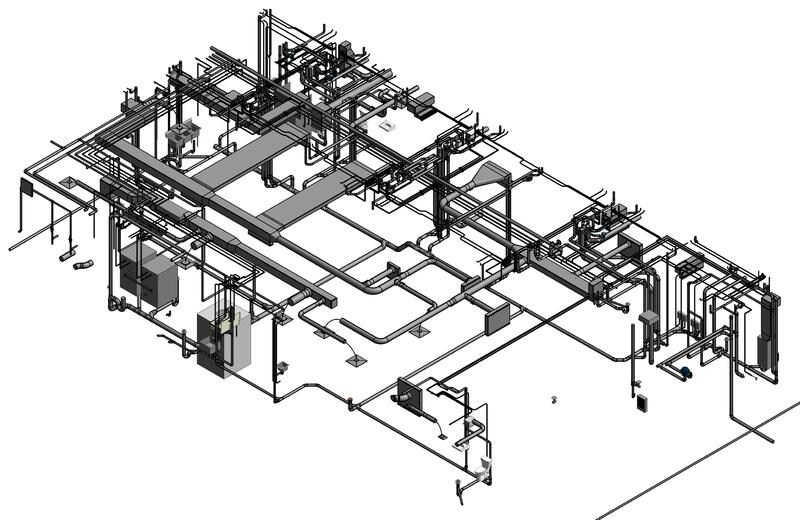 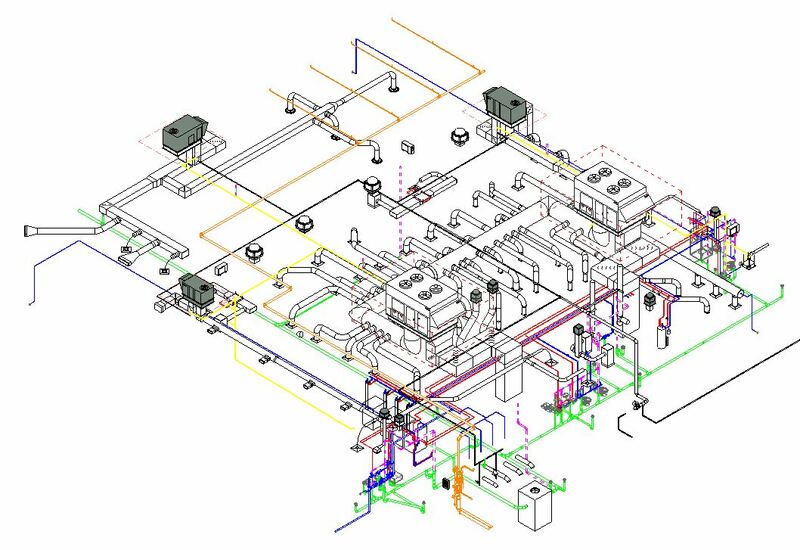 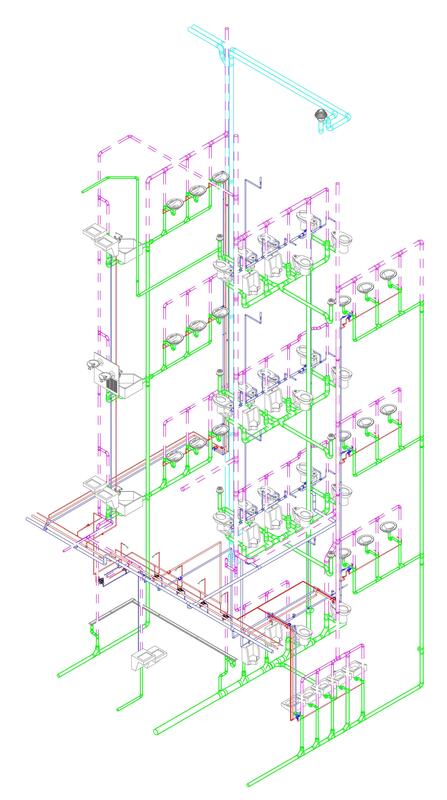 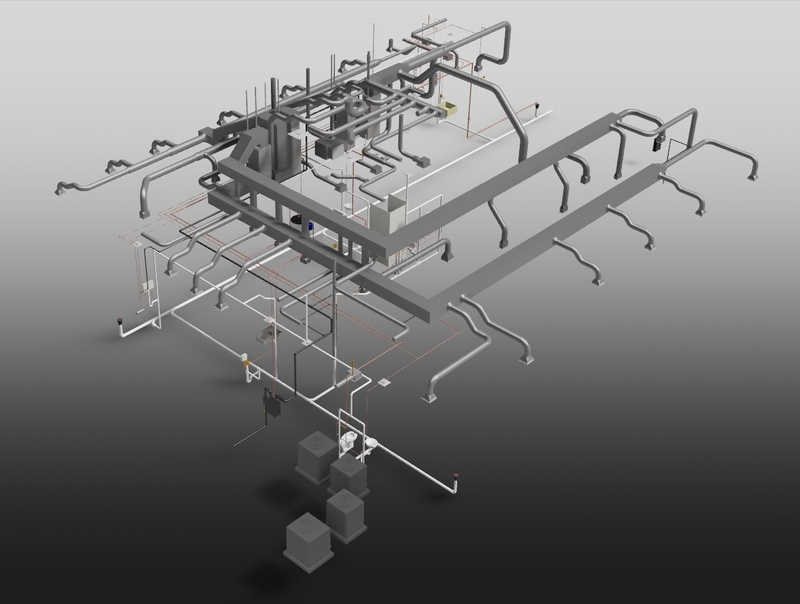 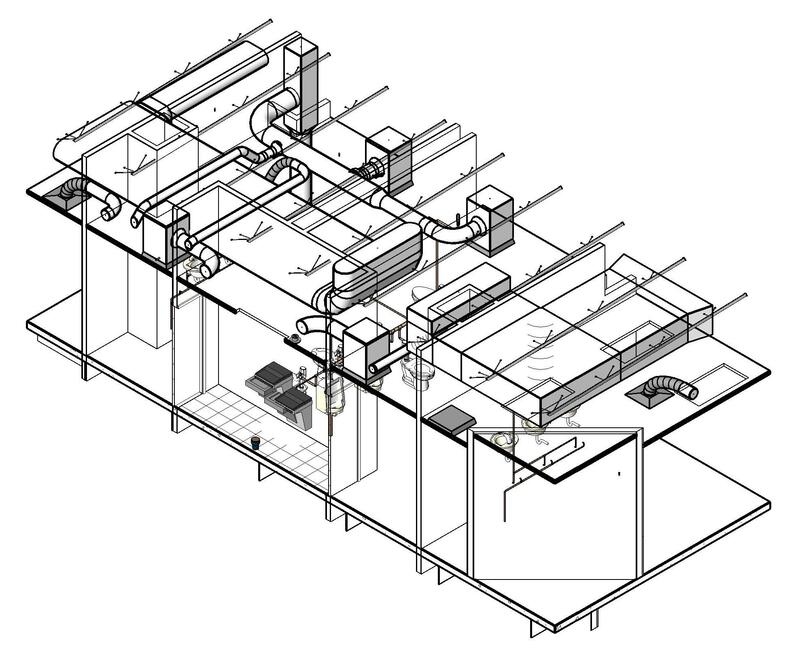 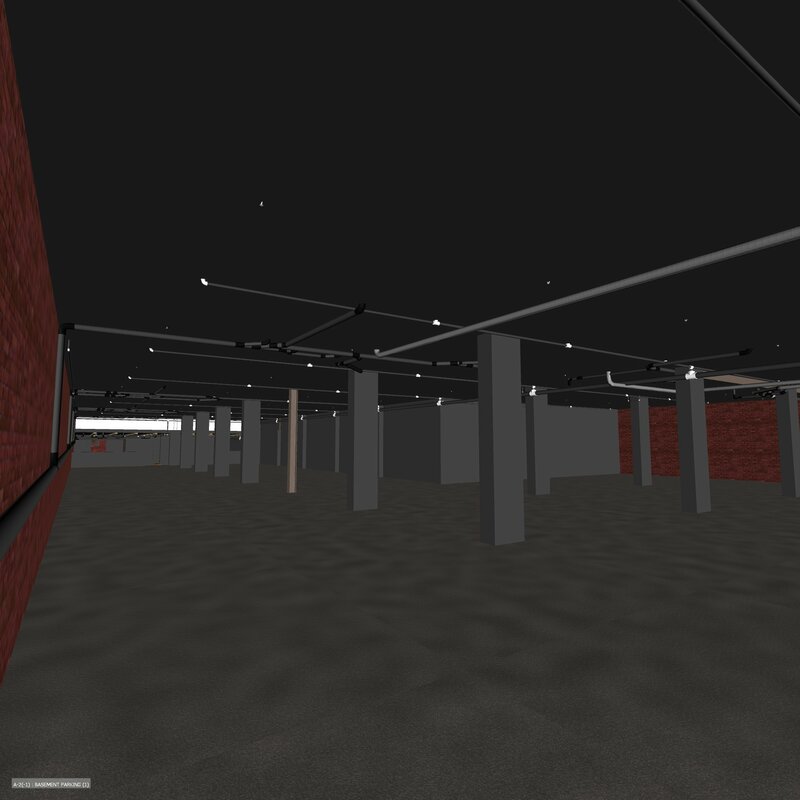 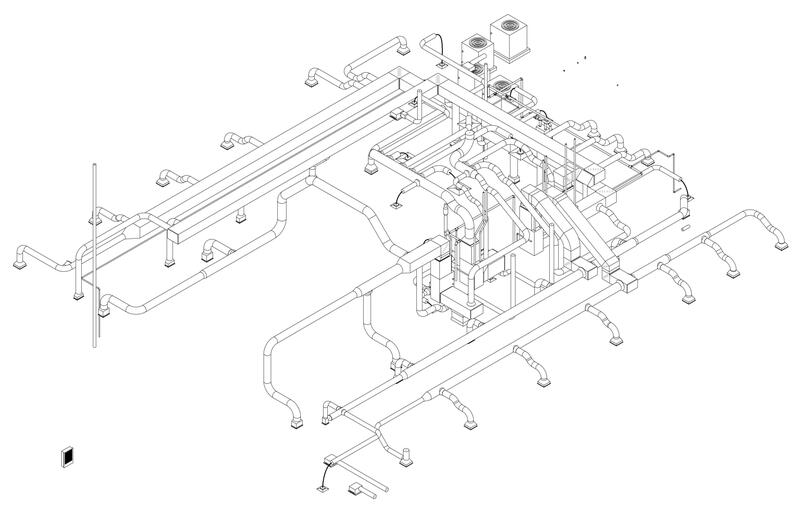 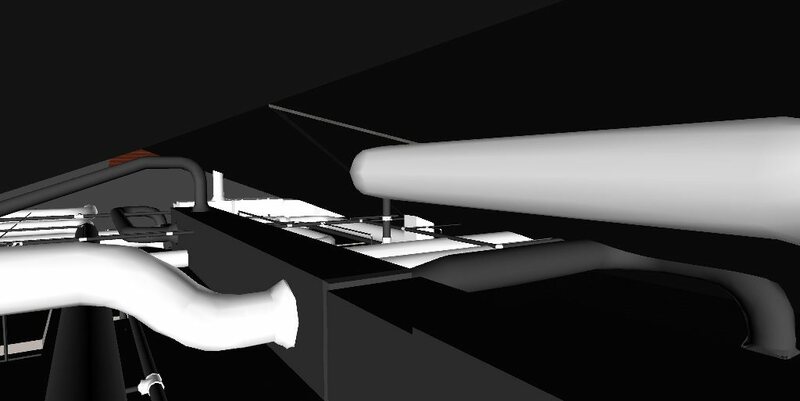 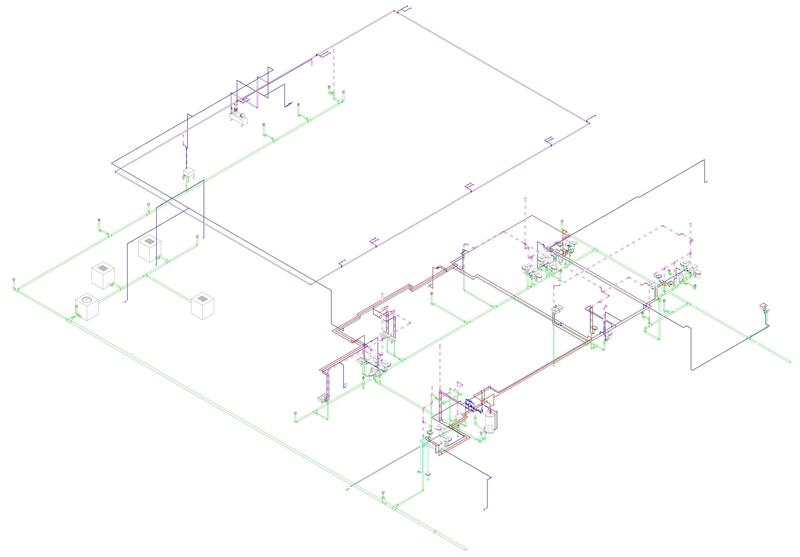 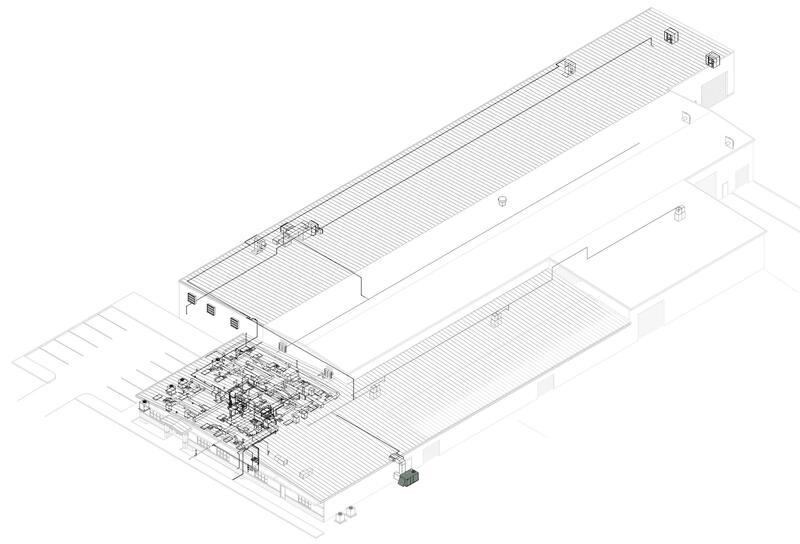 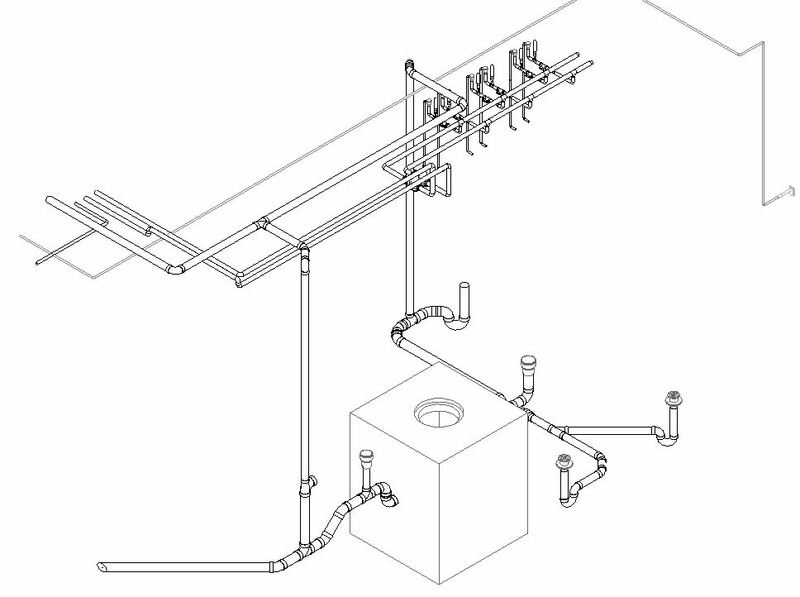 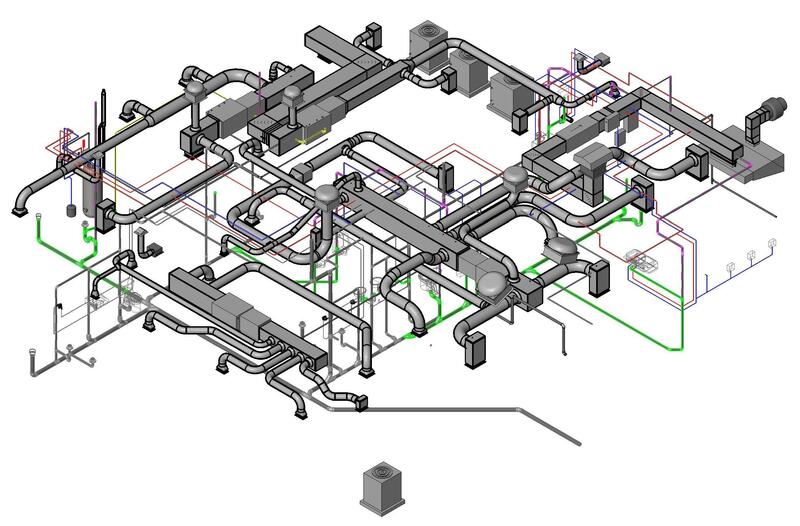 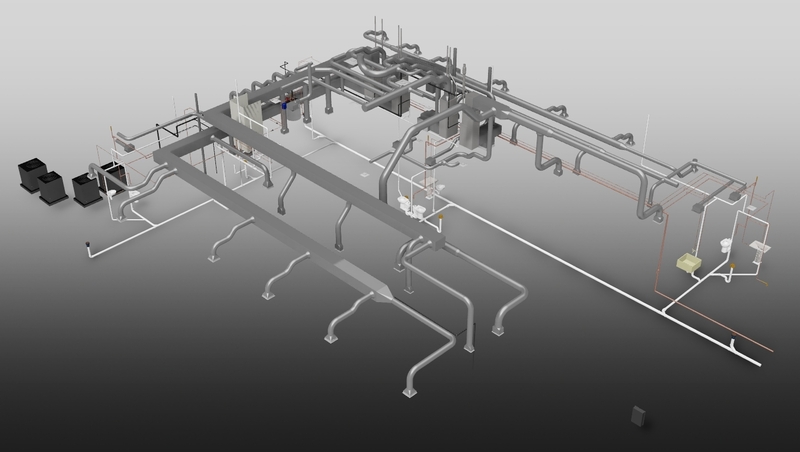 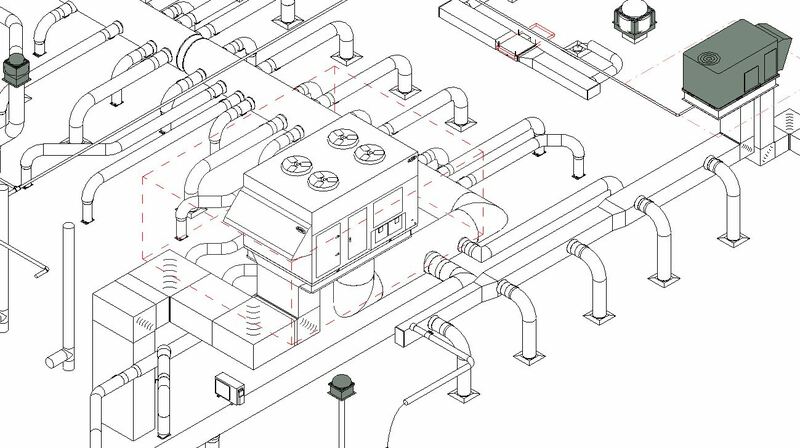 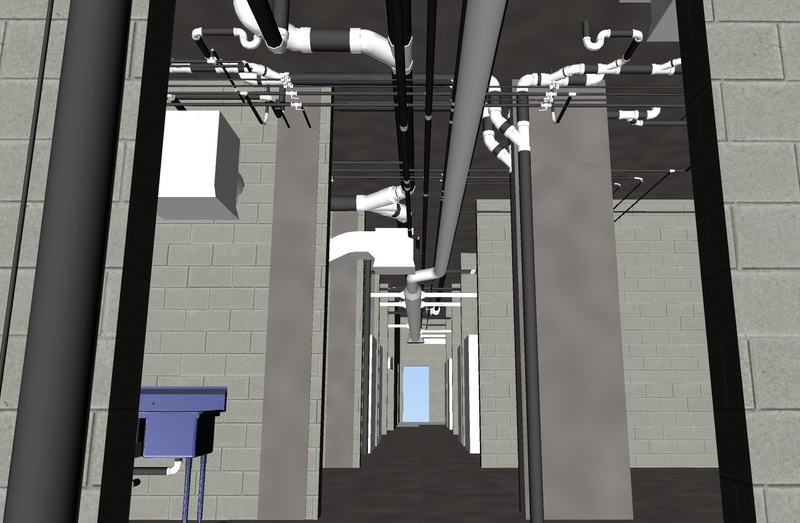 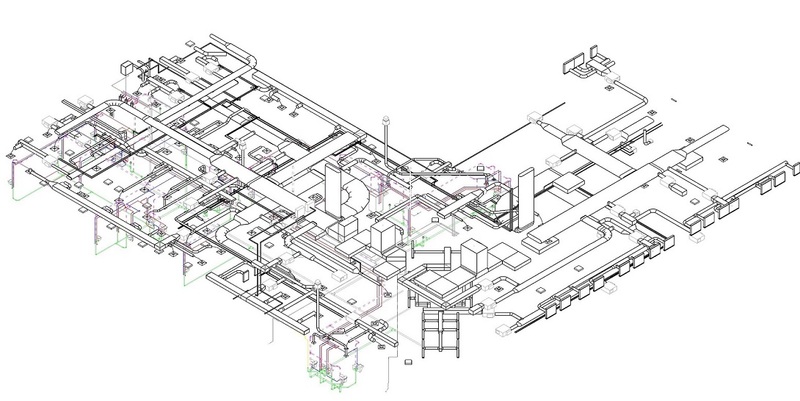 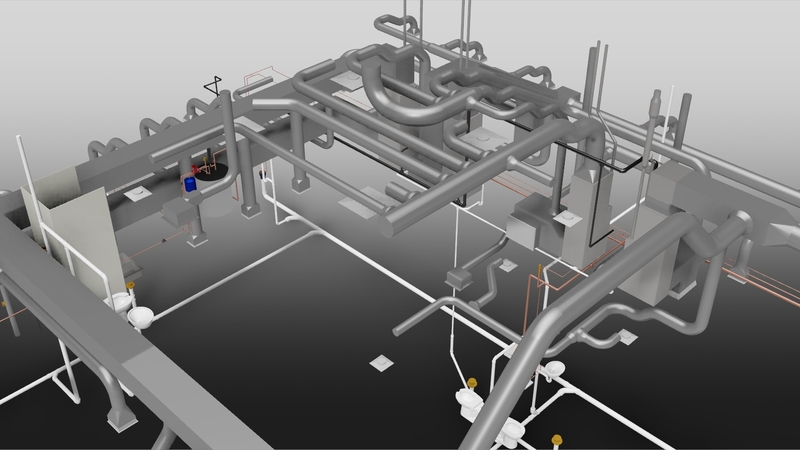 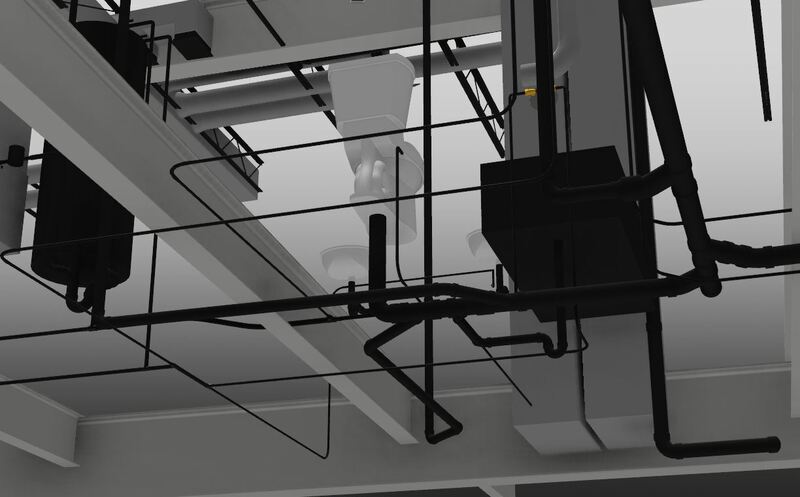 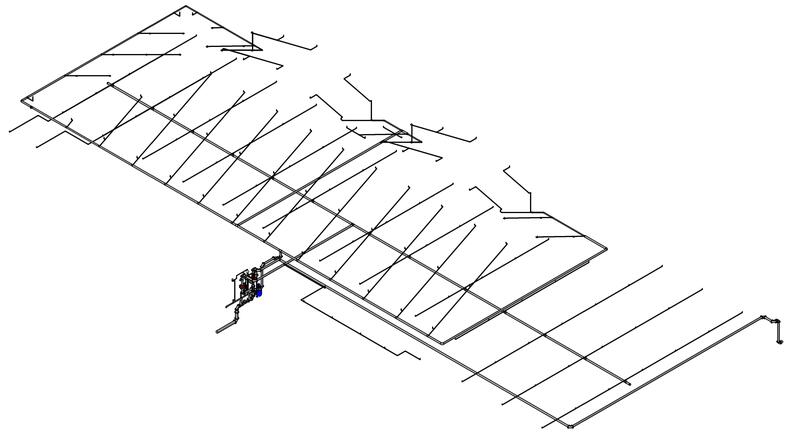 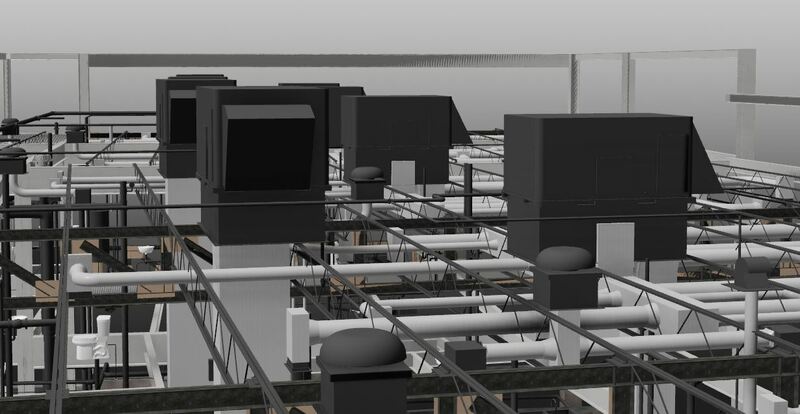 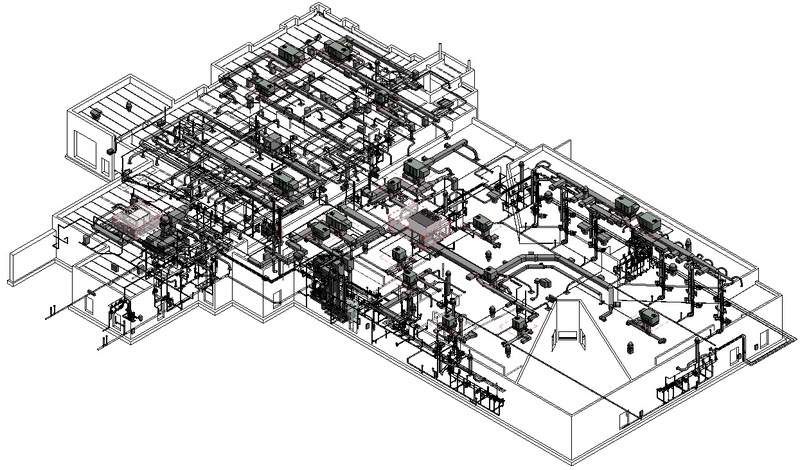 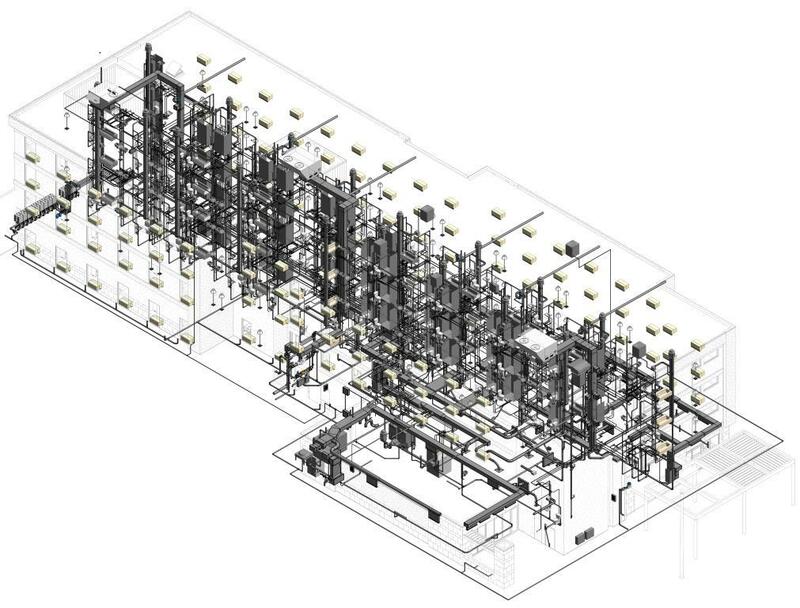 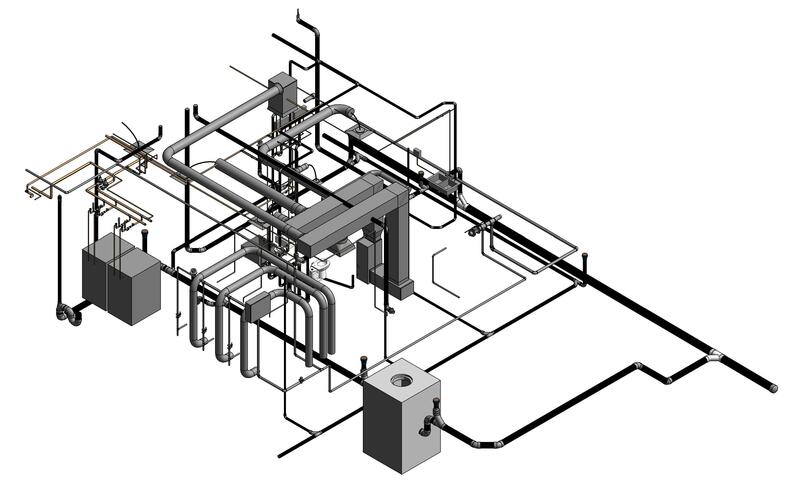 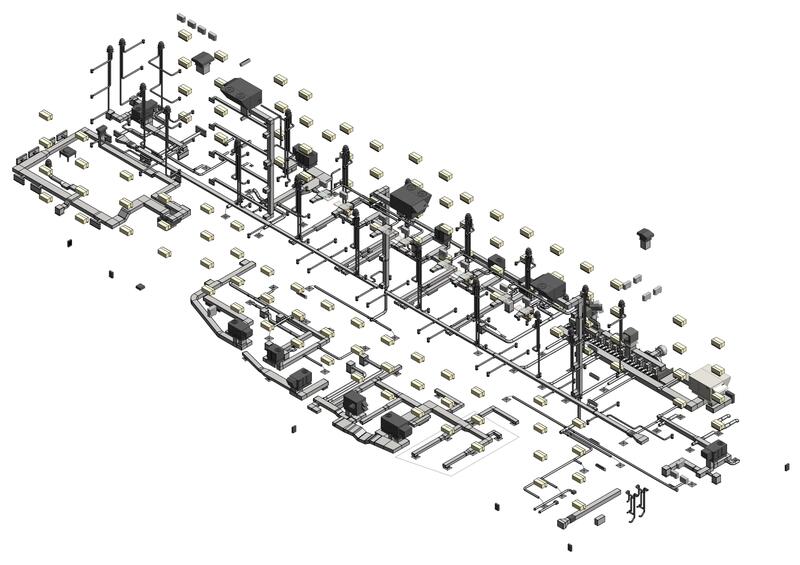 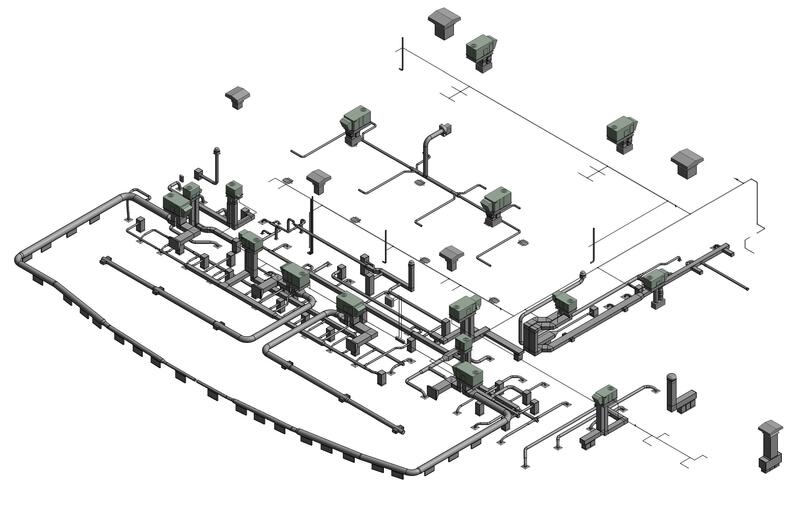 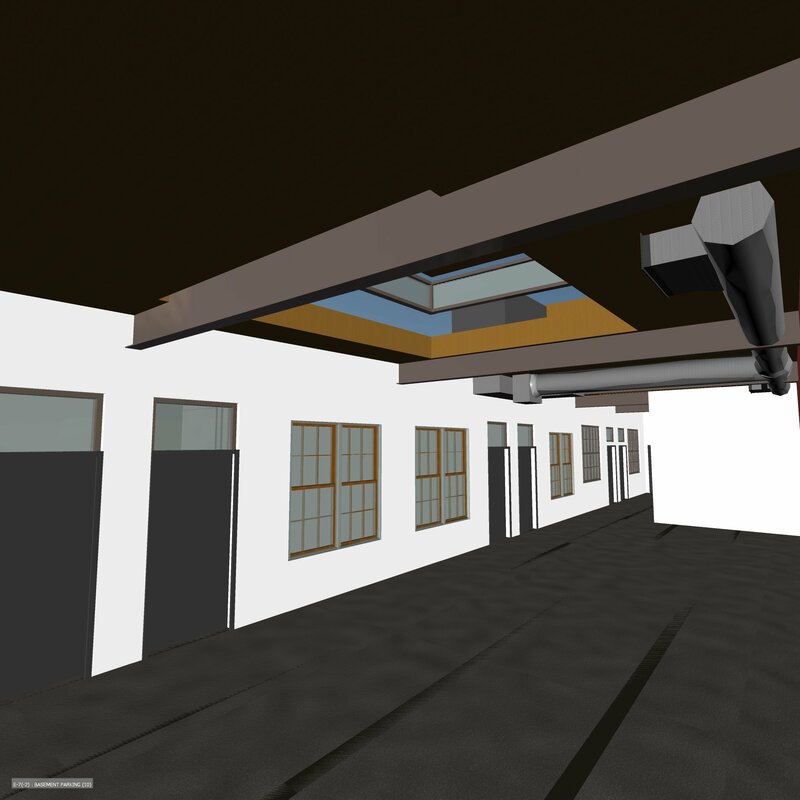 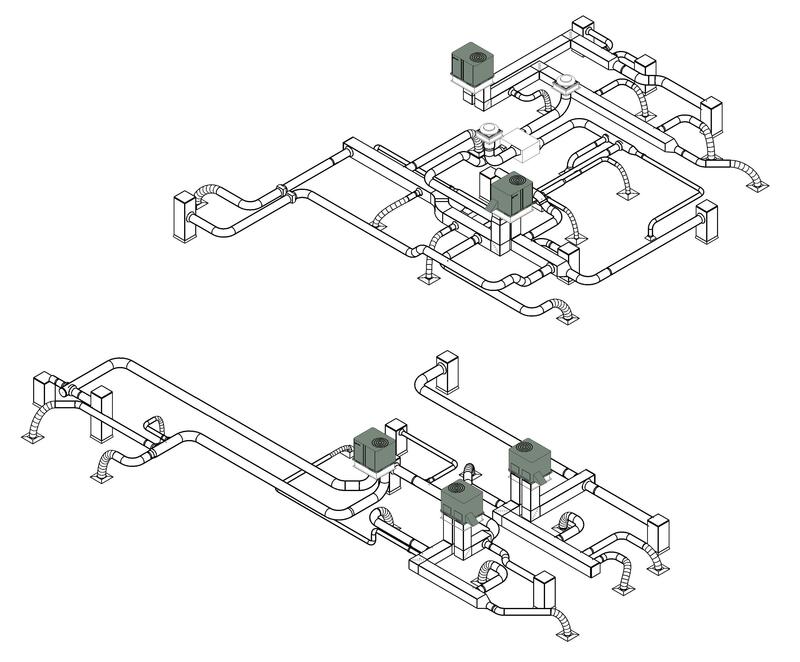 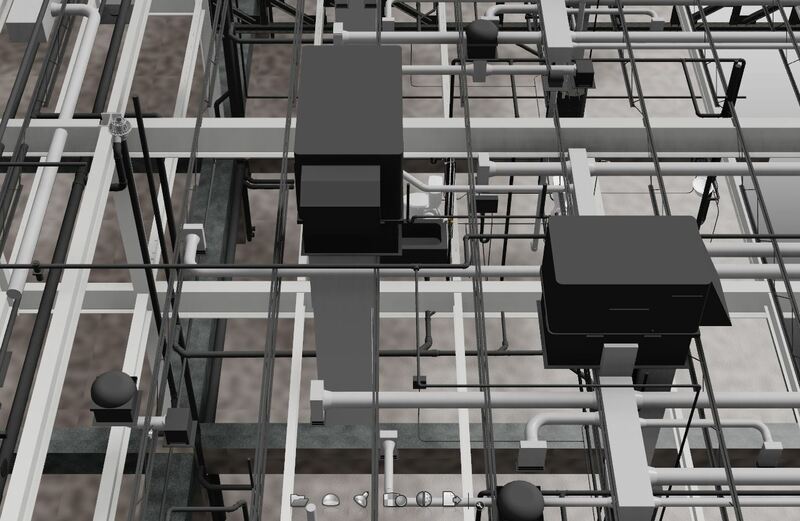 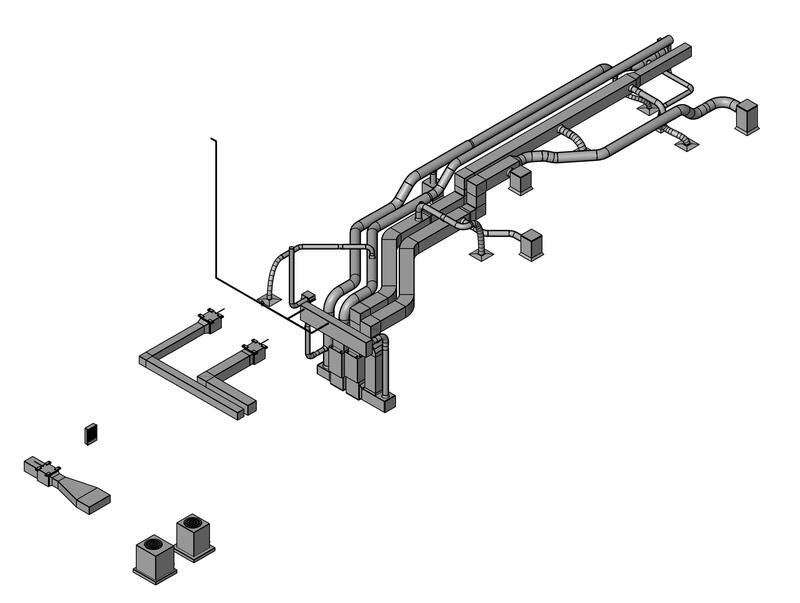 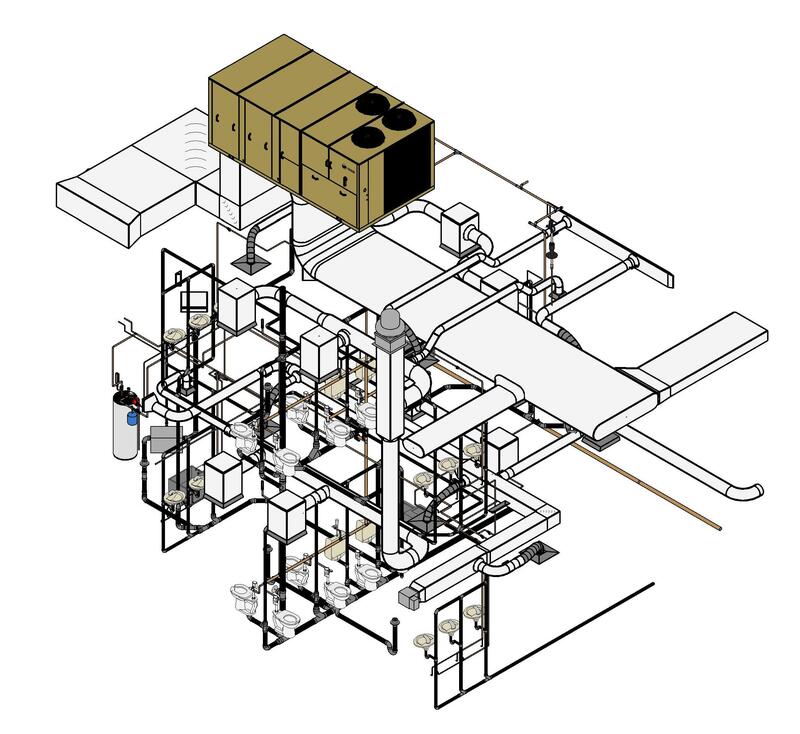 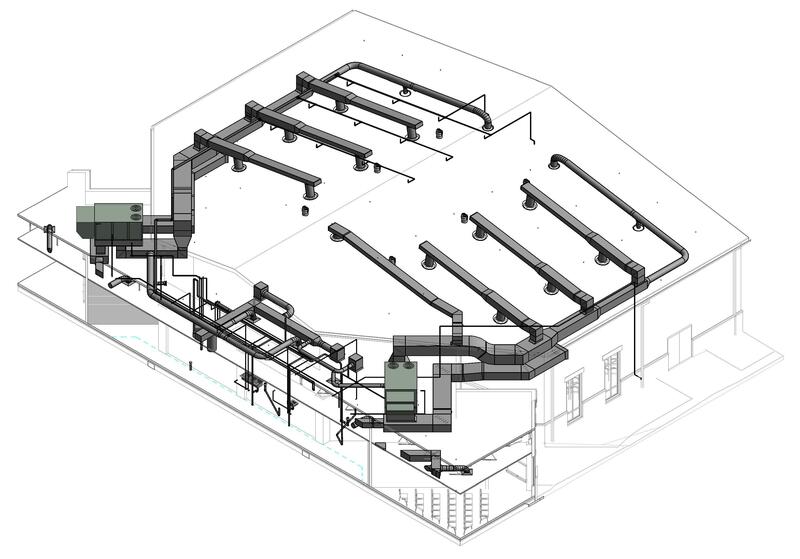 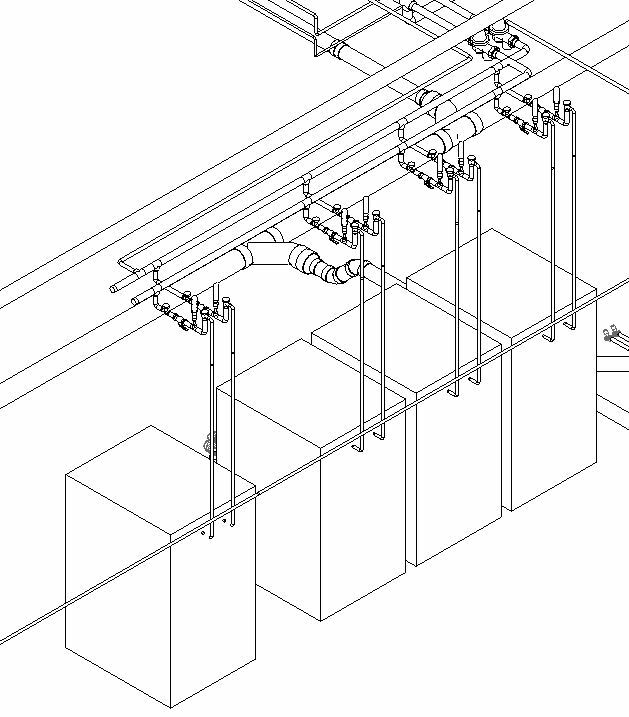 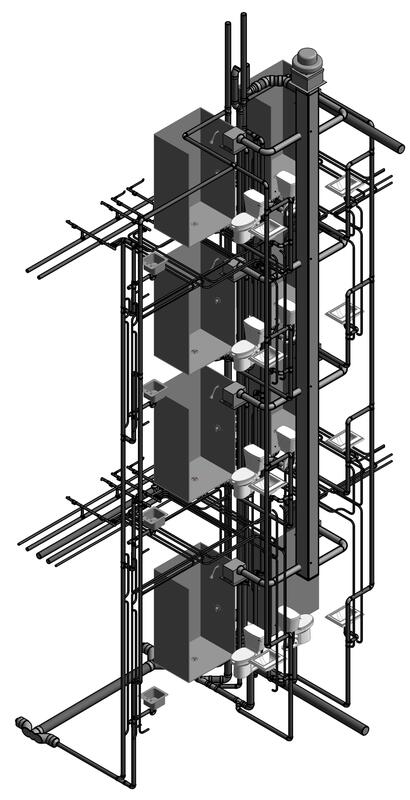 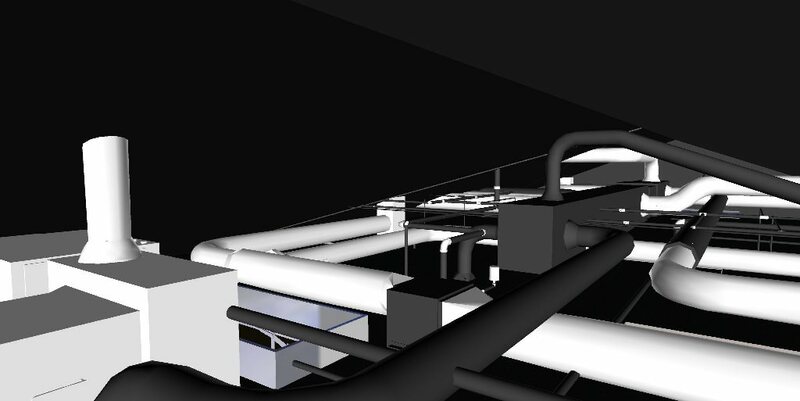 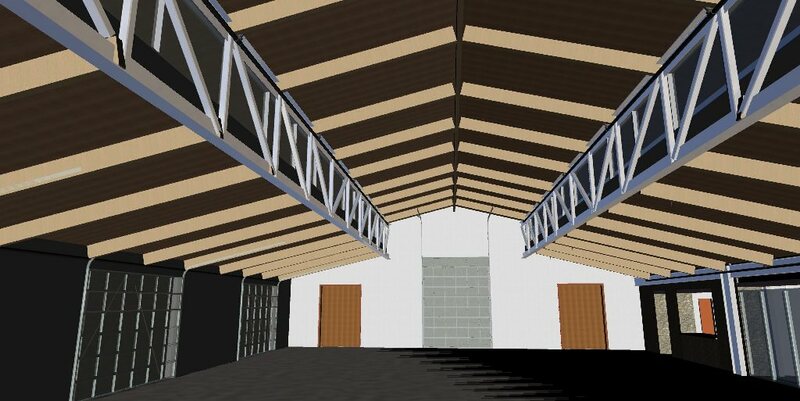 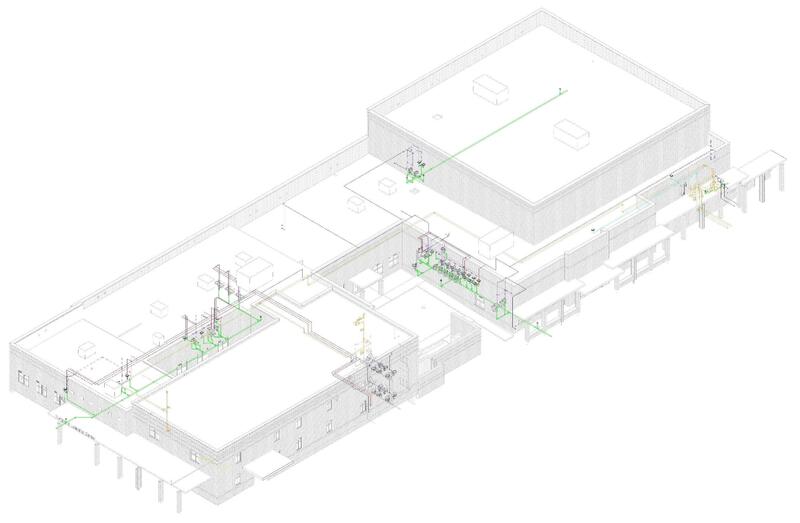 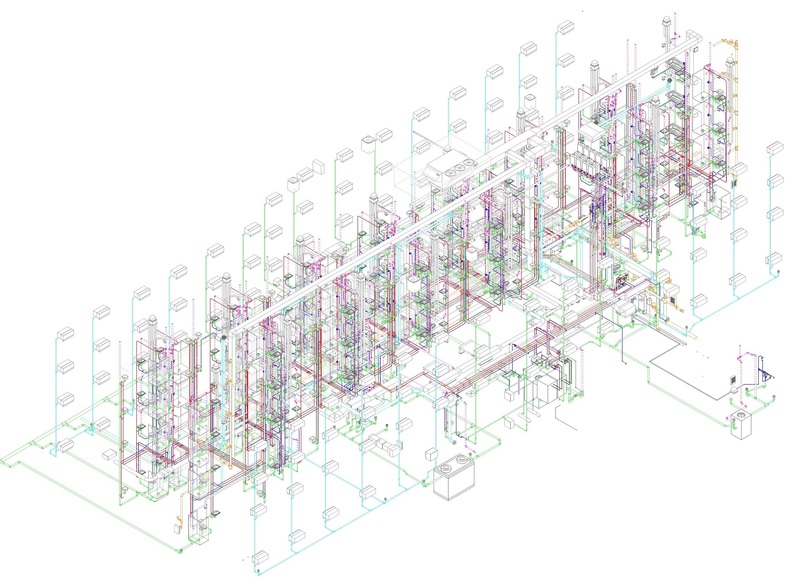 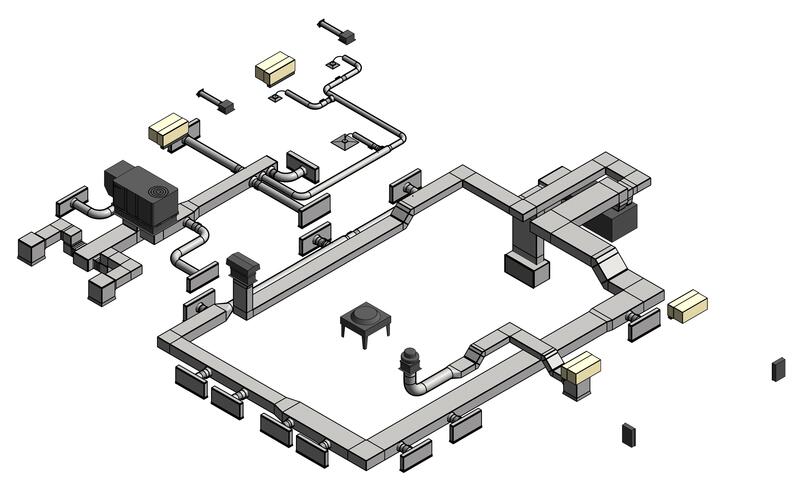 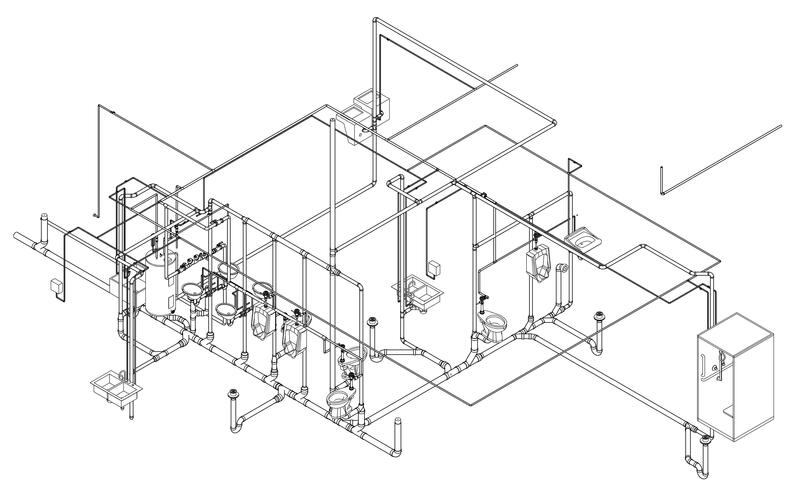 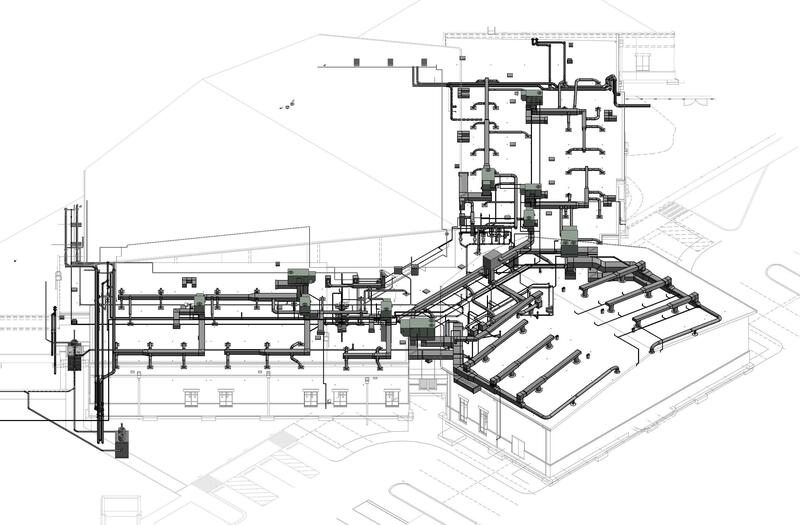 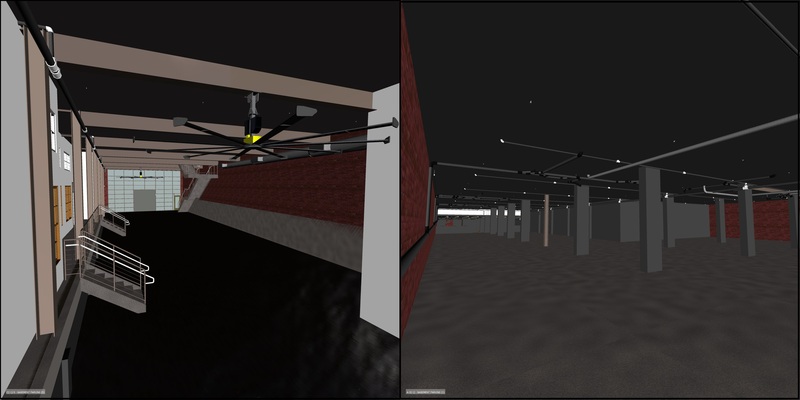 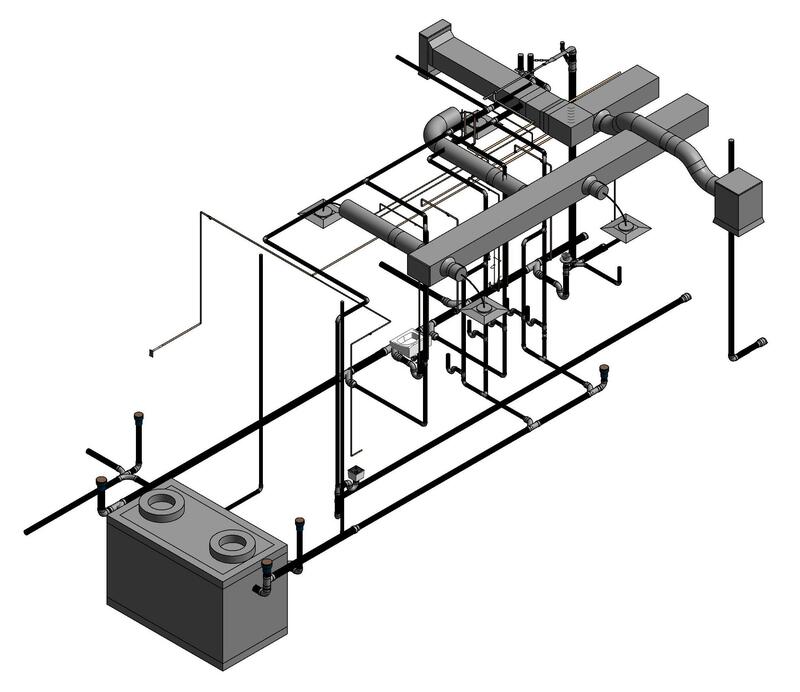 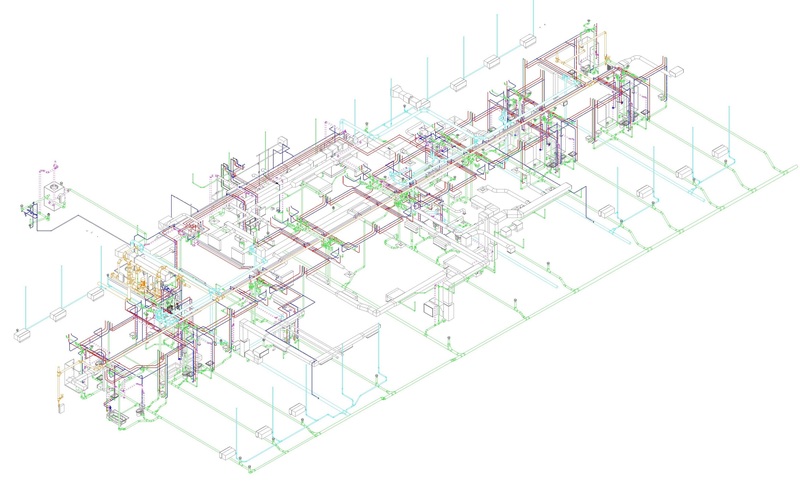 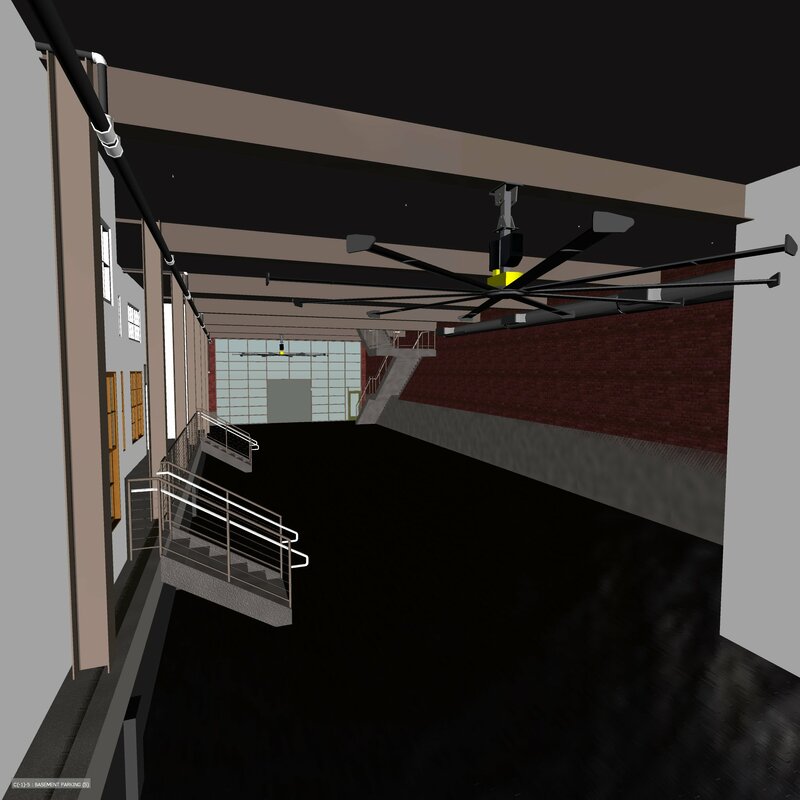 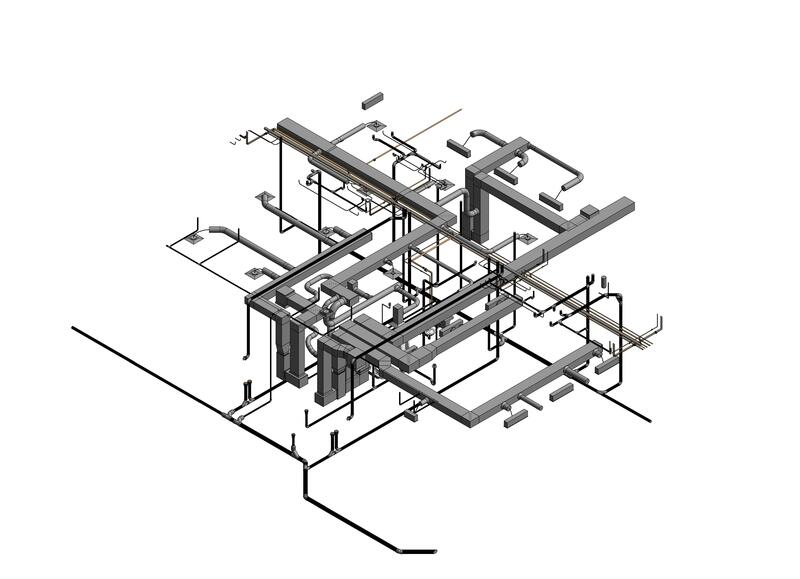 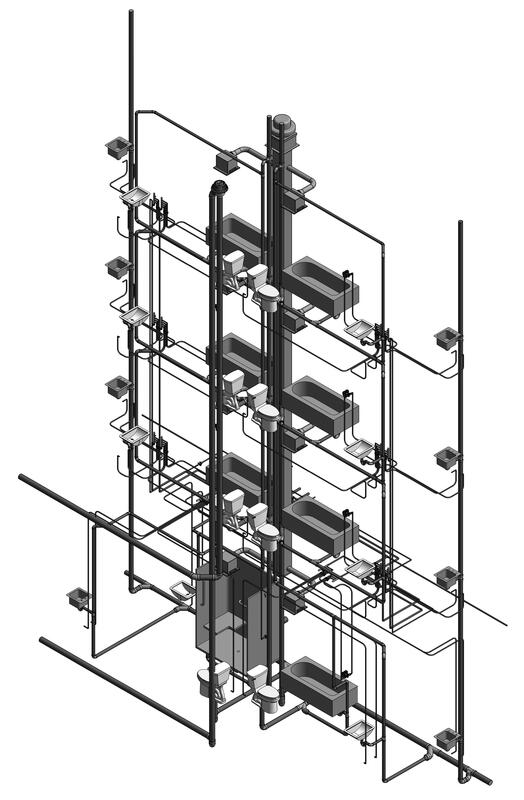 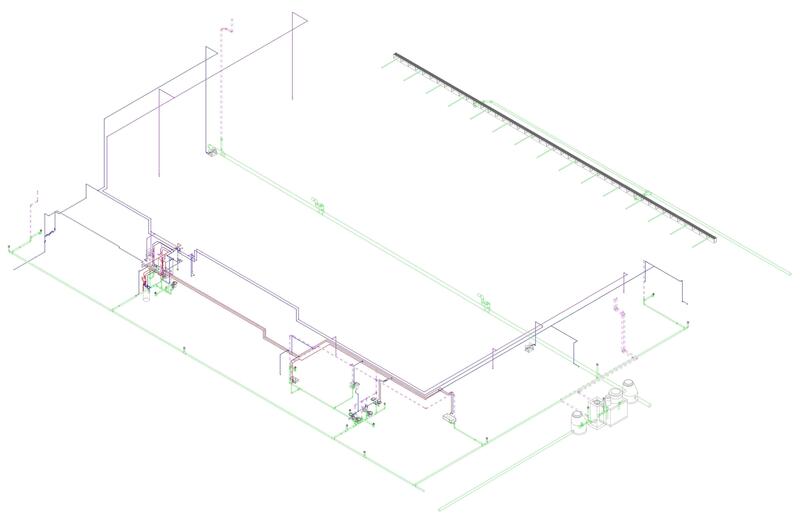 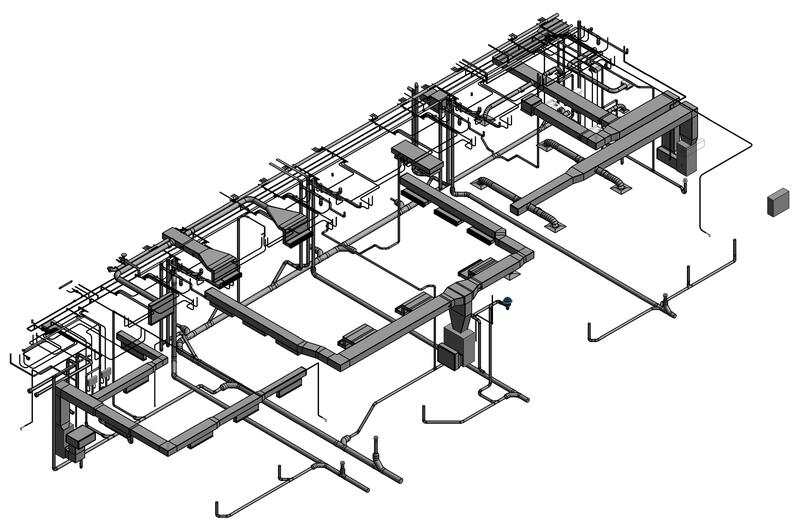 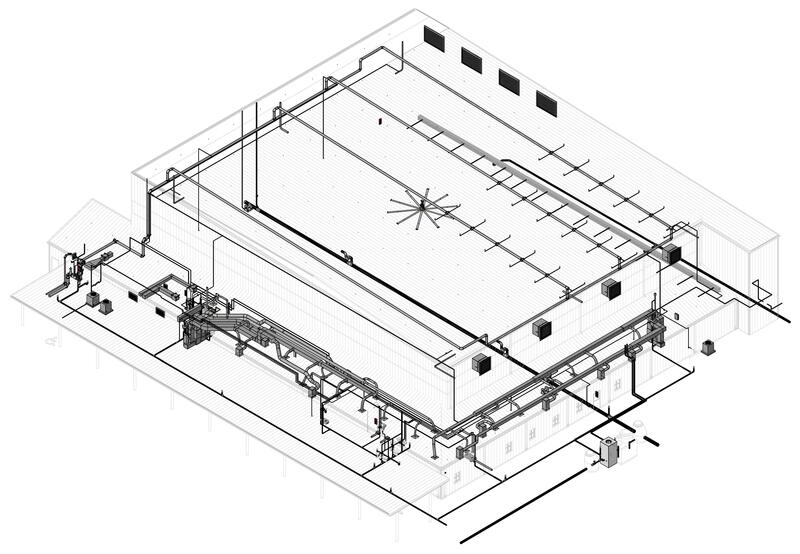 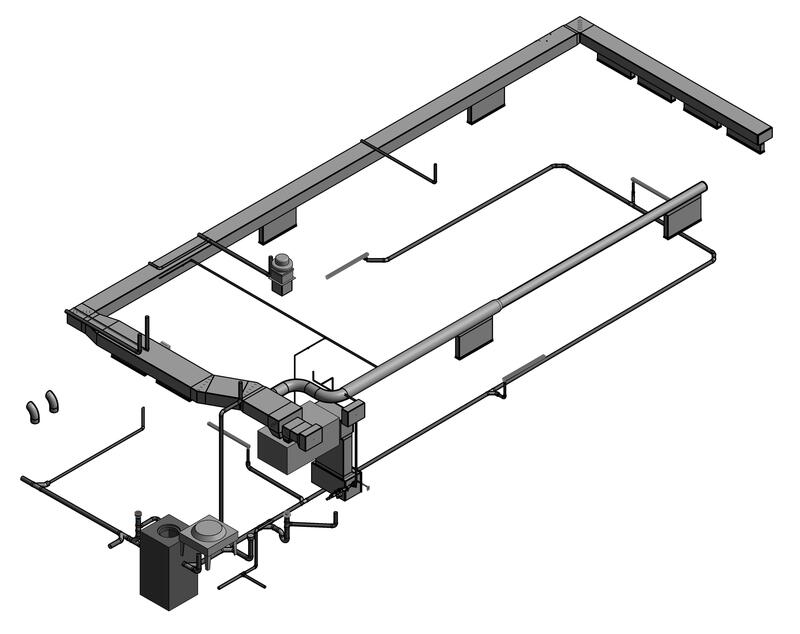 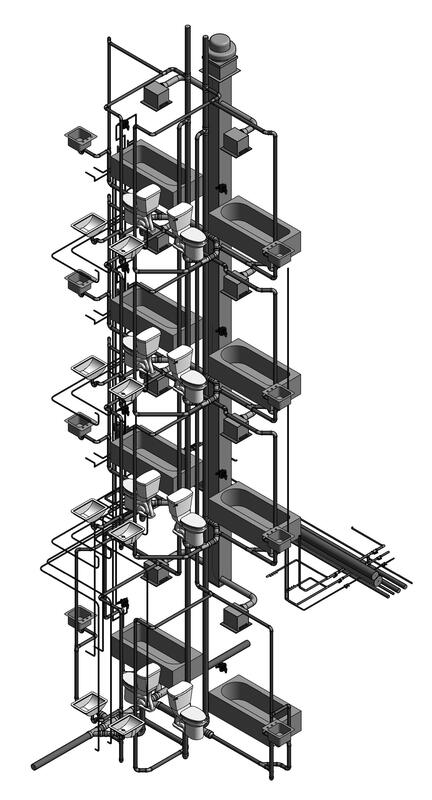 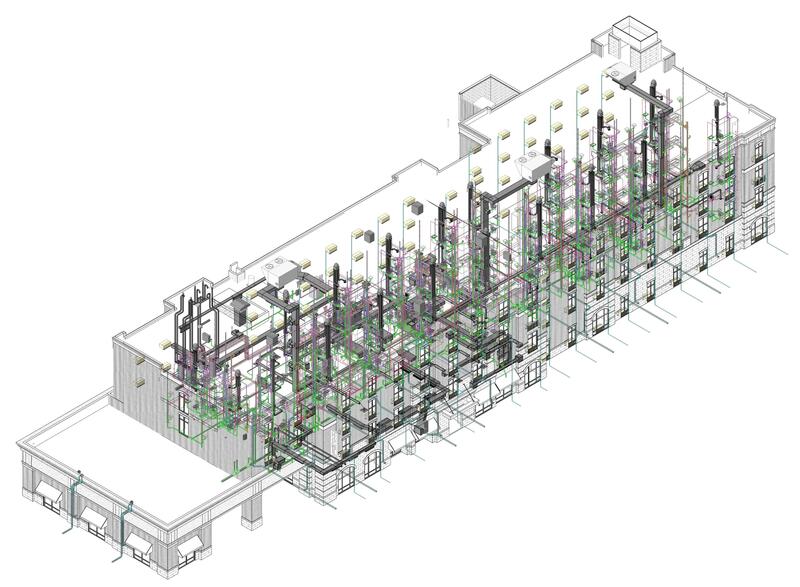 Revit model of duct installation at MCR Safety Office Building. 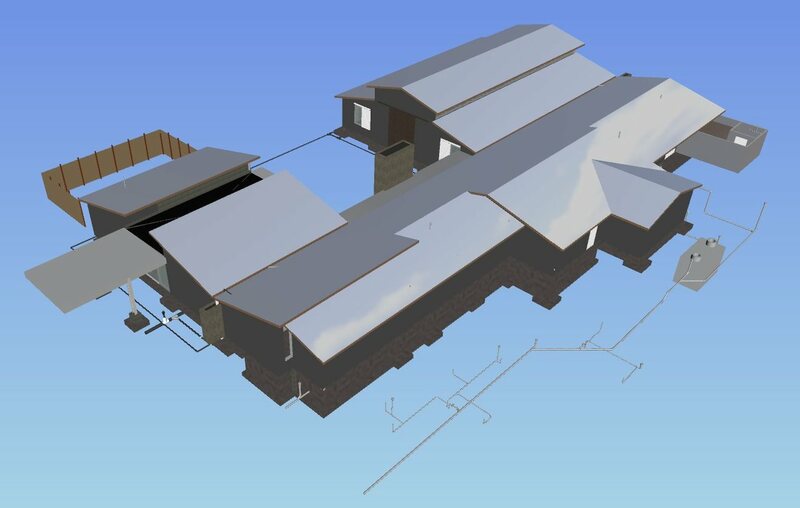 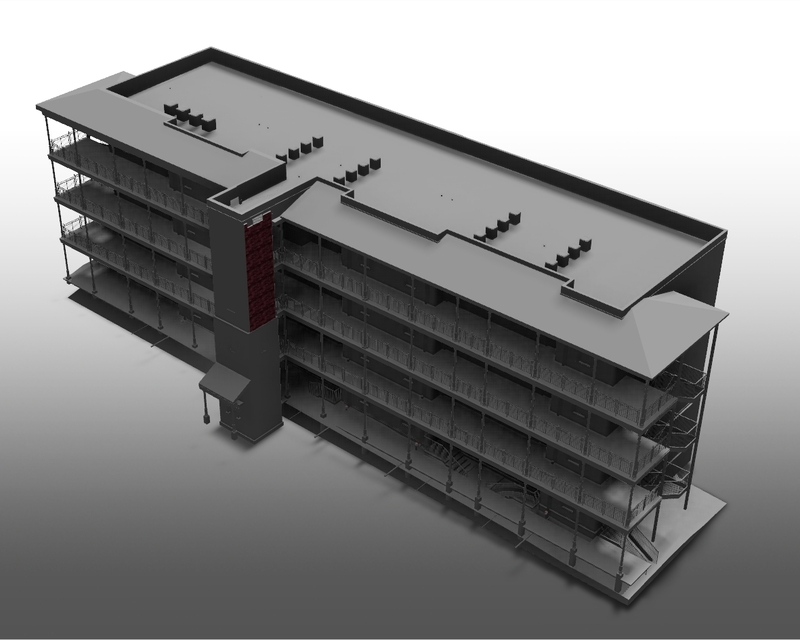 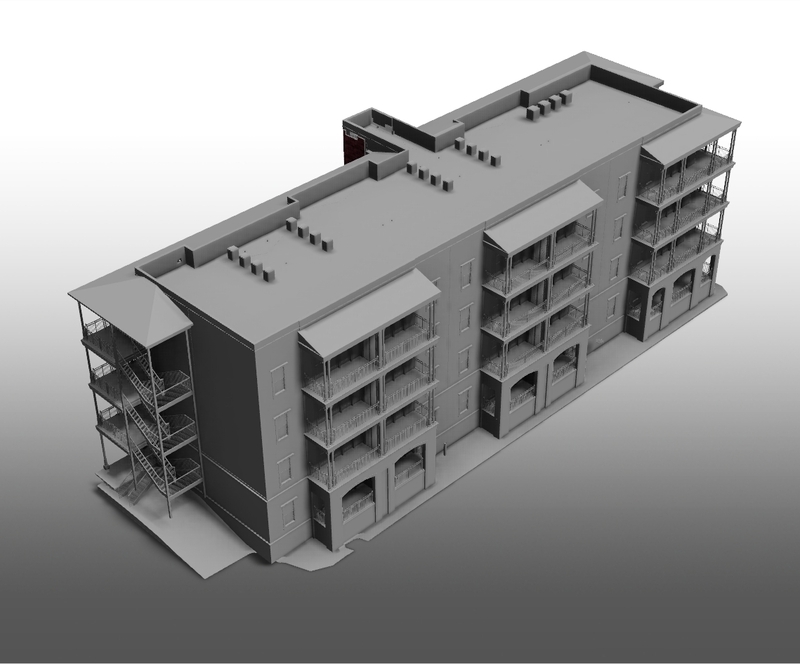 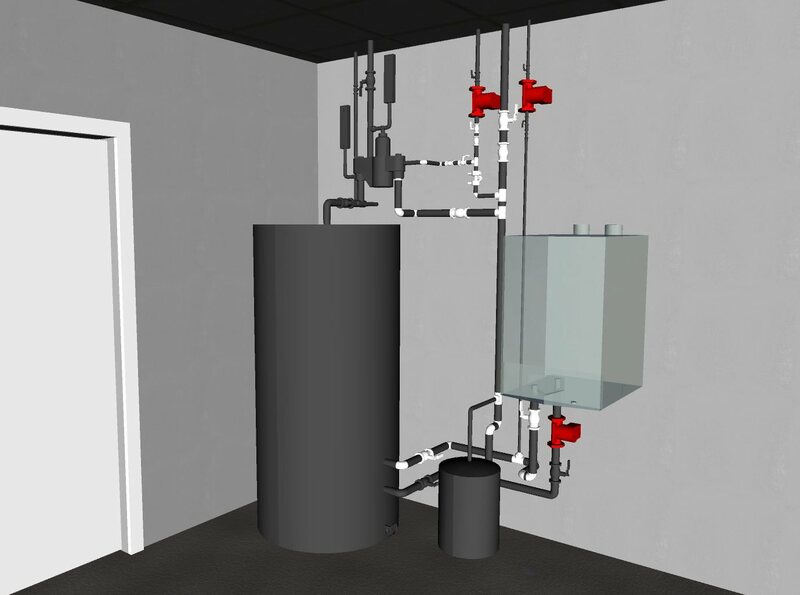 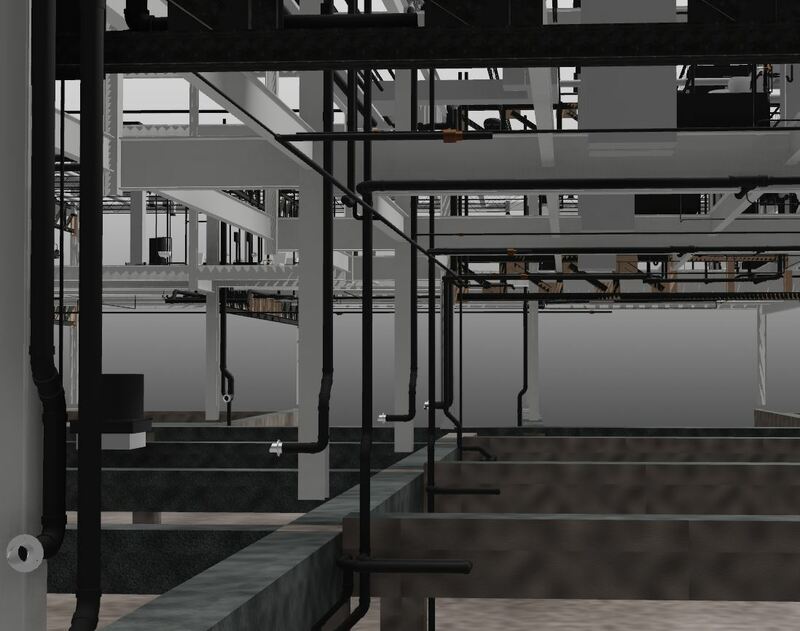 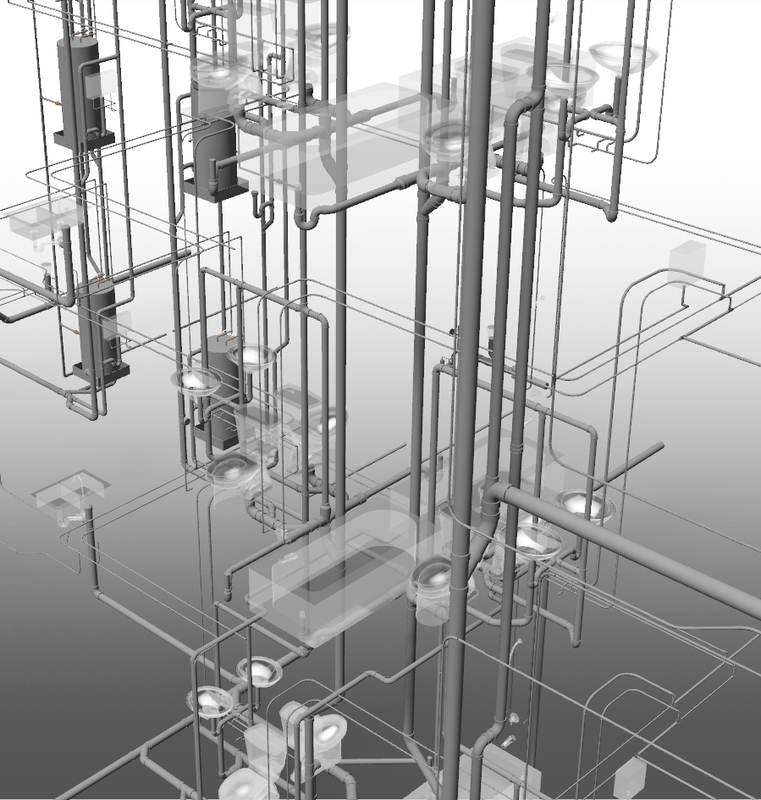 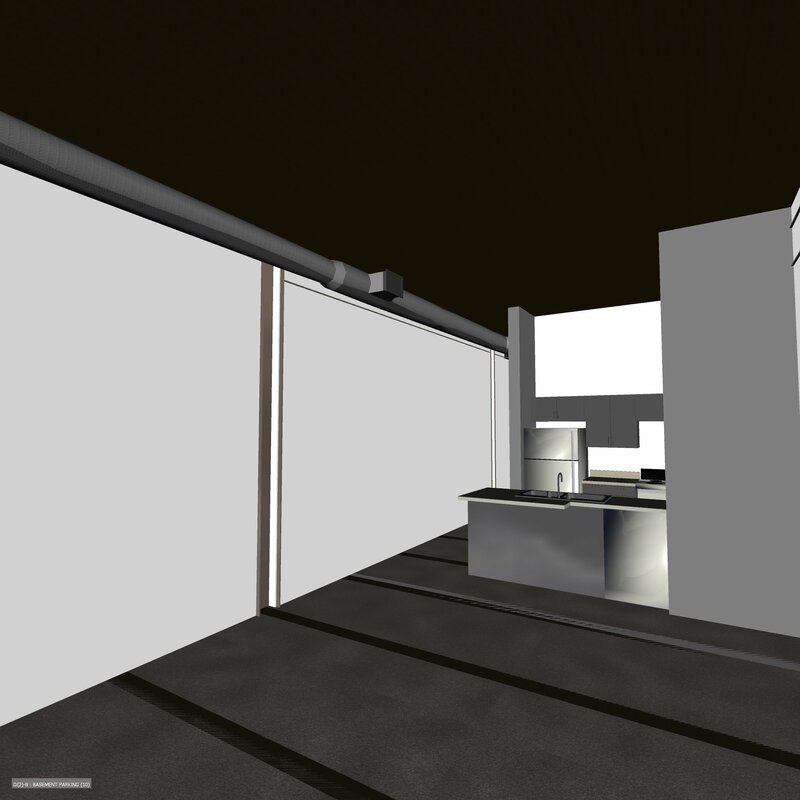 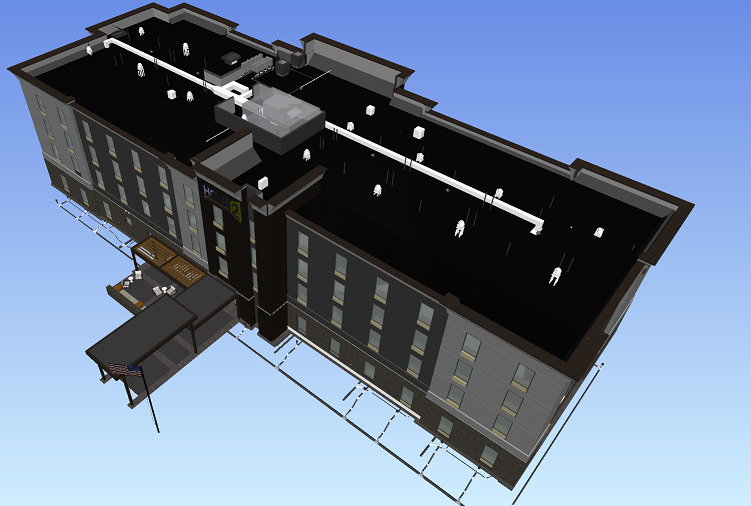 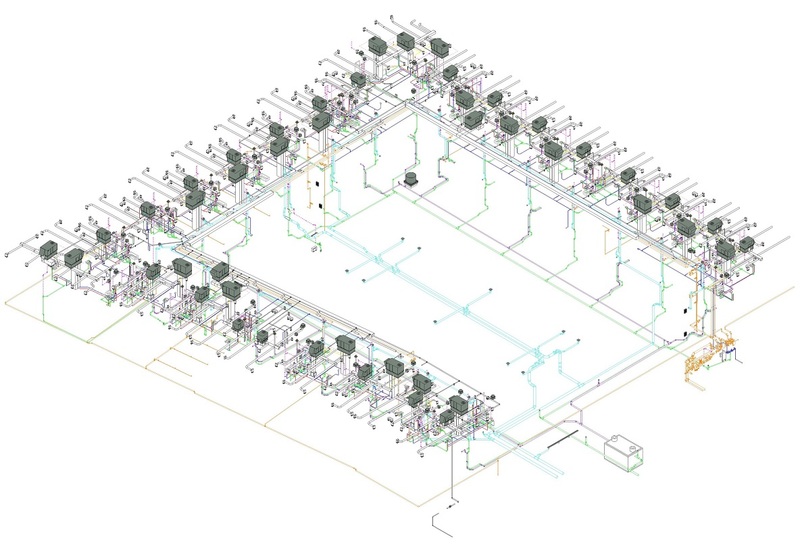 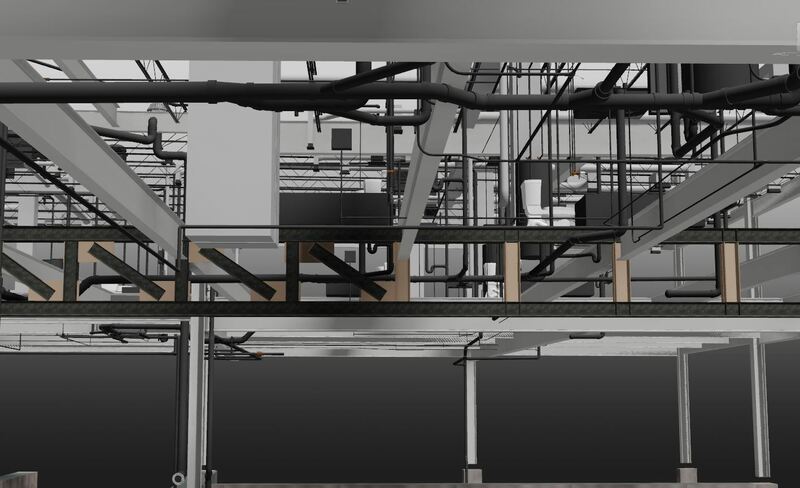 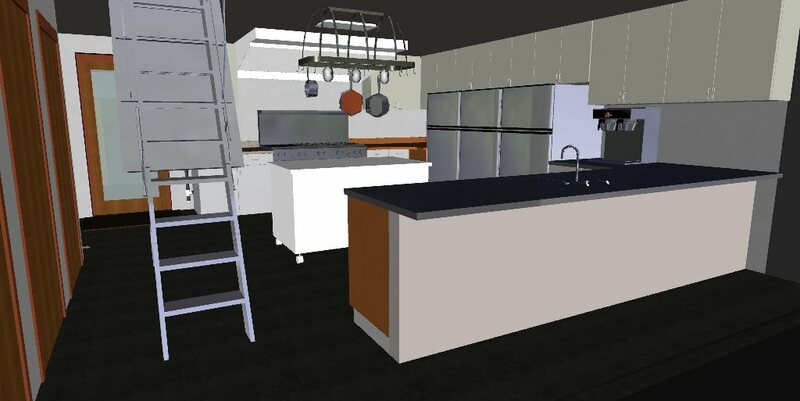 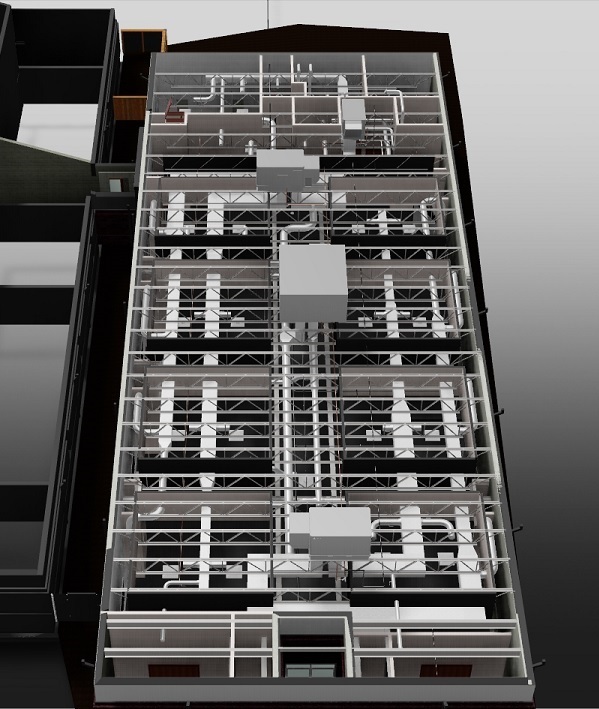 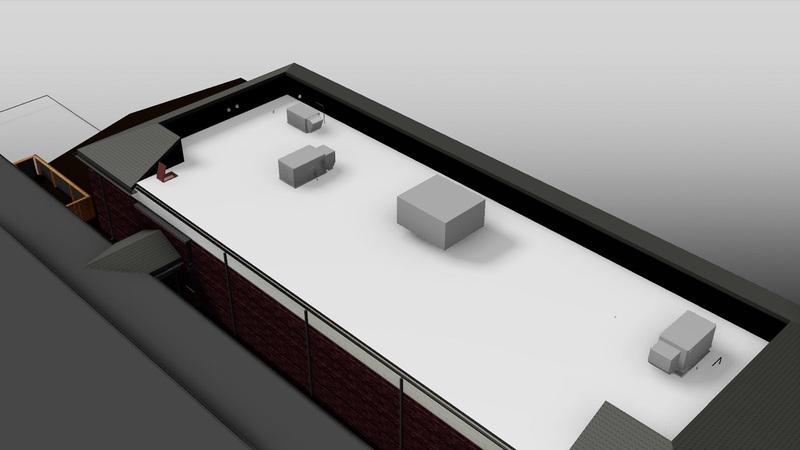 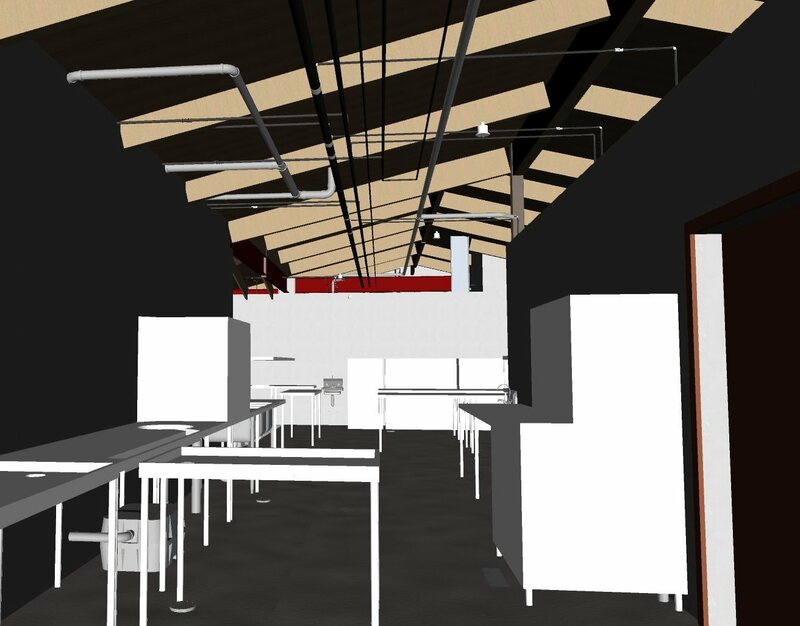 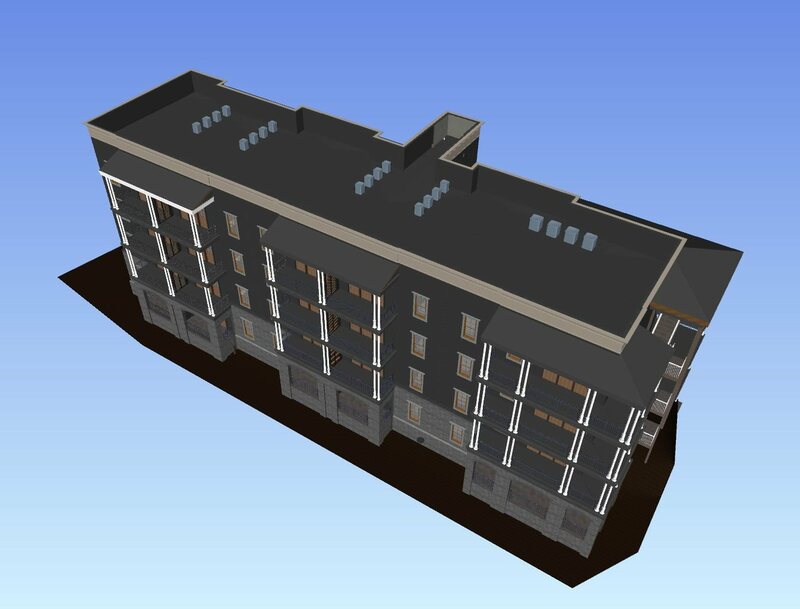 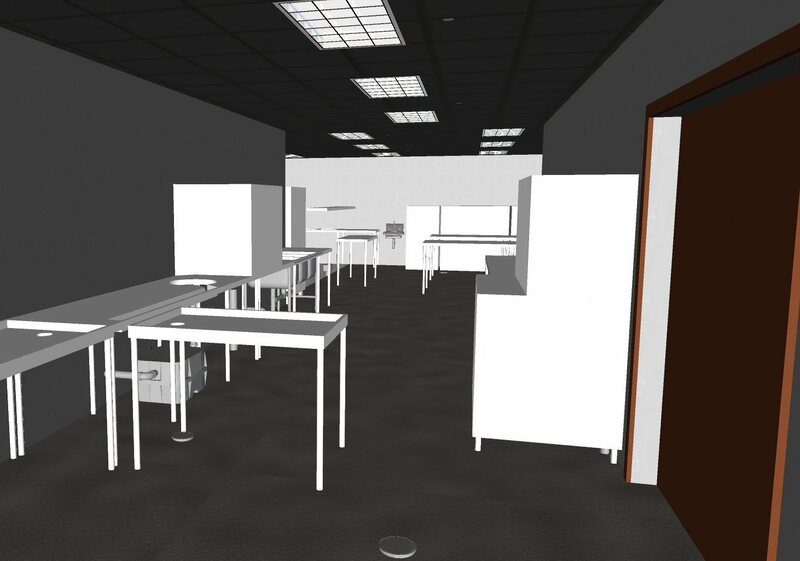 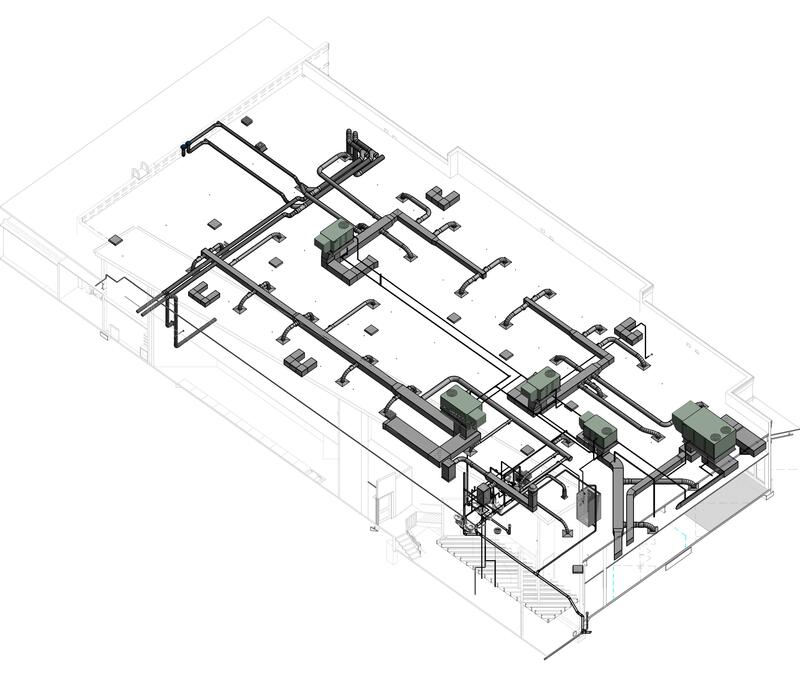 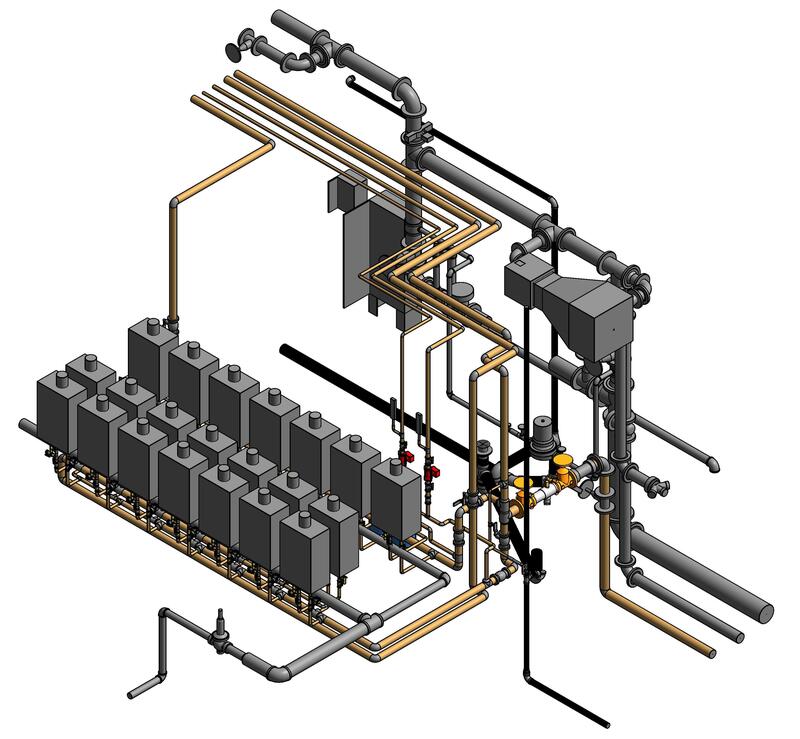 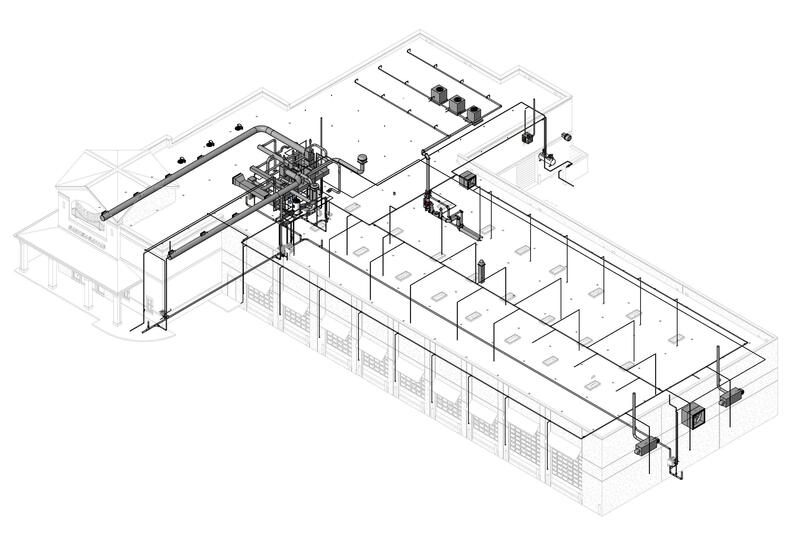 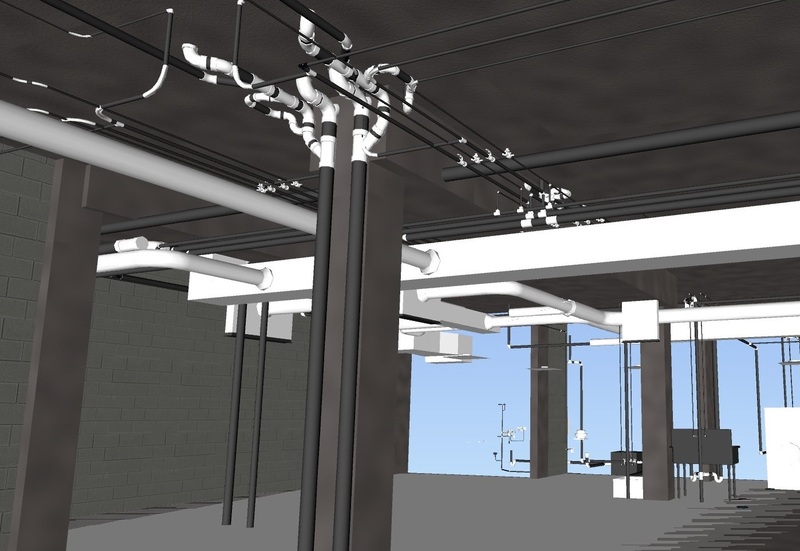 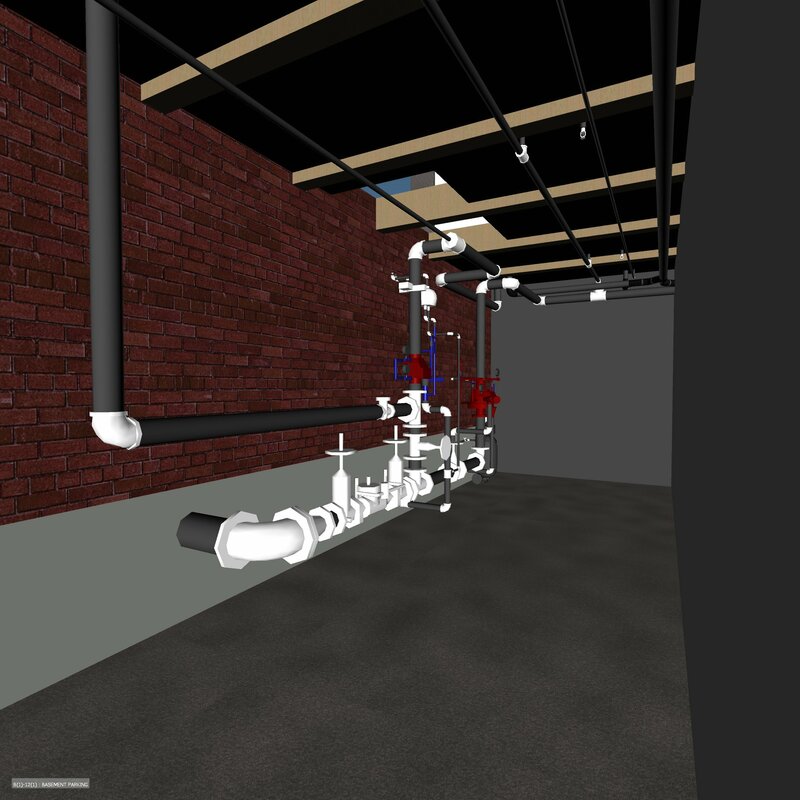 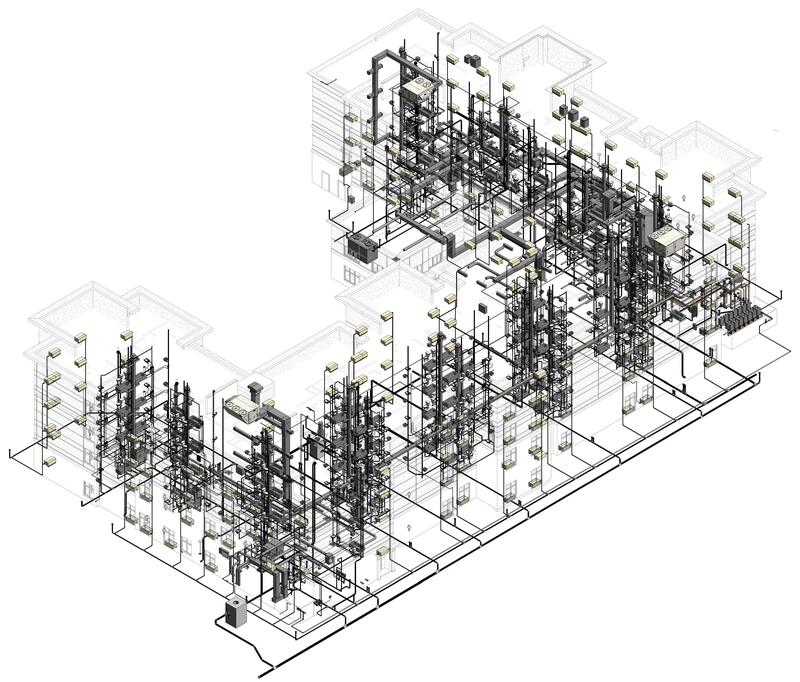 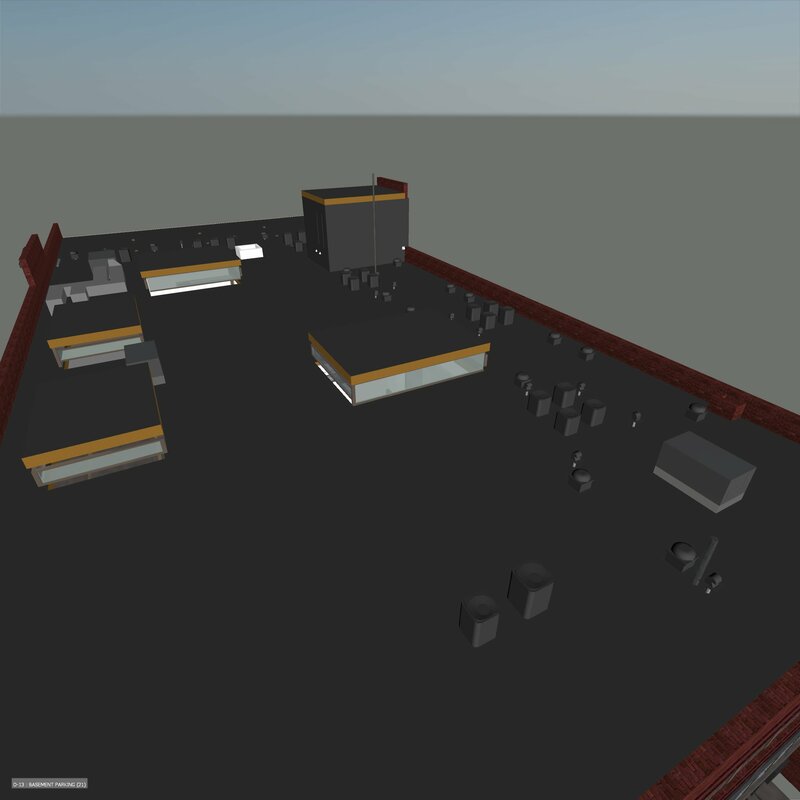 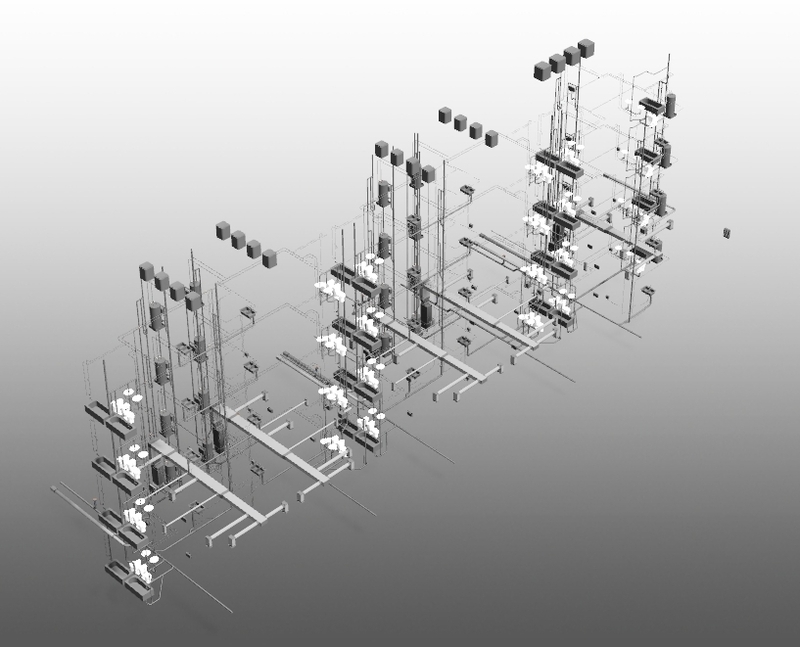 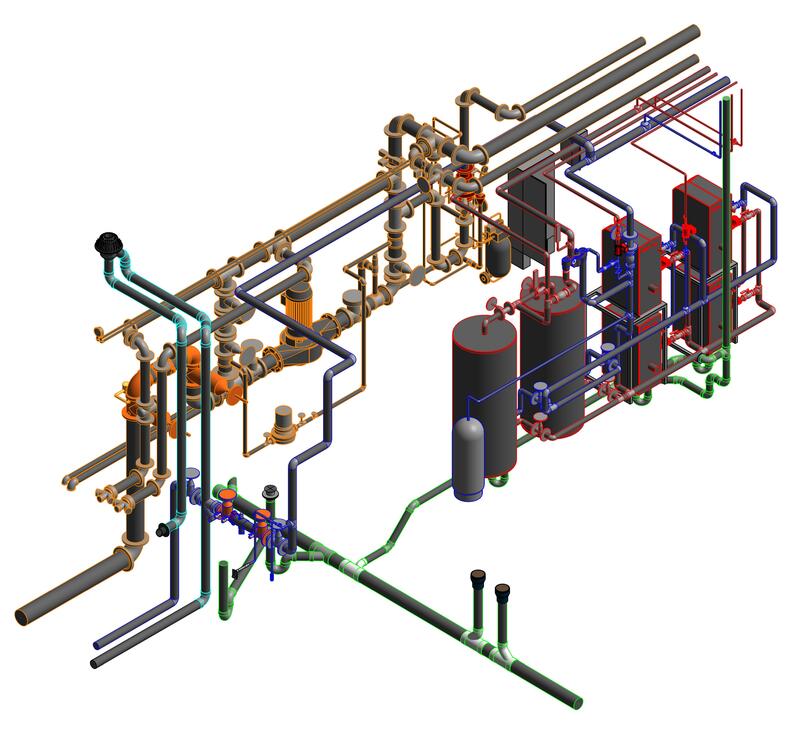 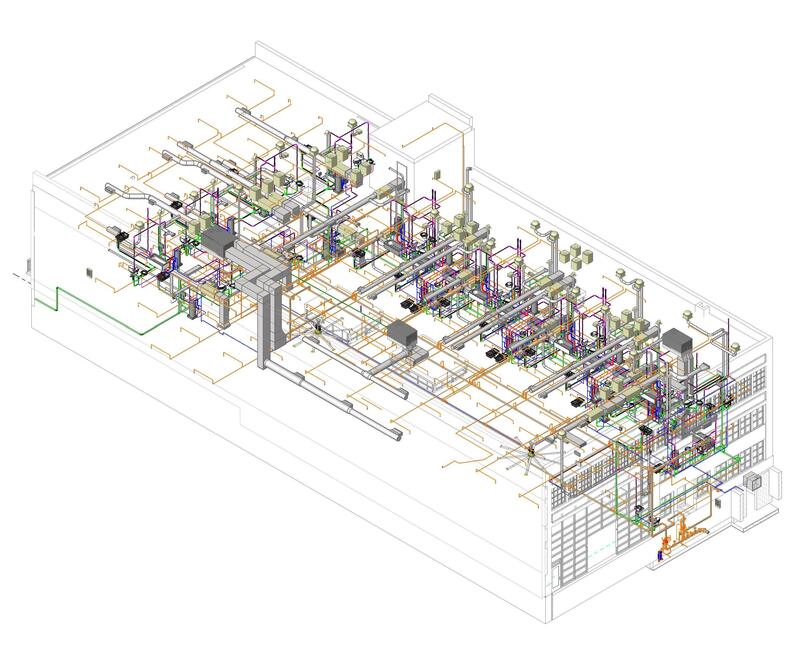 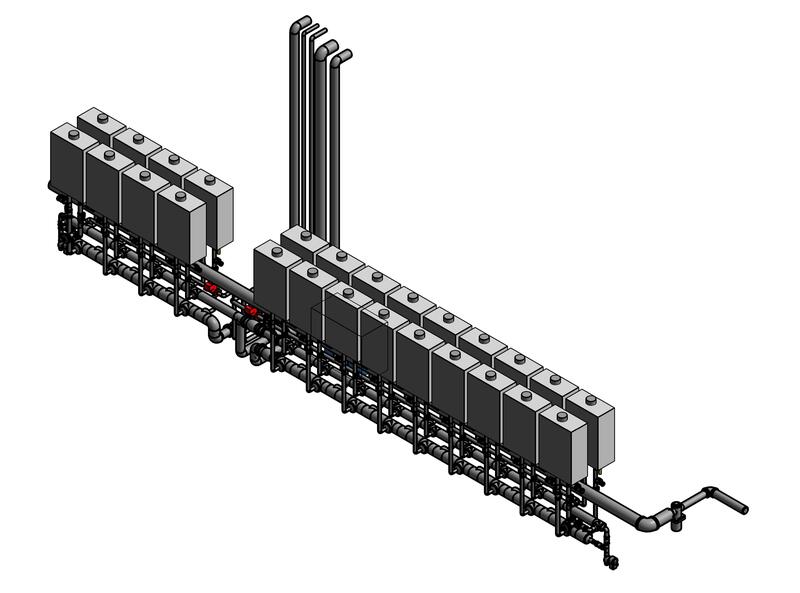 Navisworks models of HVAC, plumbing, and fire protection for The Annex Lofts. 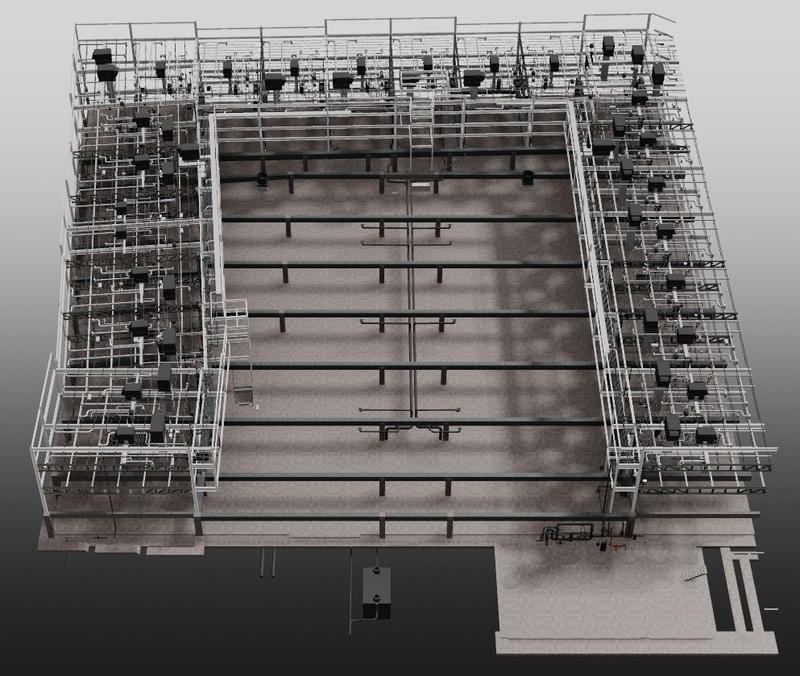 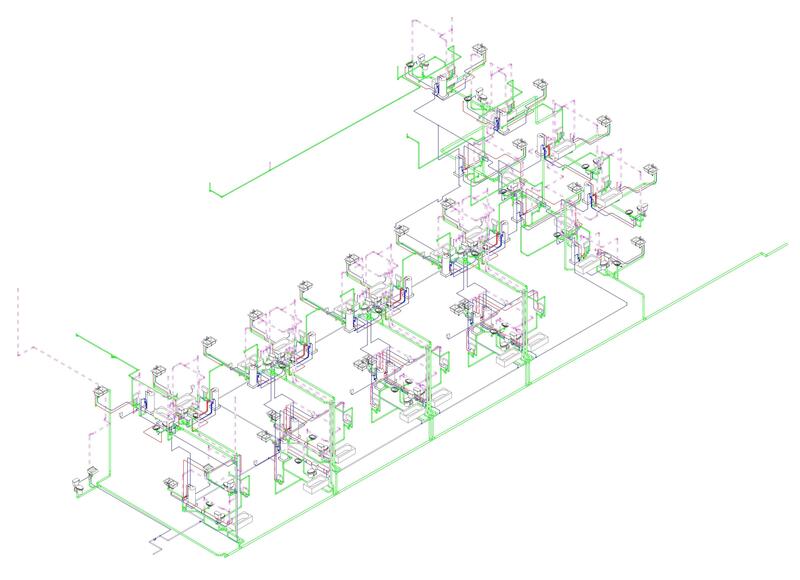 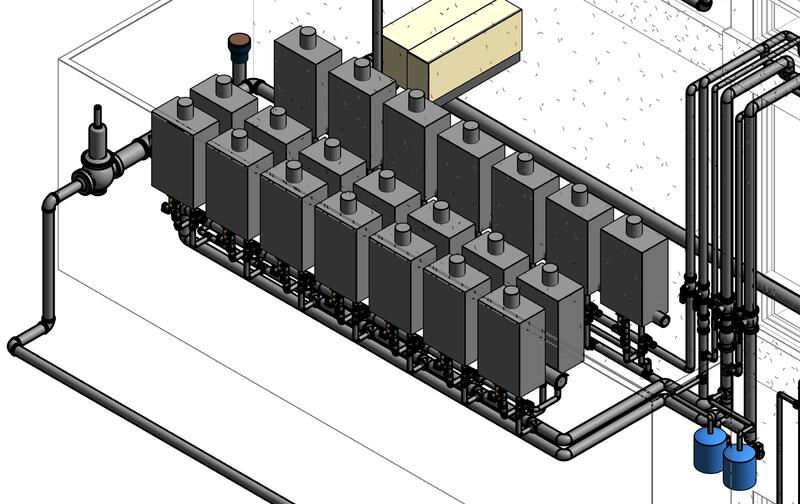 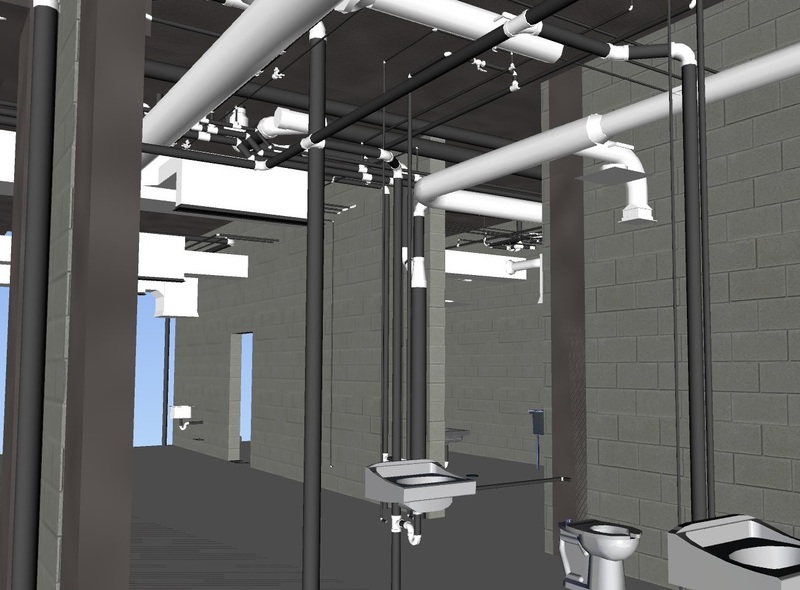 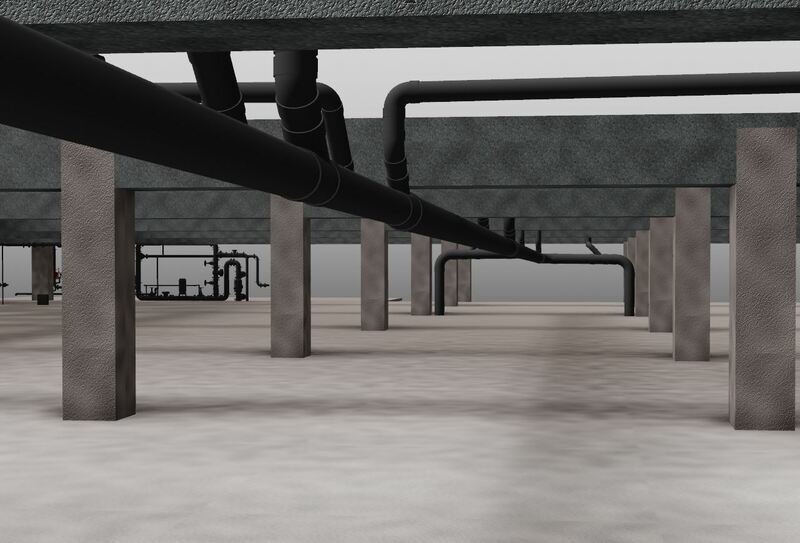 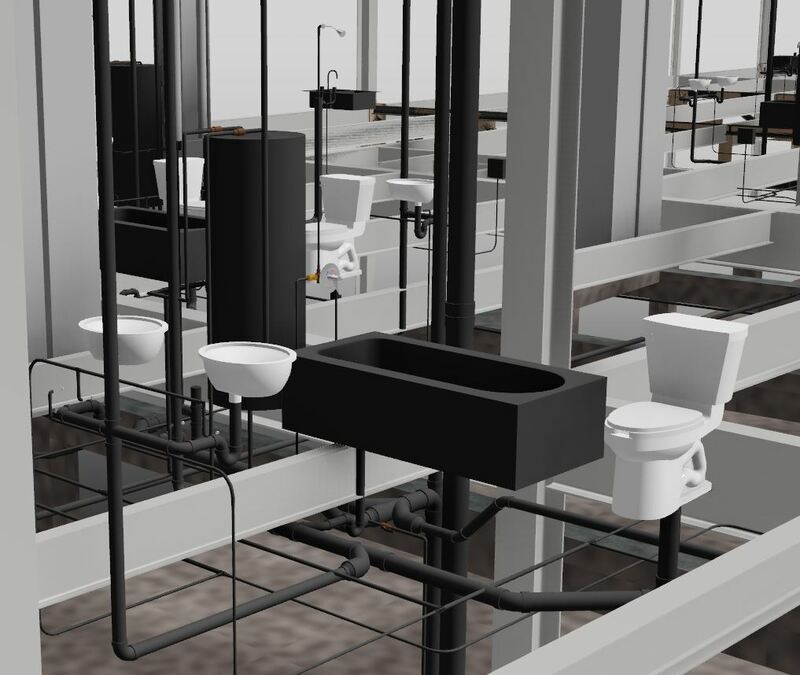 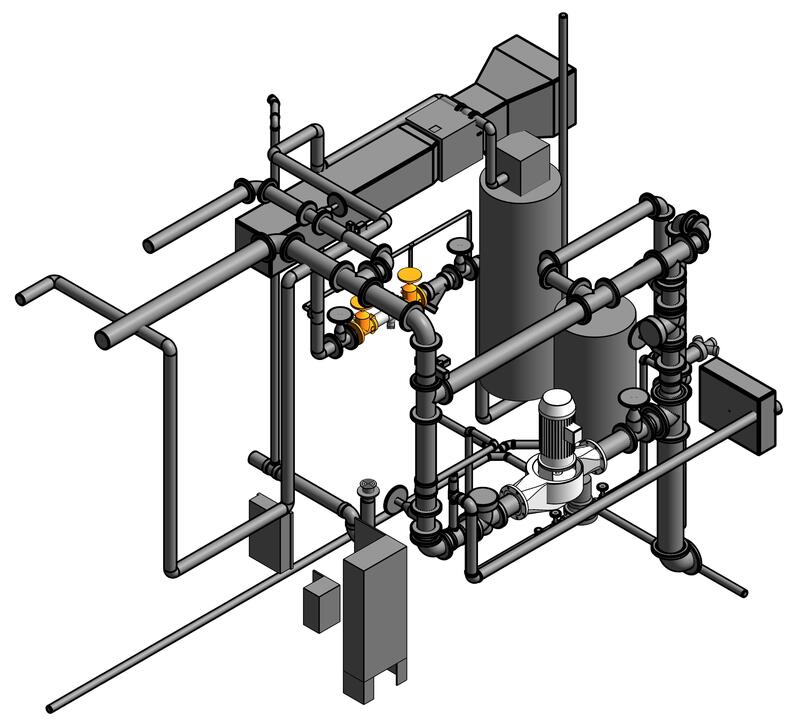 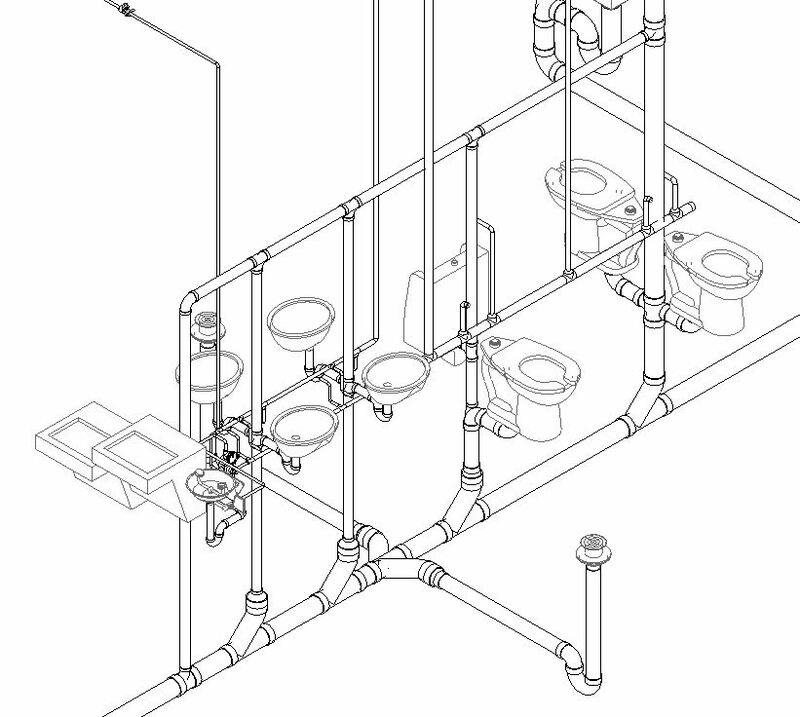 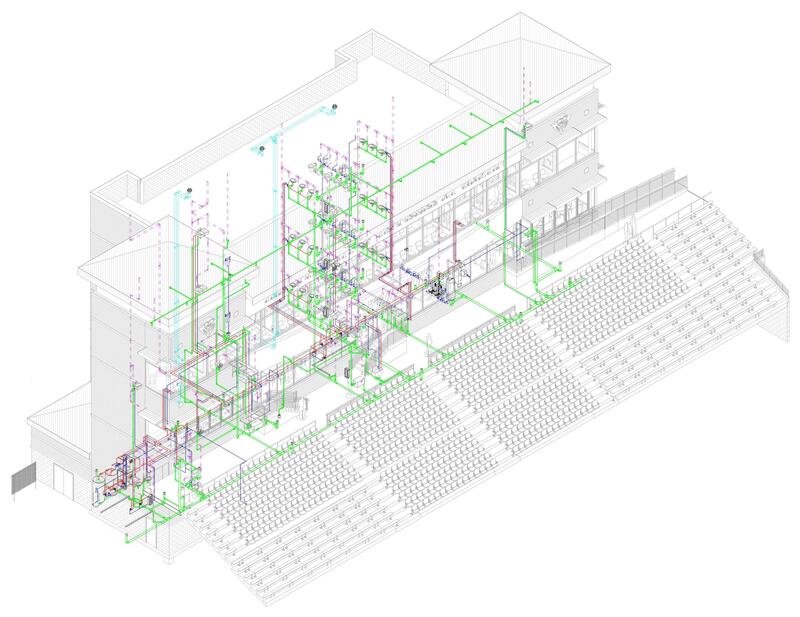 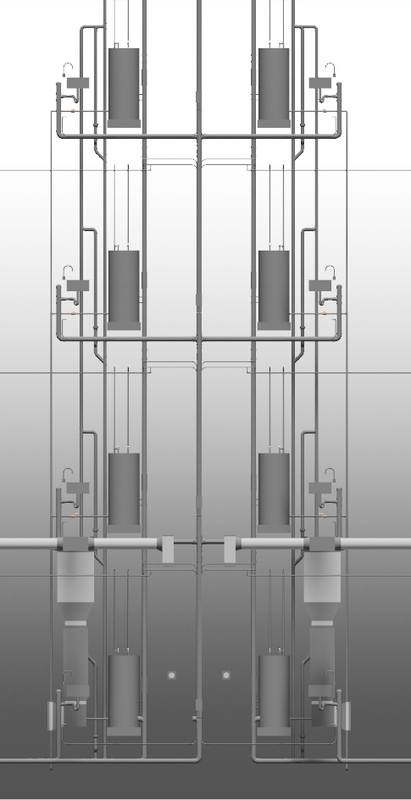 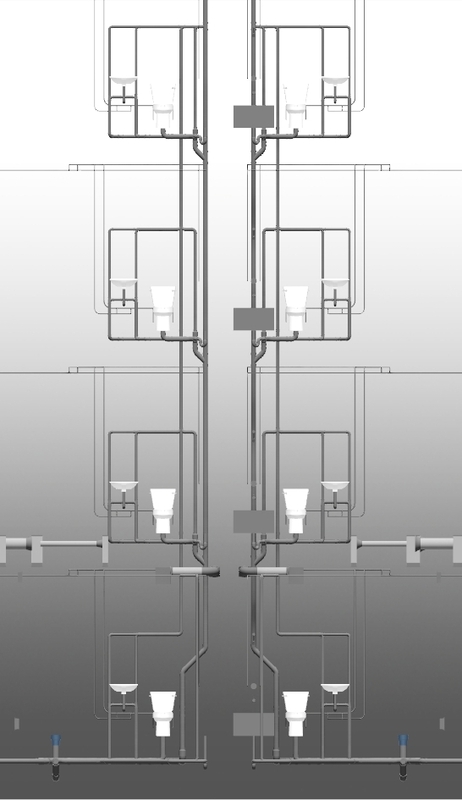 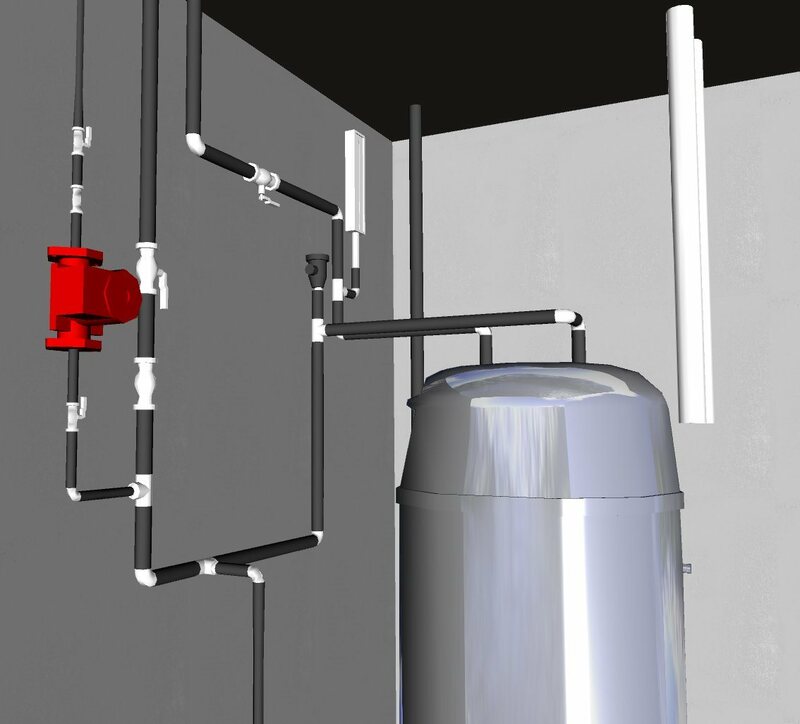 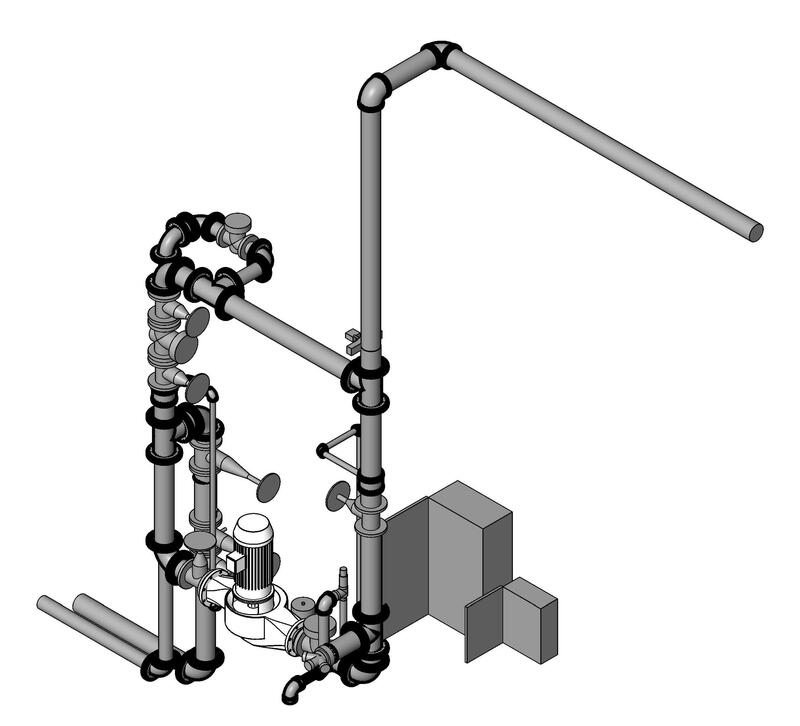 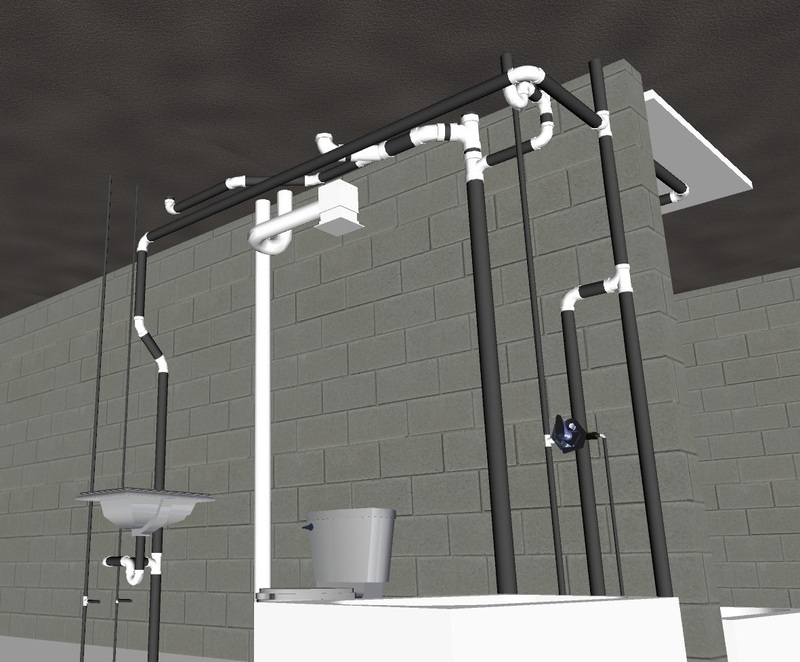 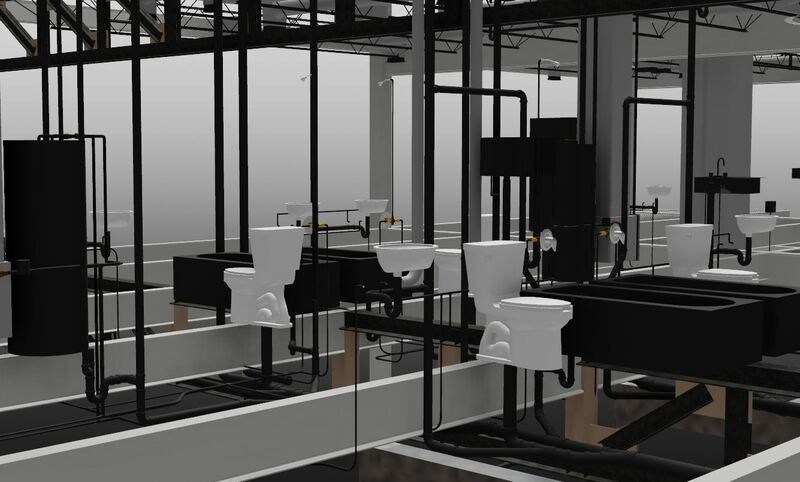 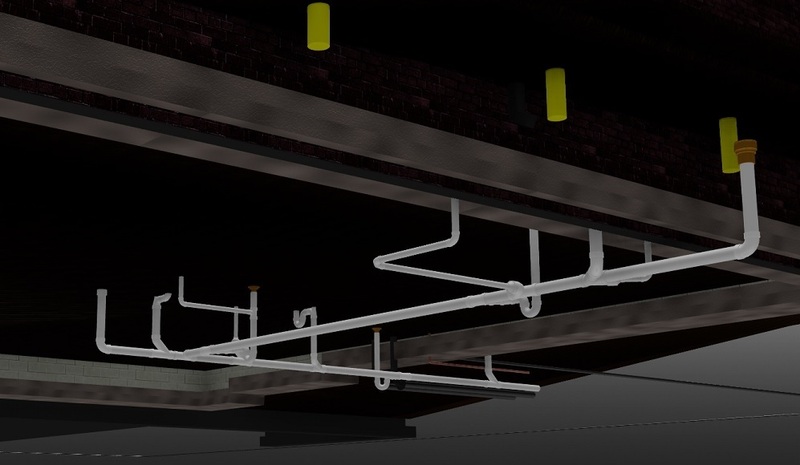 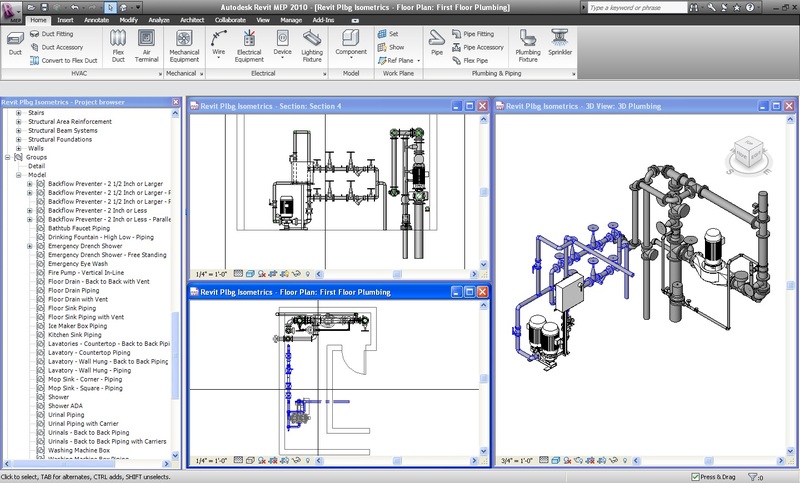 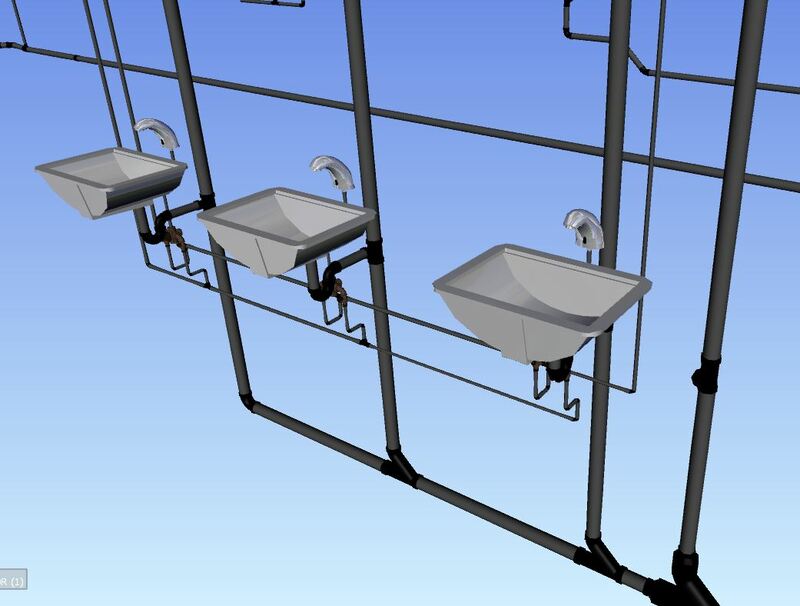 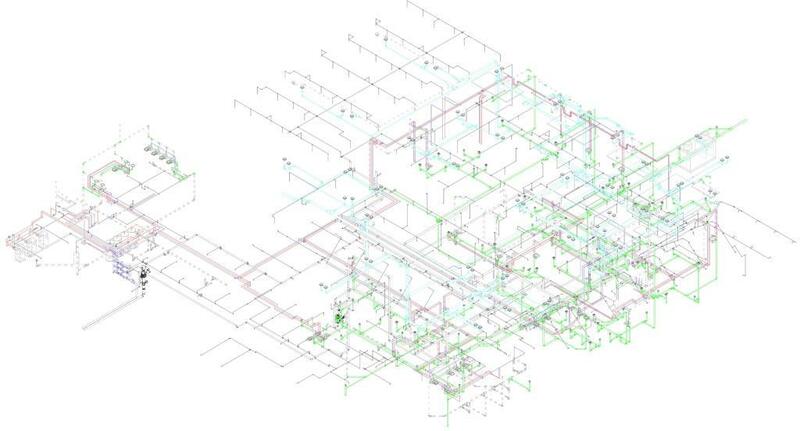 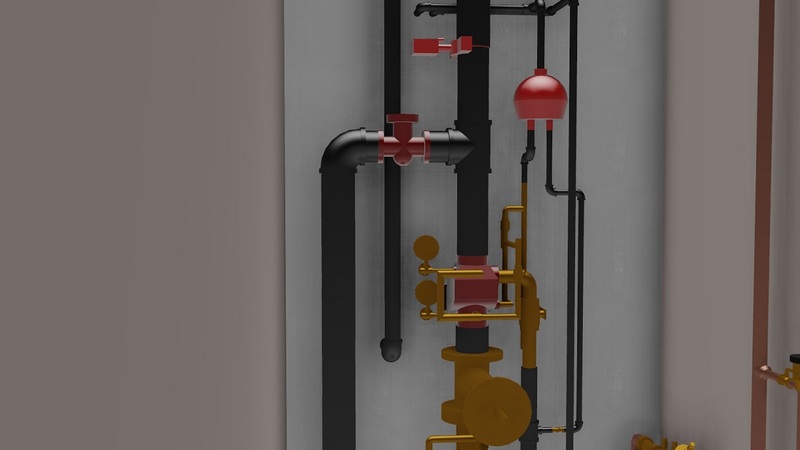 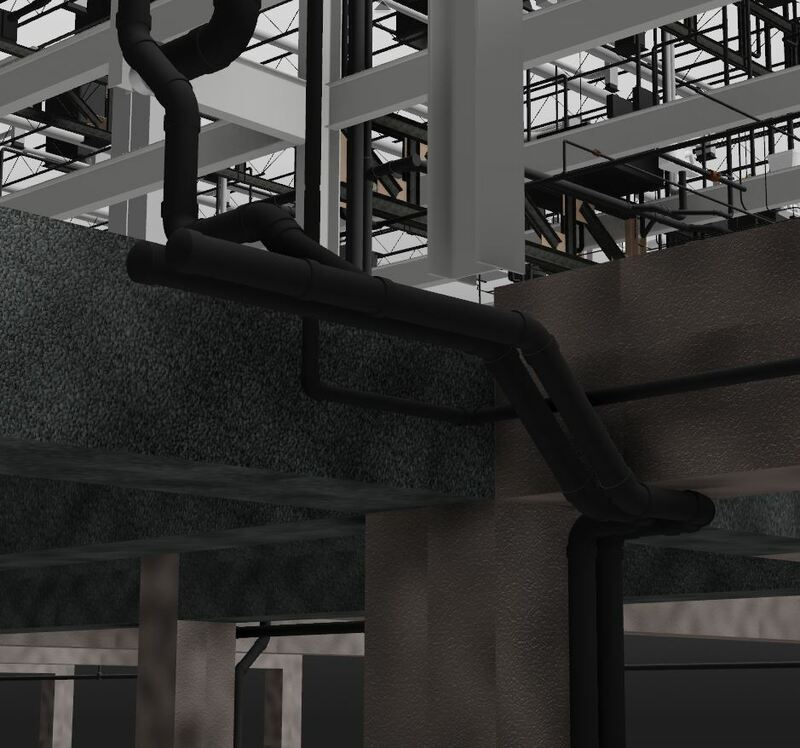 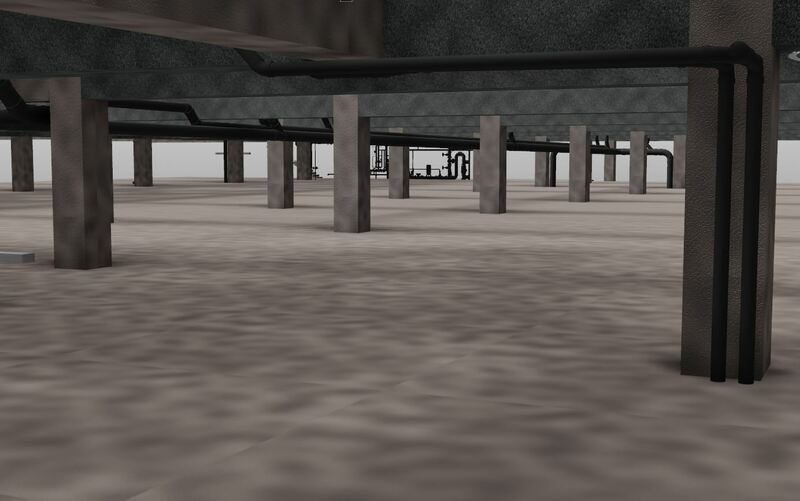 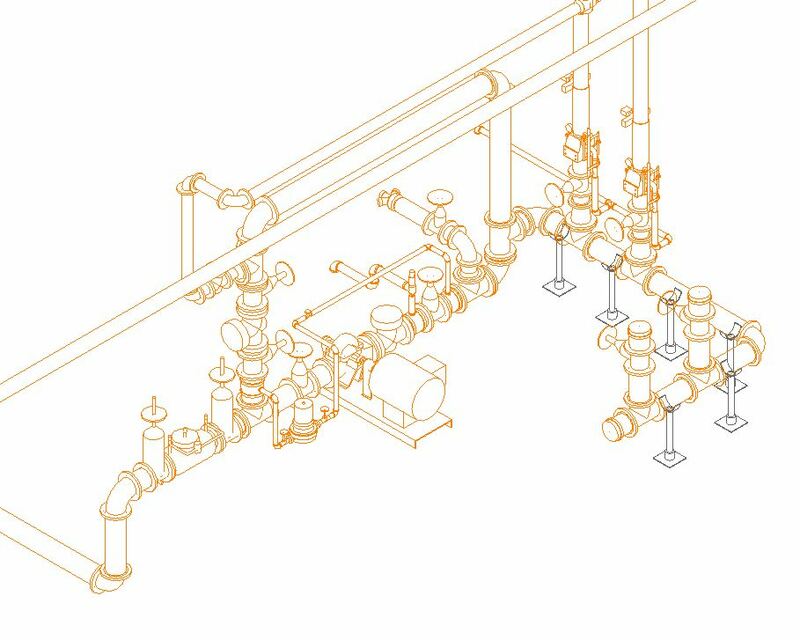 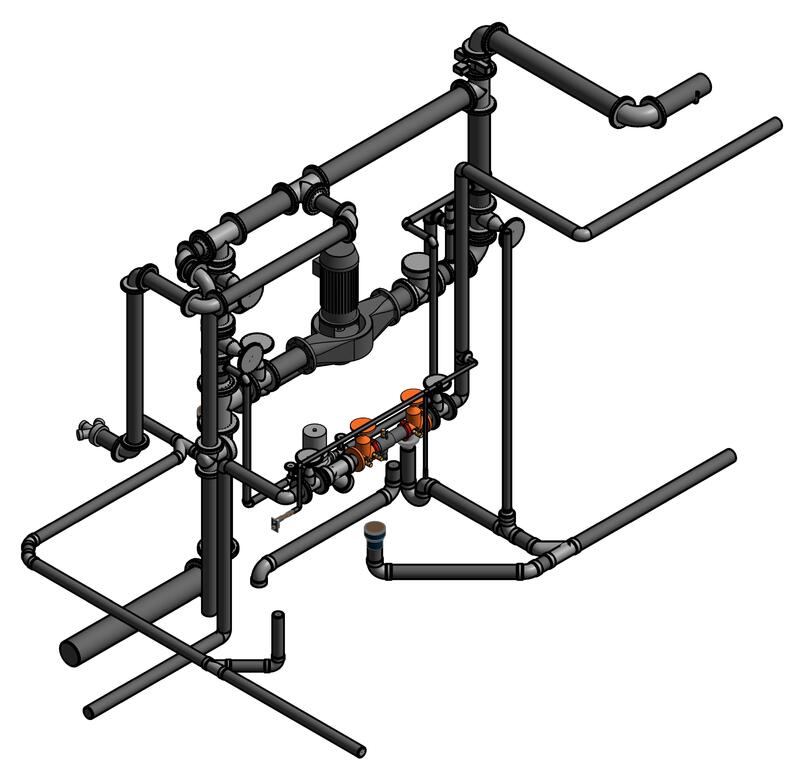 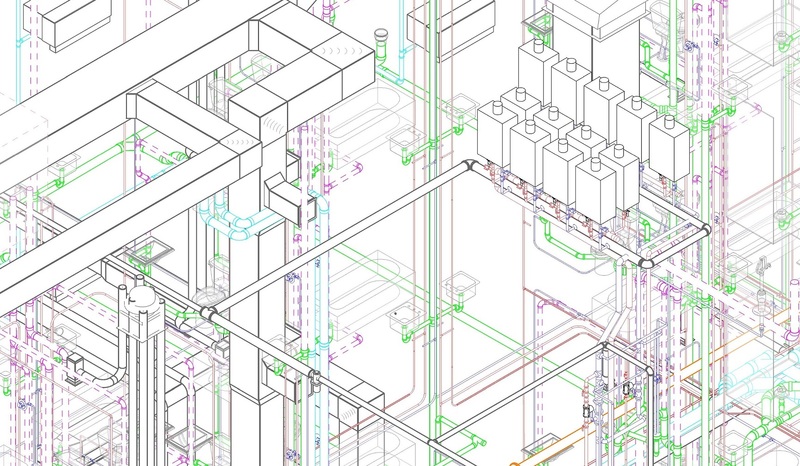 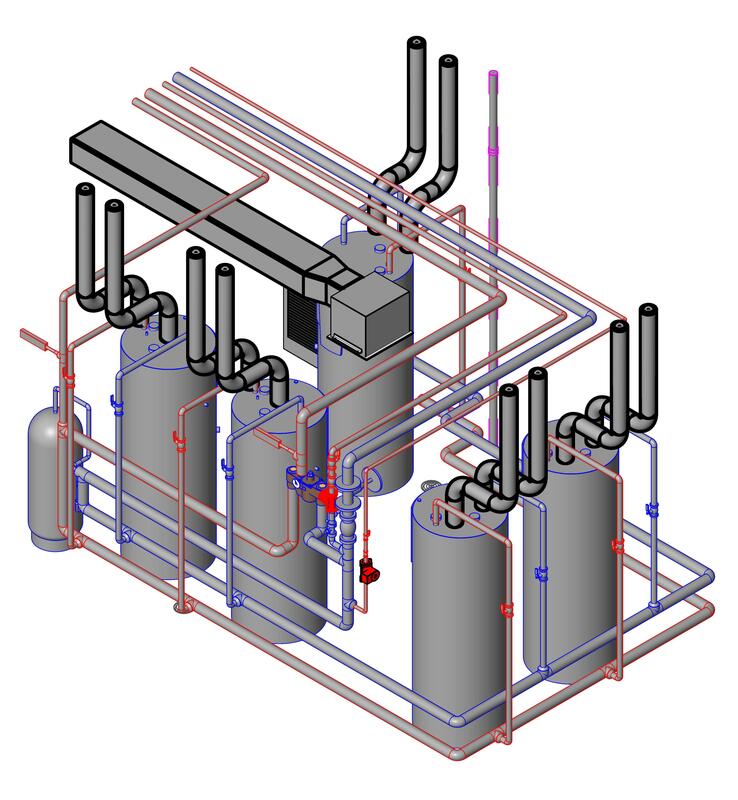 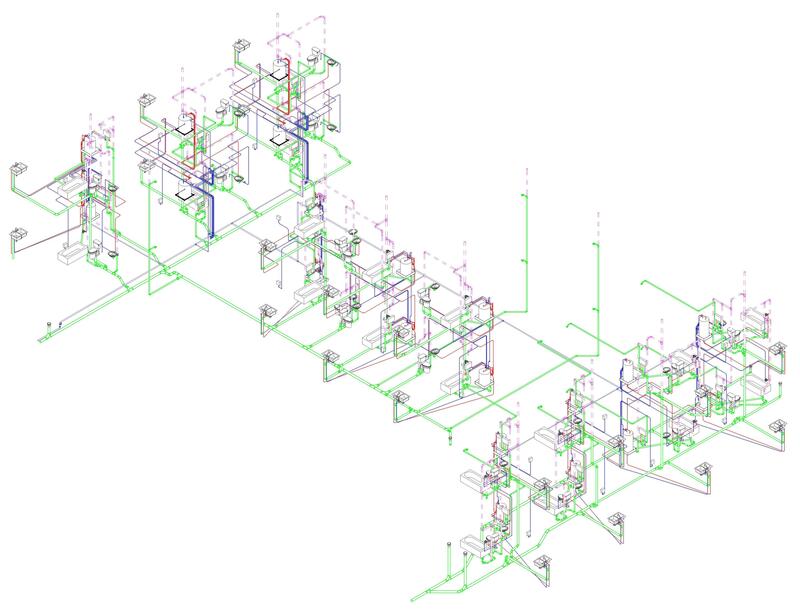 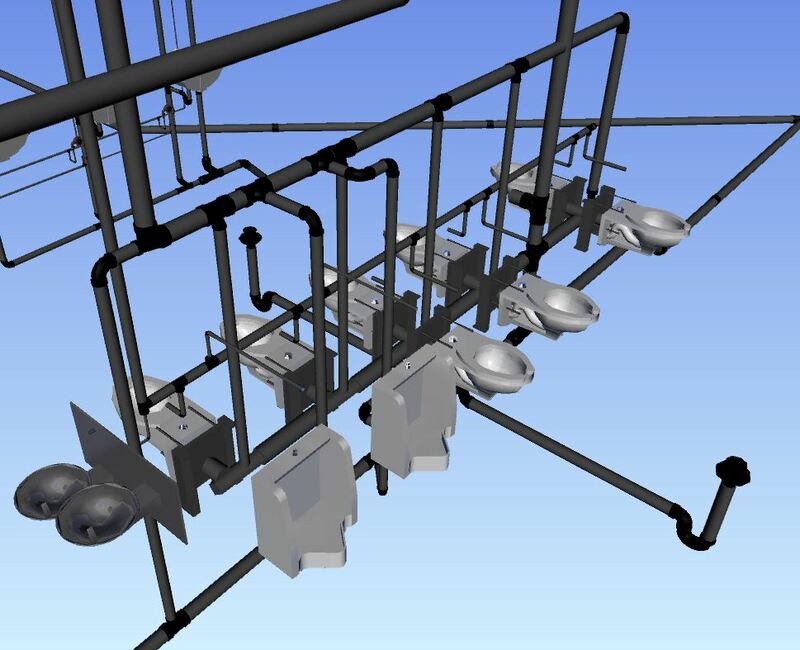 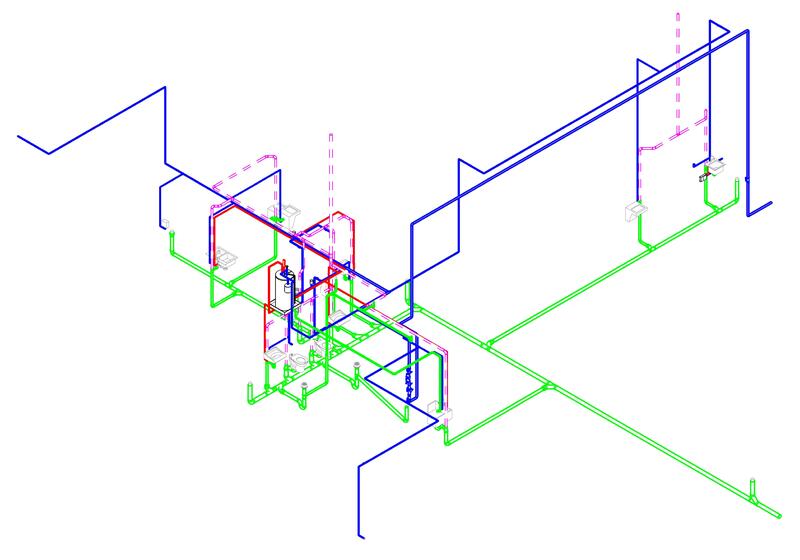 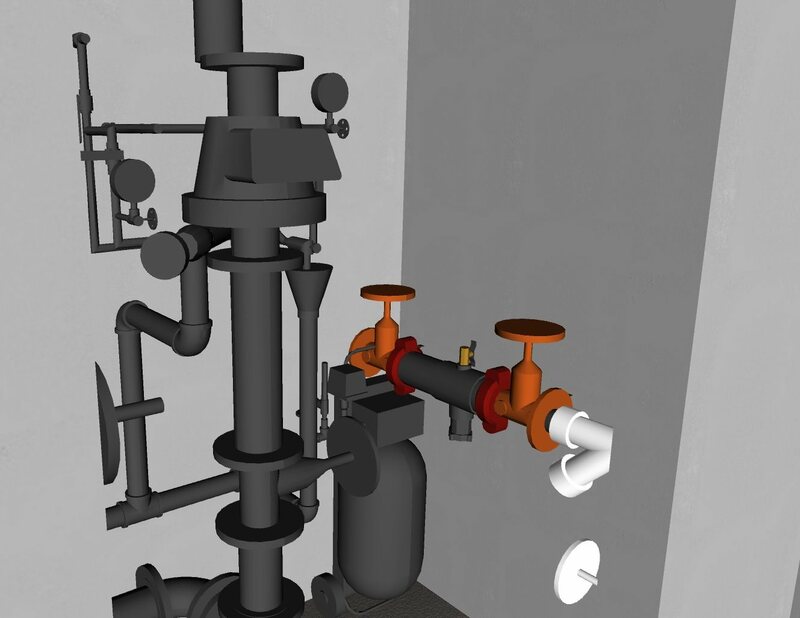 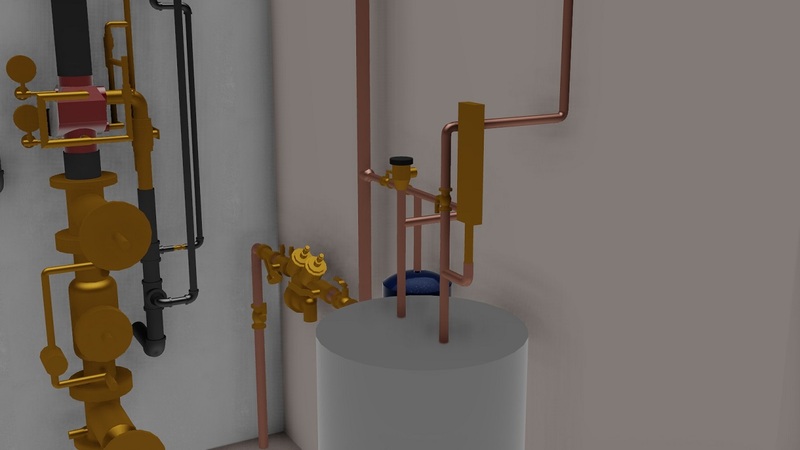 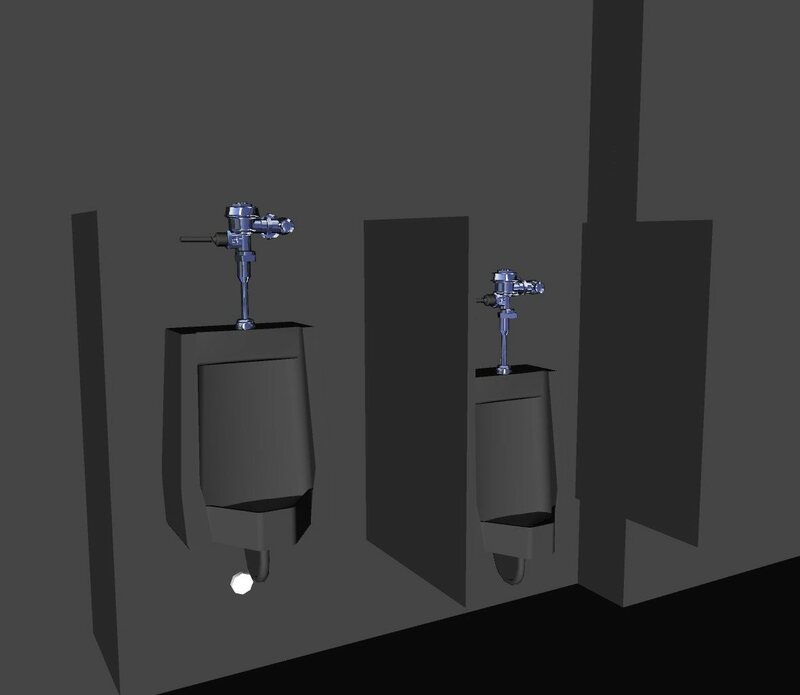 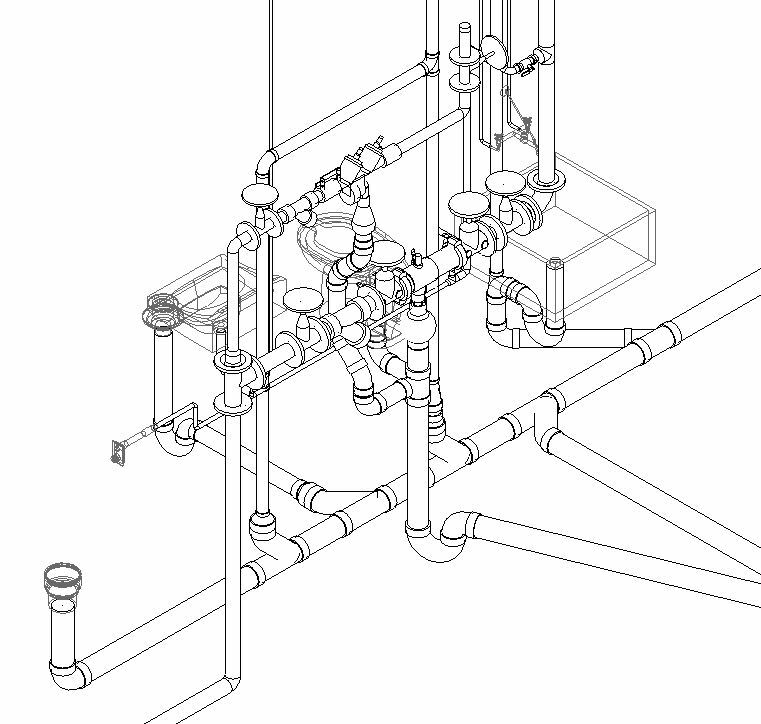 Autodesk Showcase model of plumbing pipes offsetting around concrete structure. 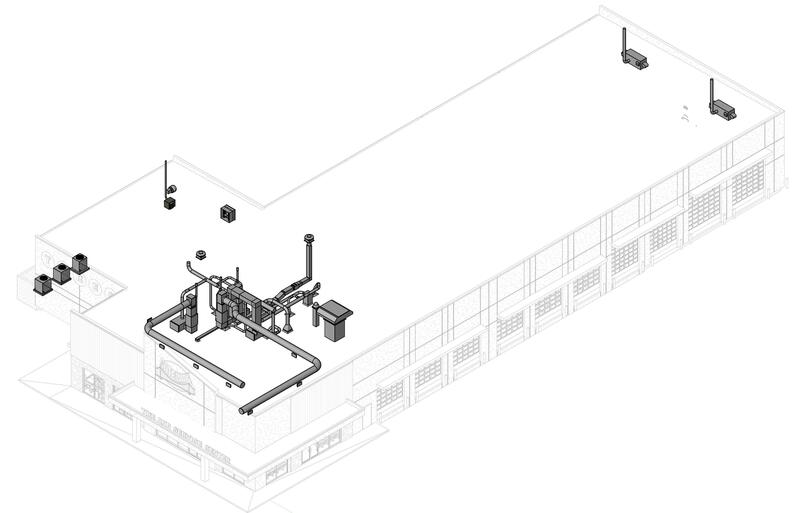 Kitchen, laundry, and mechanical rooms at Jackson County Jail.